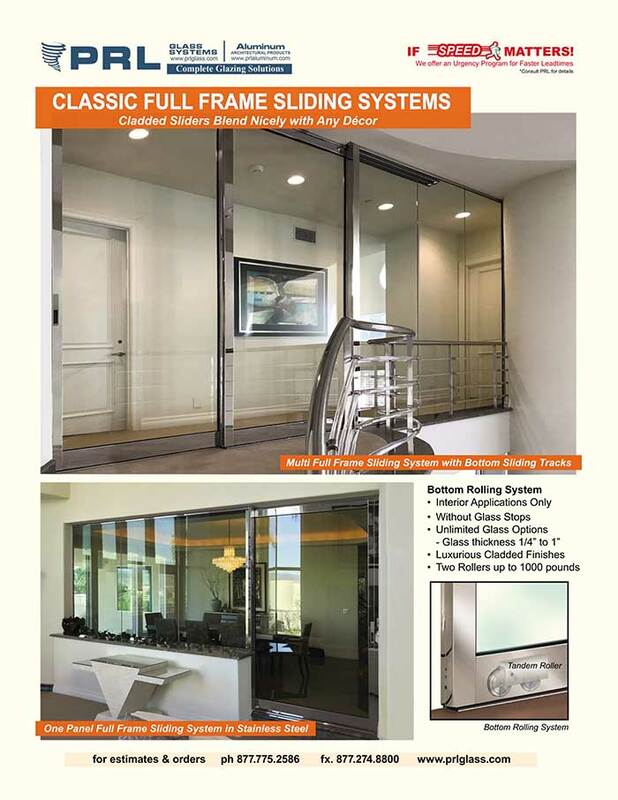 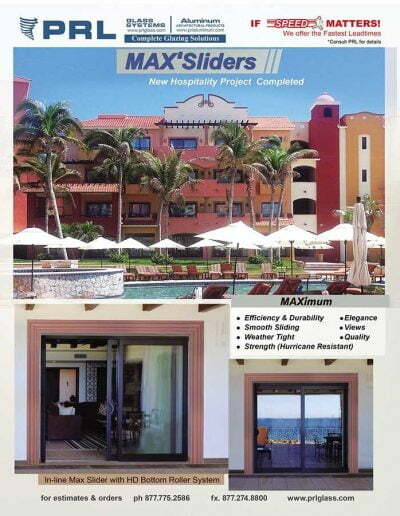 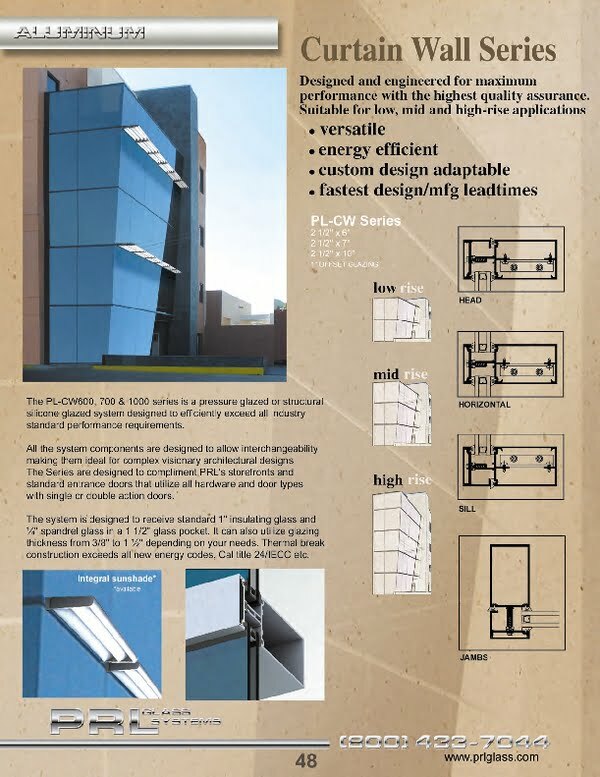 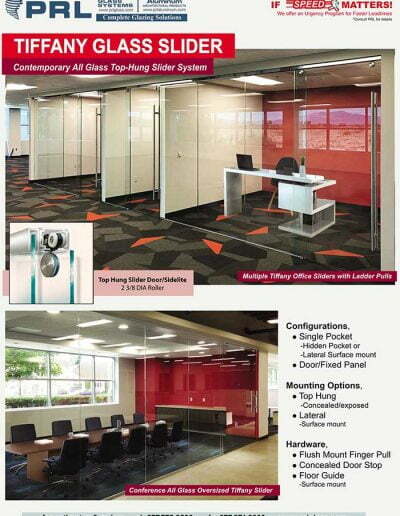 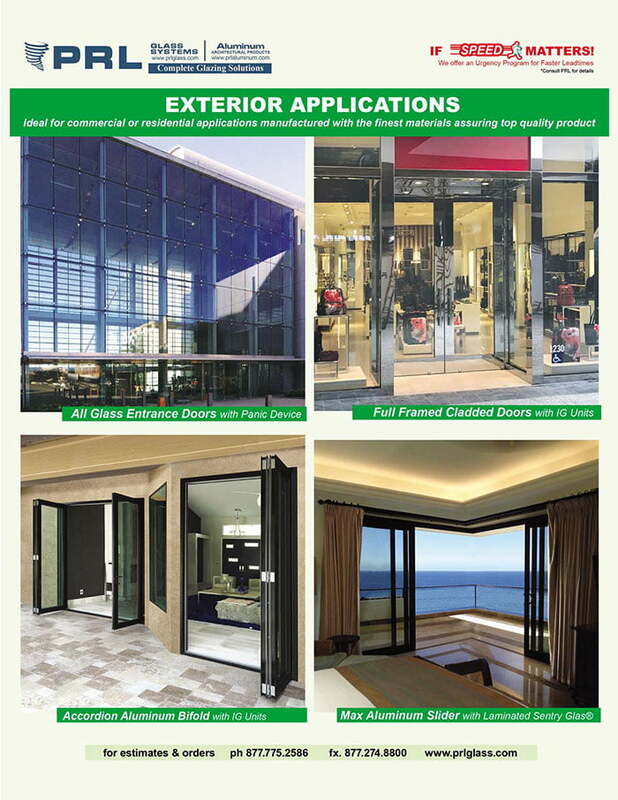 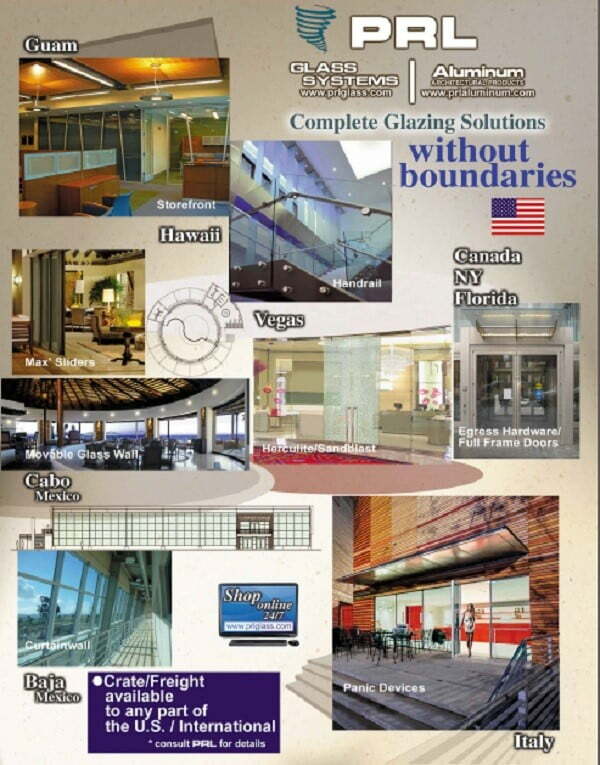 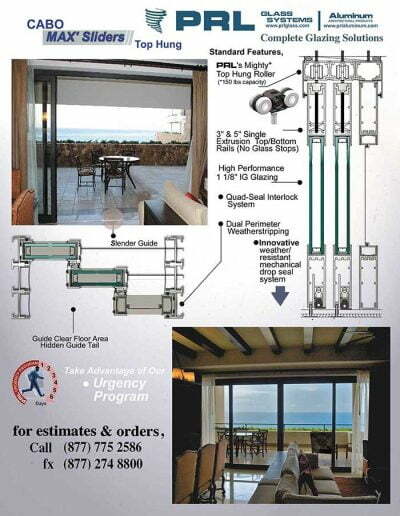 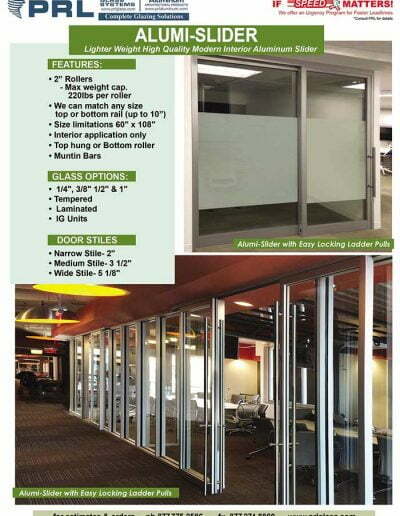 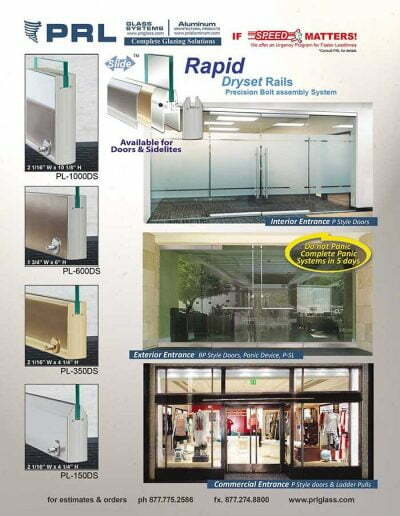 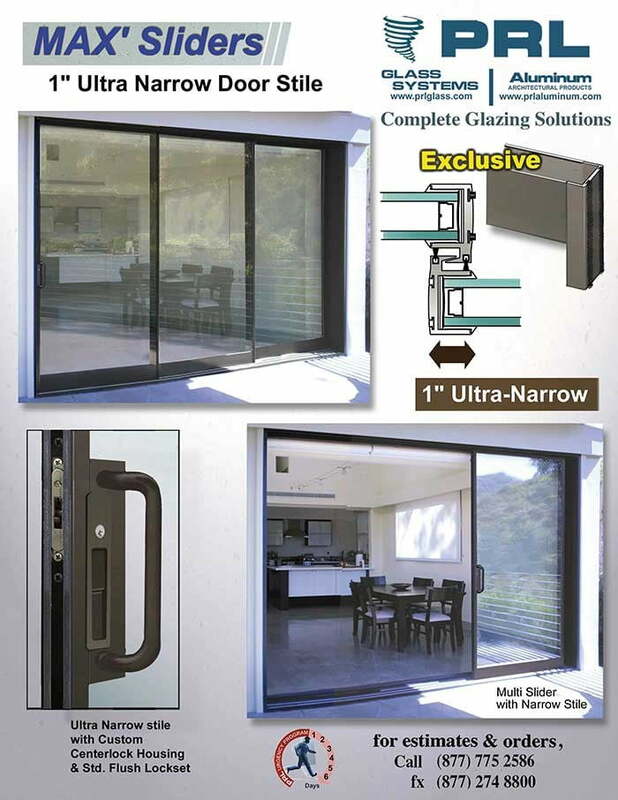 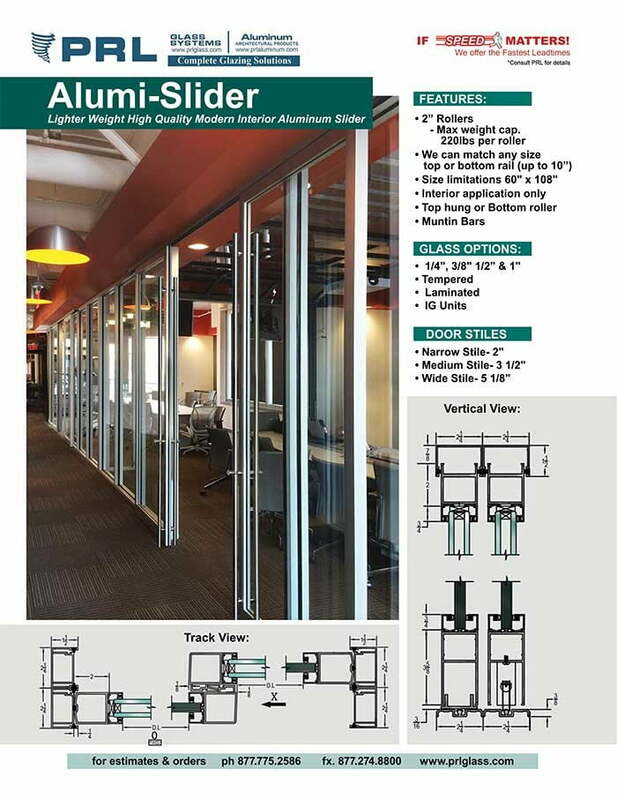 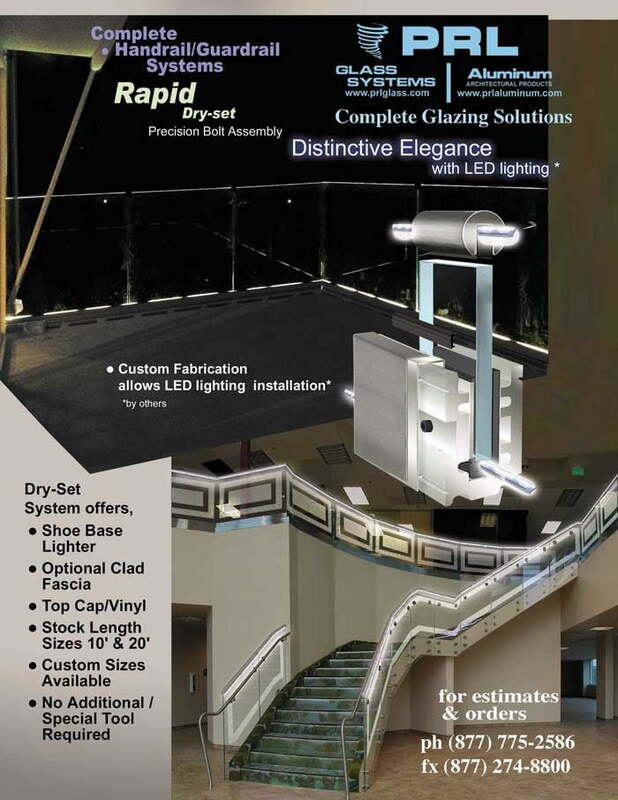 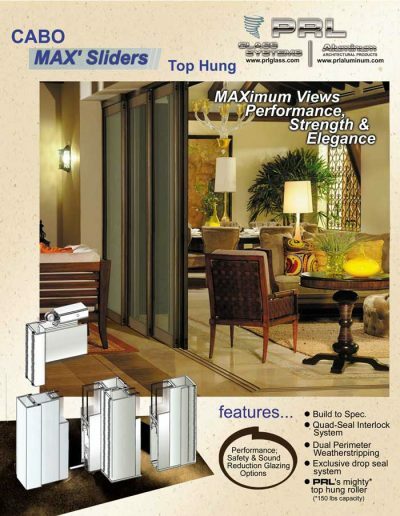 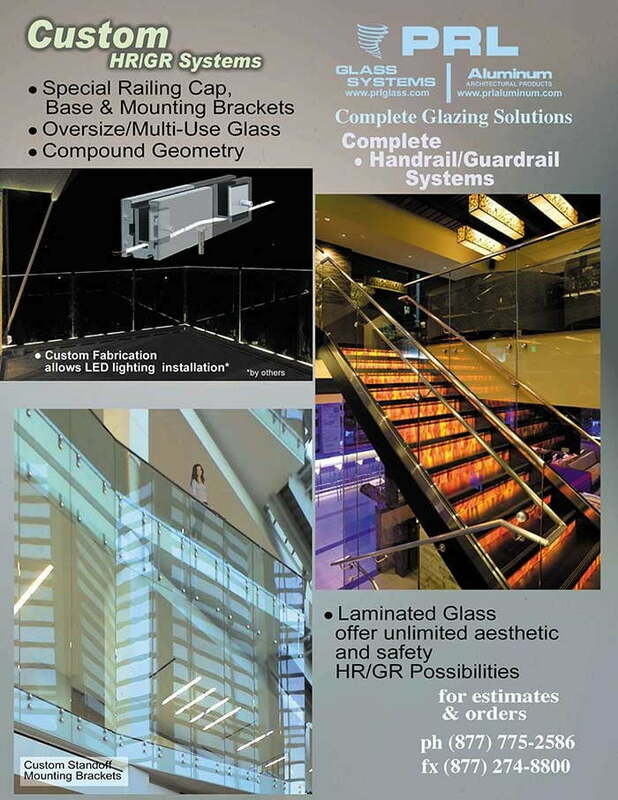 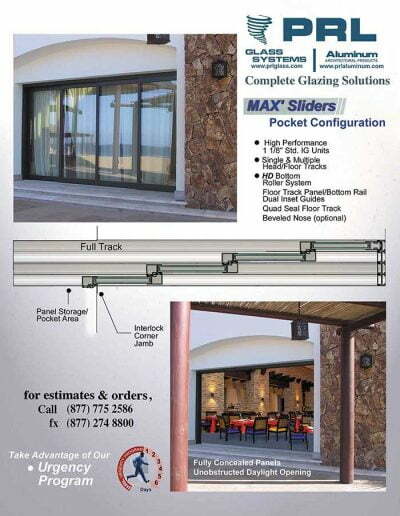 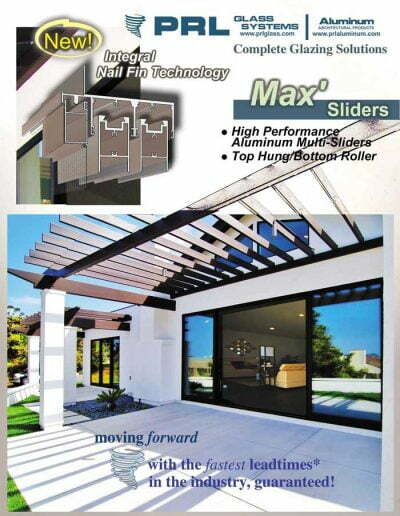 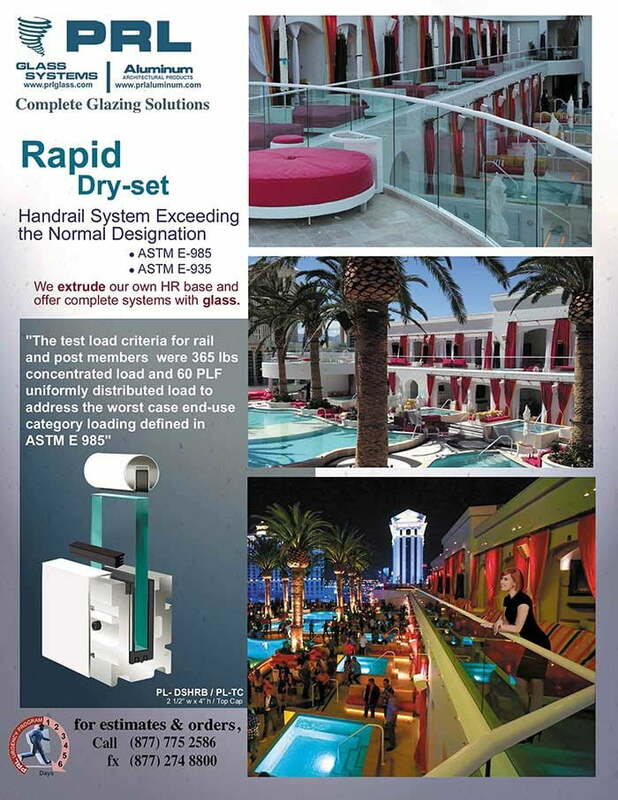 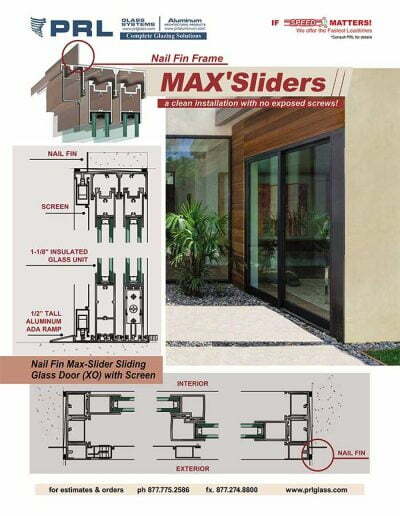 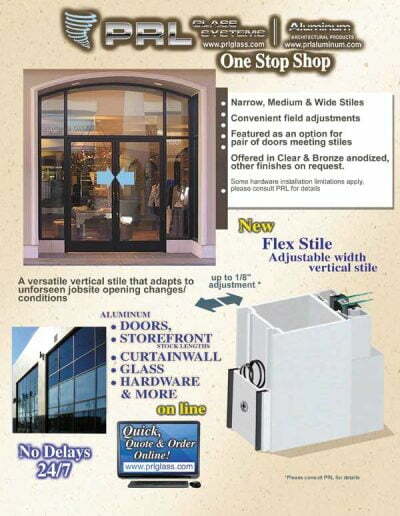 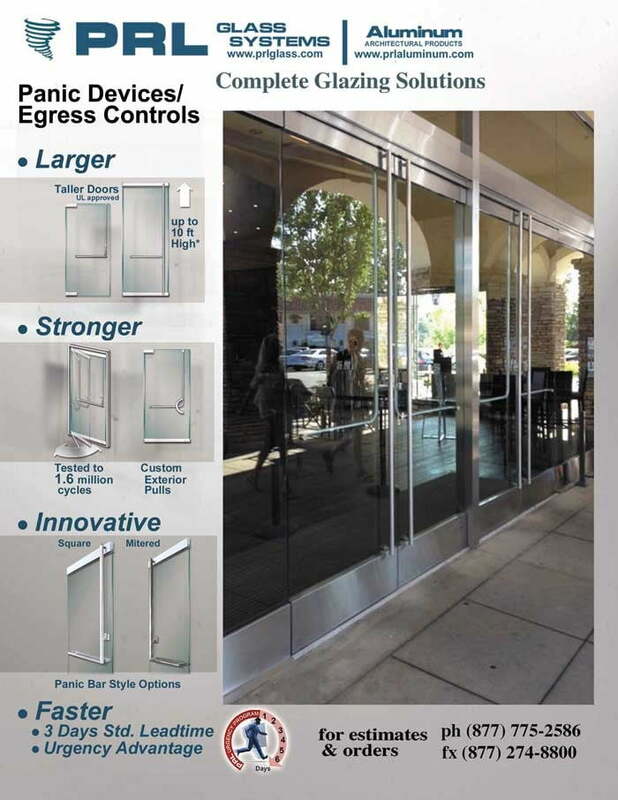 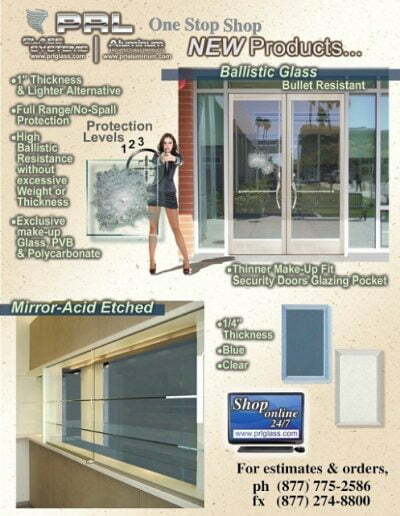 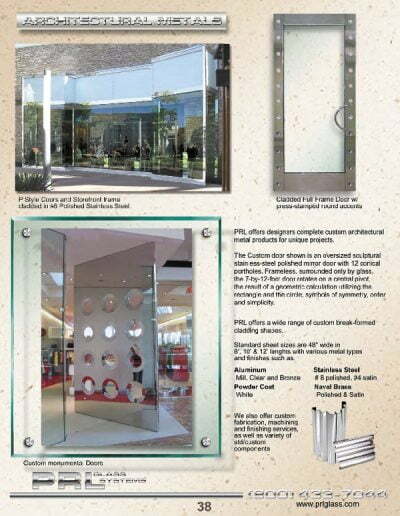 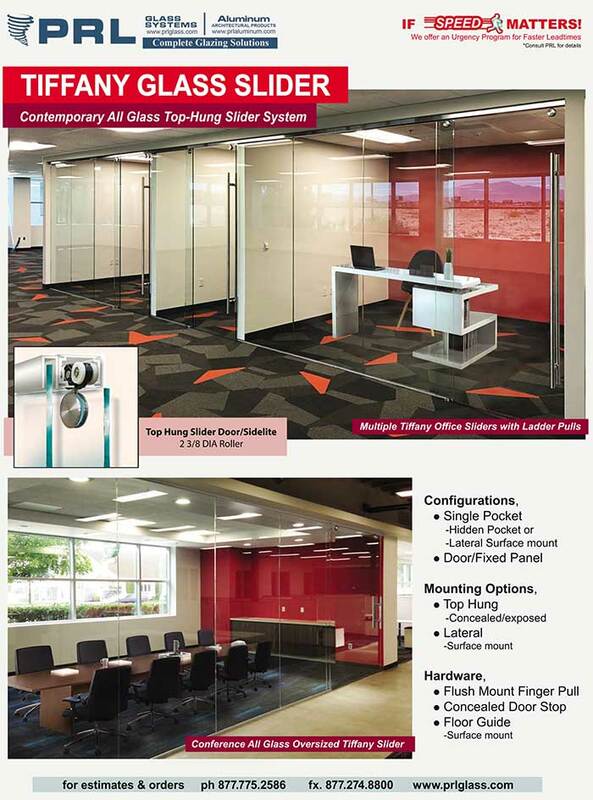 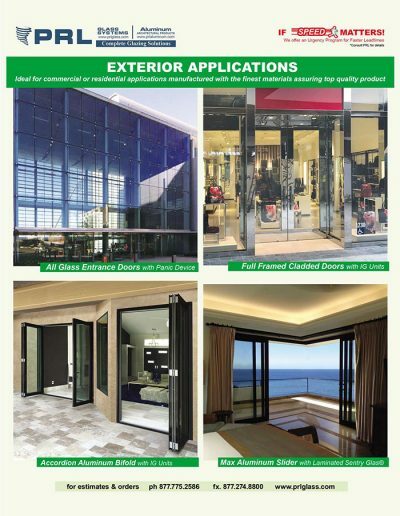 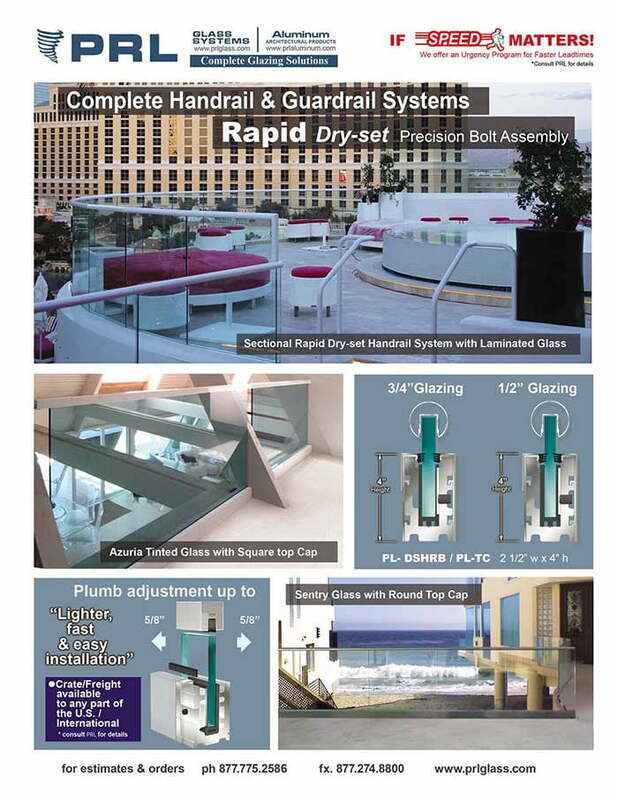 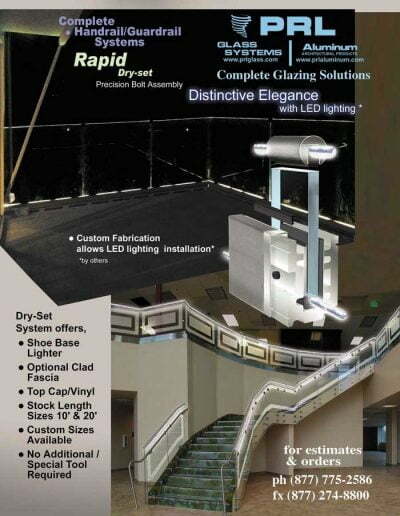 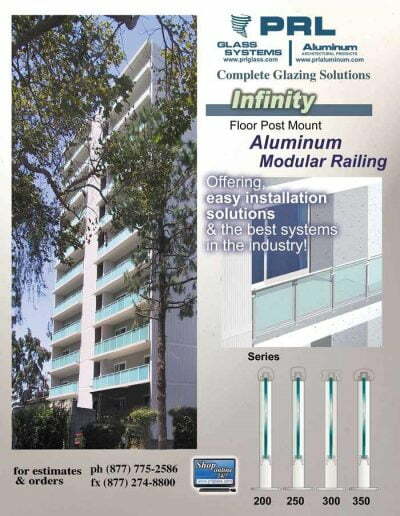 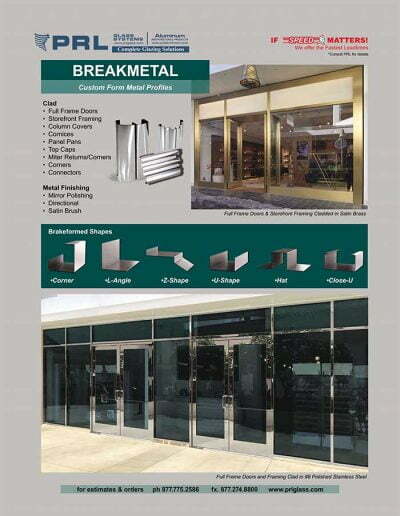 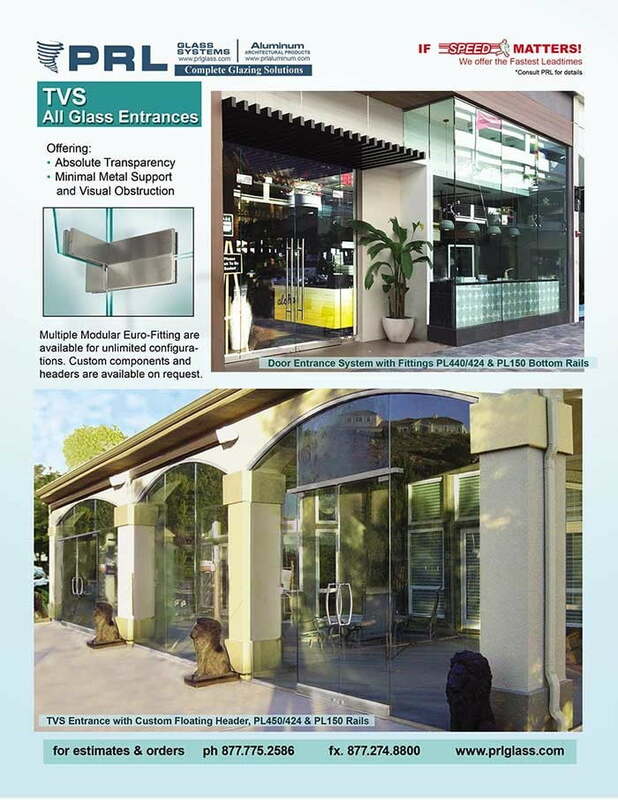 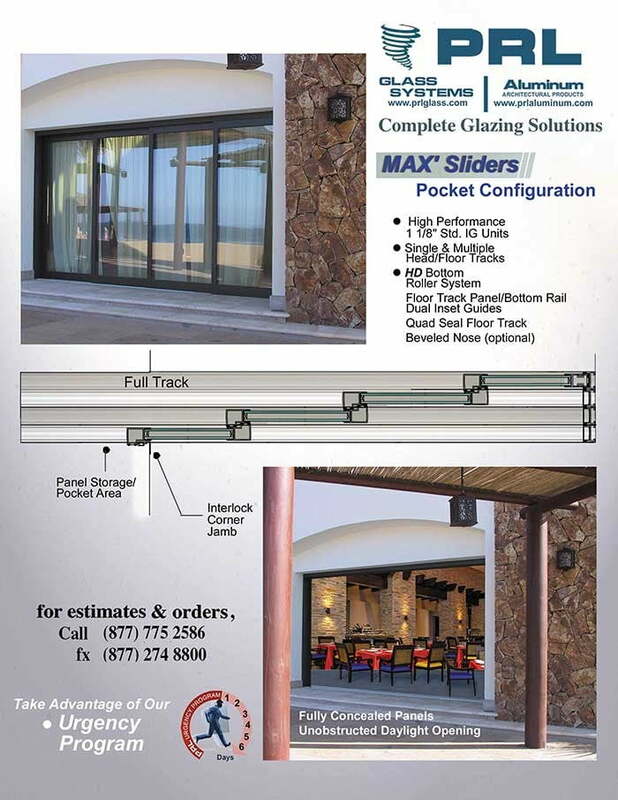 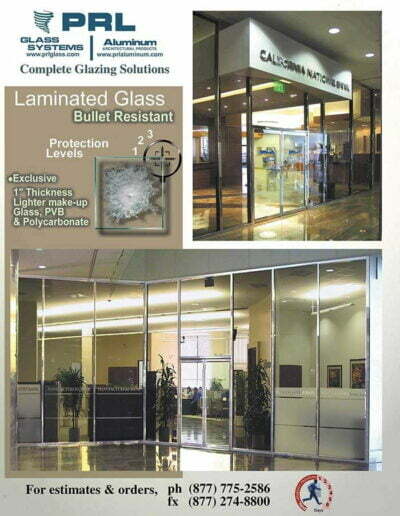 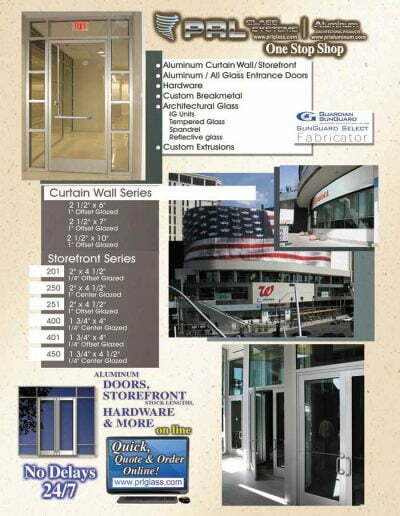 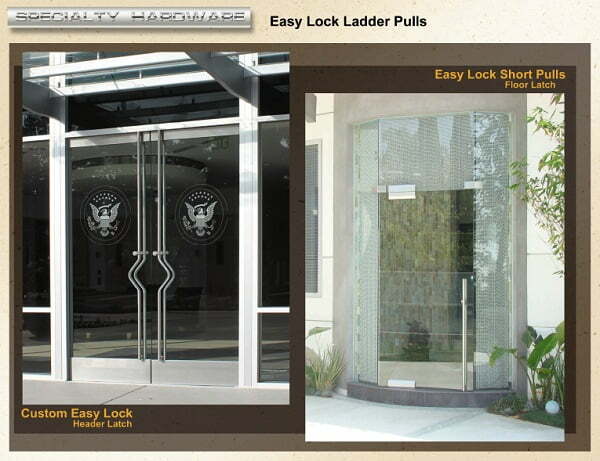 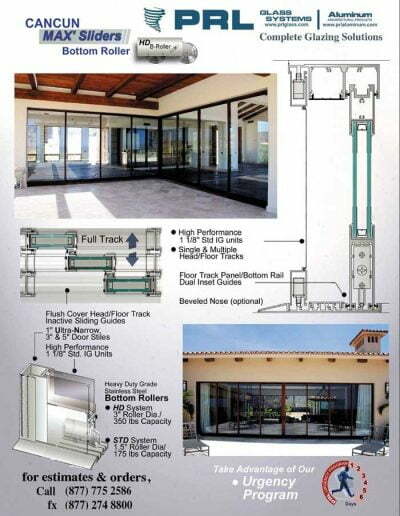 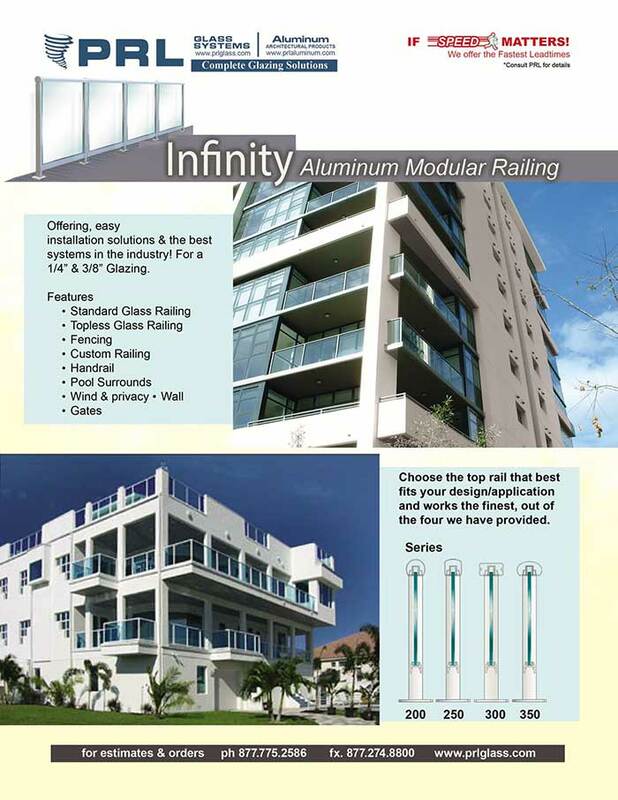 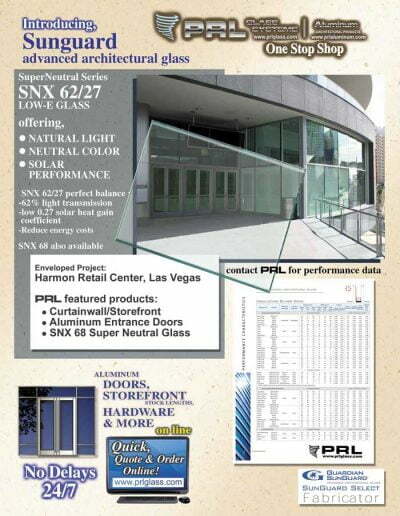 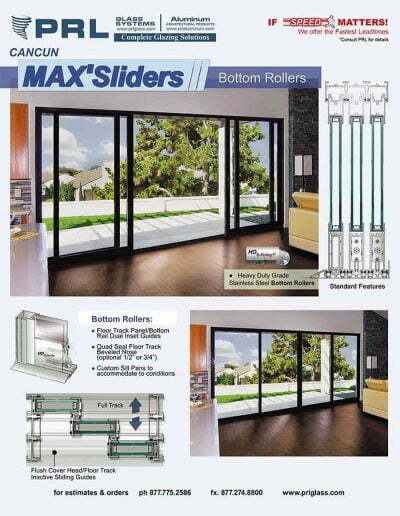 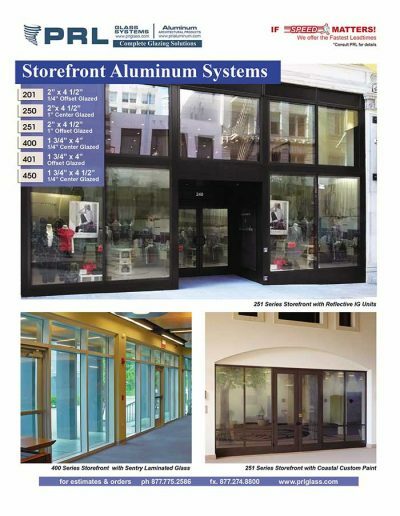 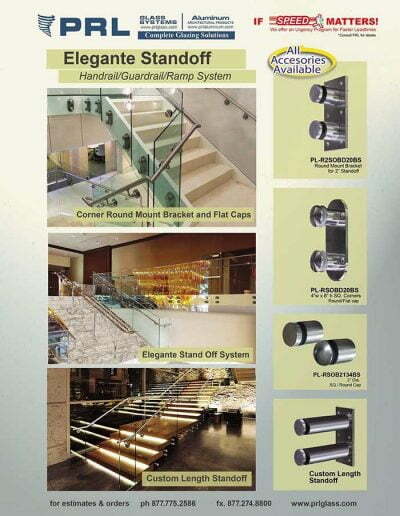 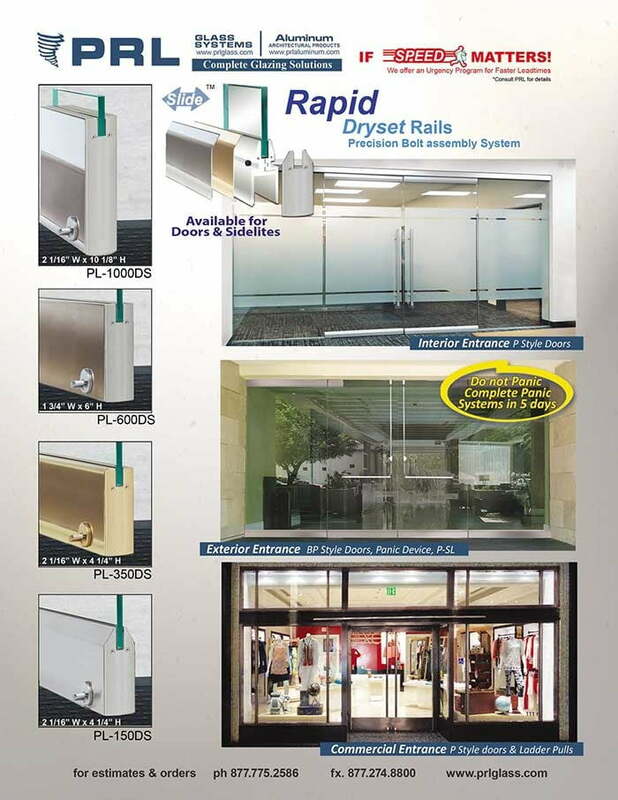 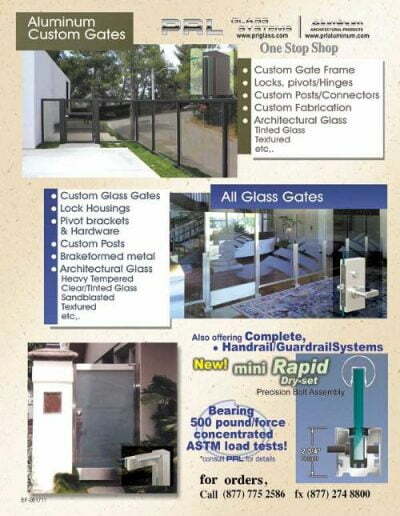 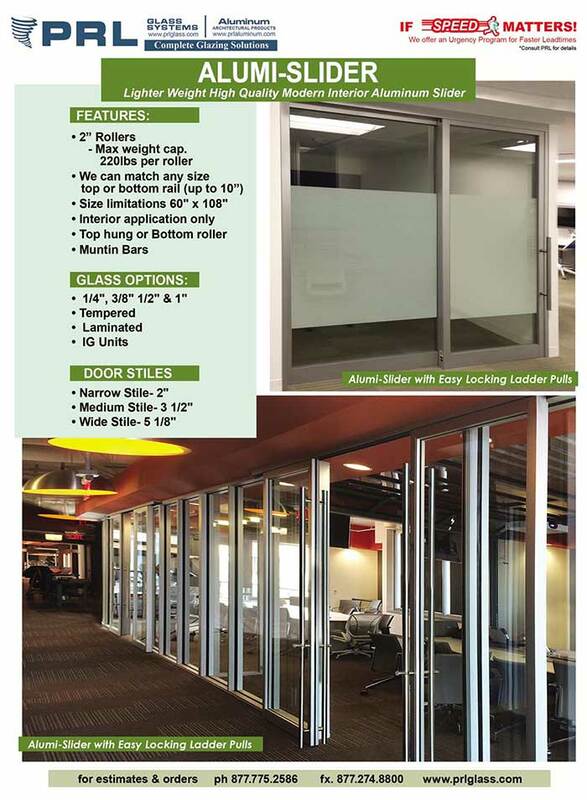 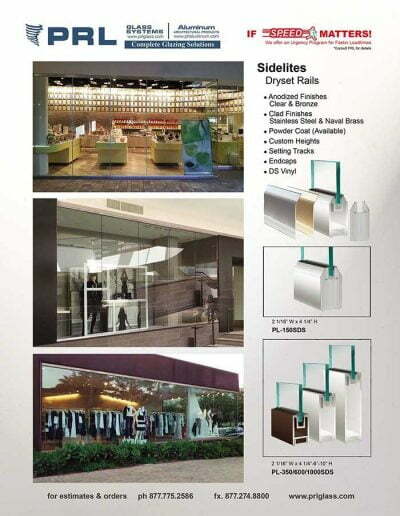 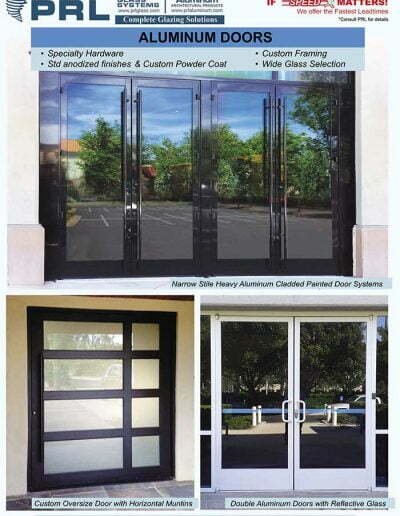 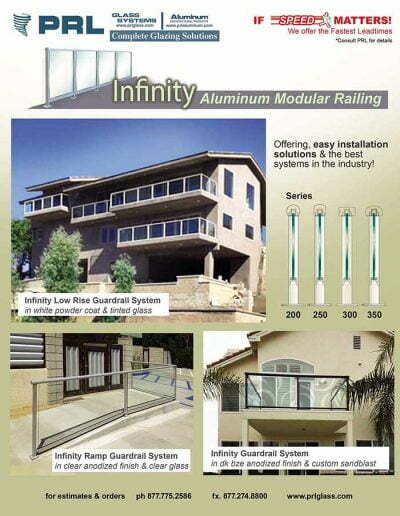 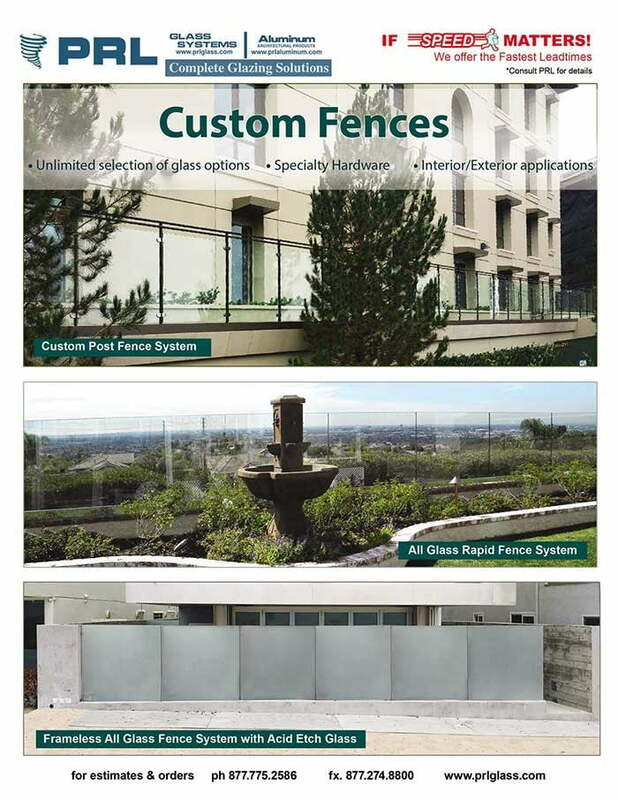 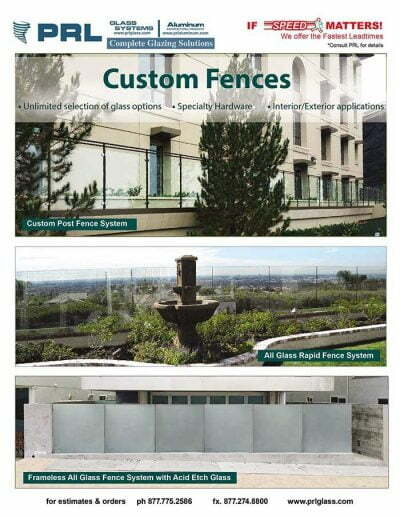 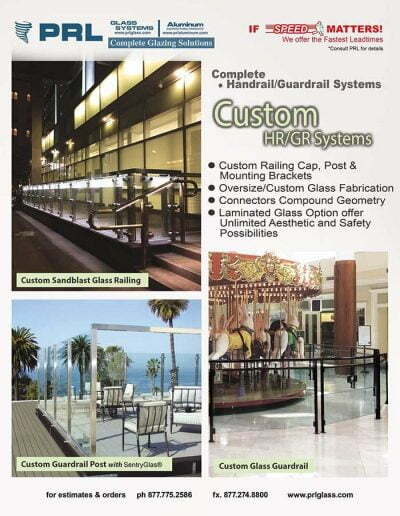 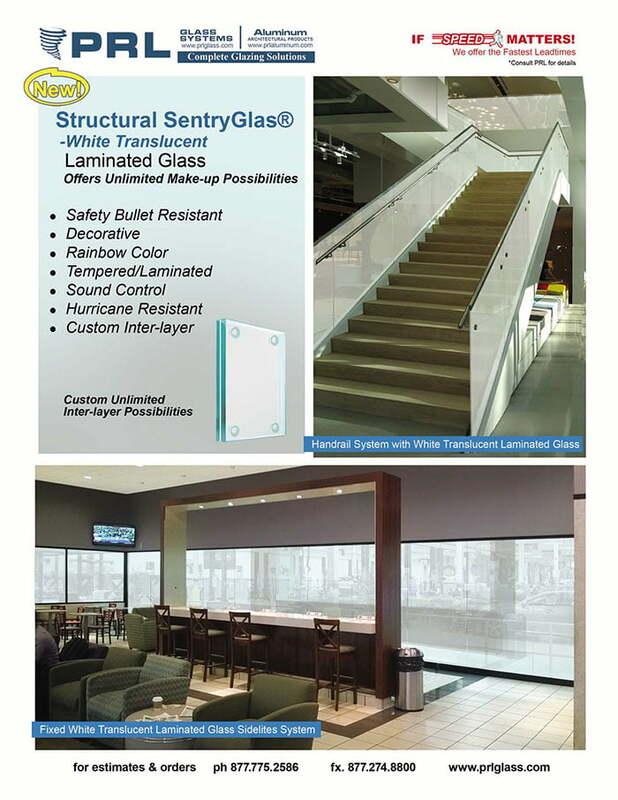 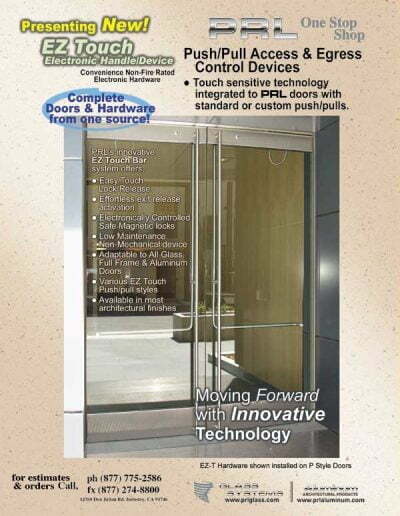 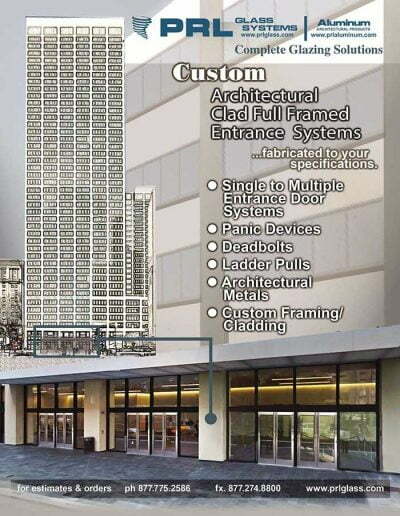 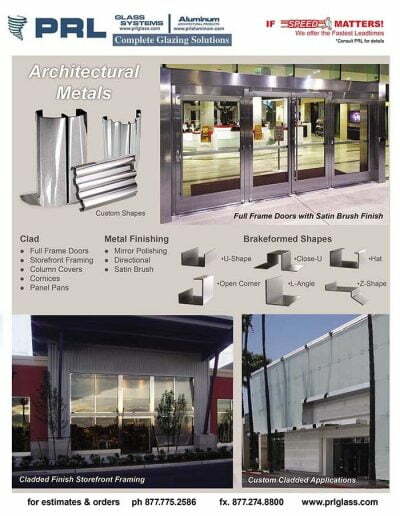 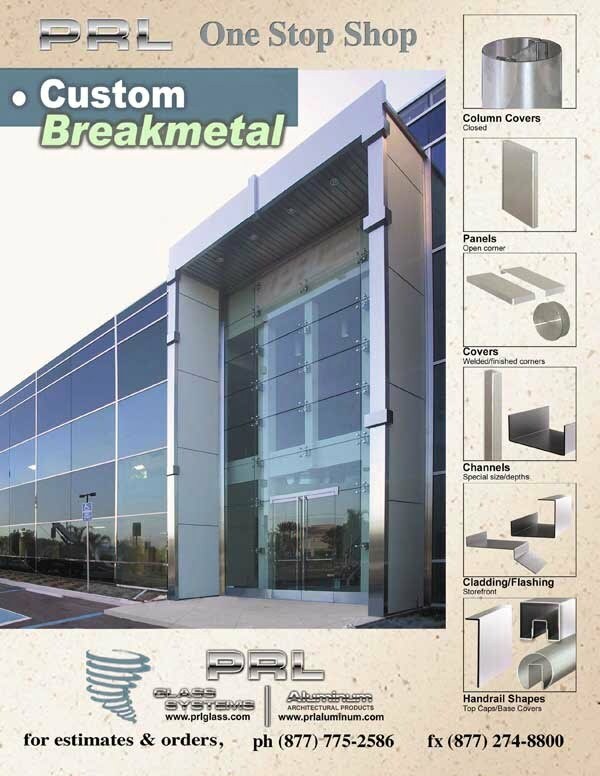 PRL’s Aluminum Curtain Wall Systems are designed for Commercial applications. 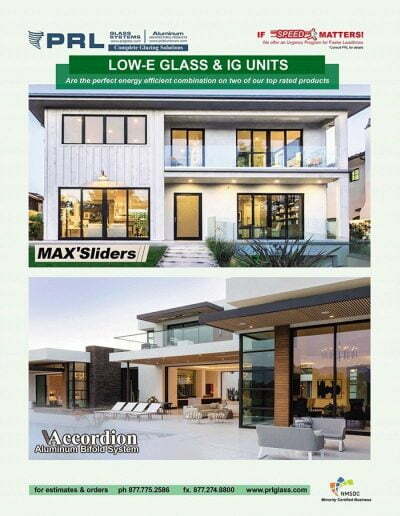 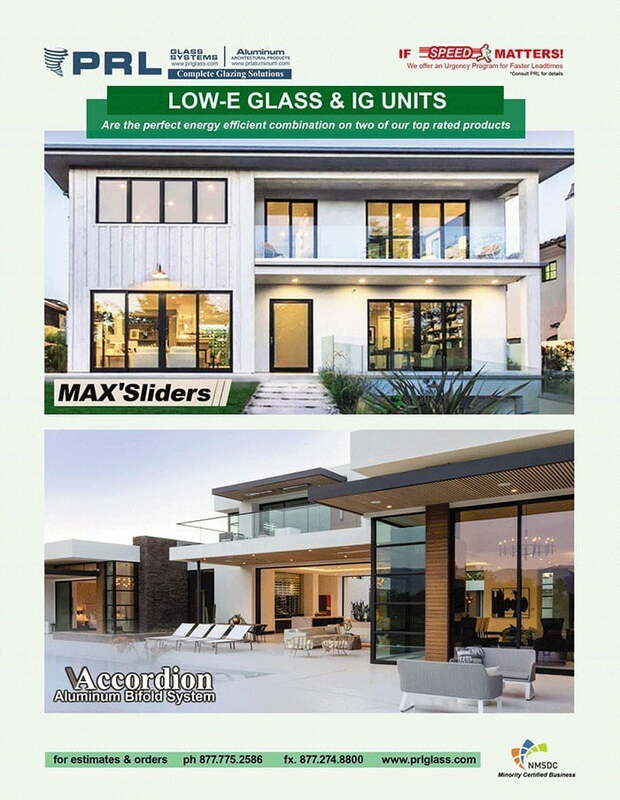 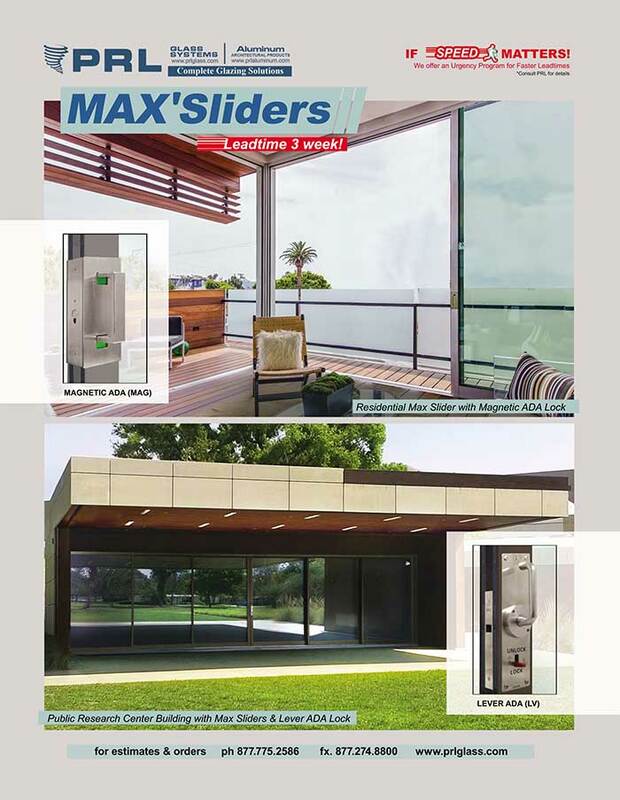 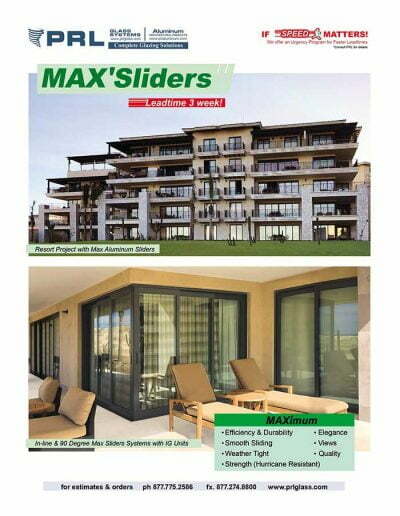 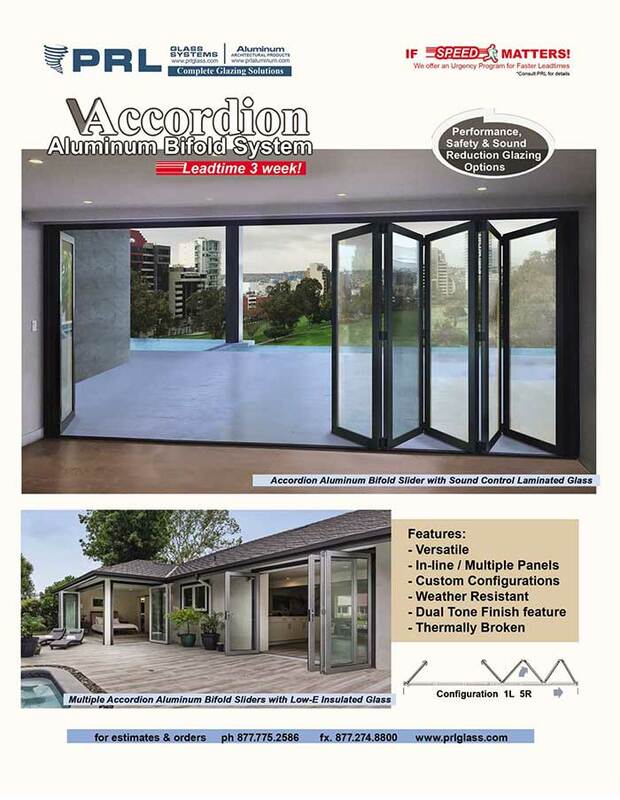 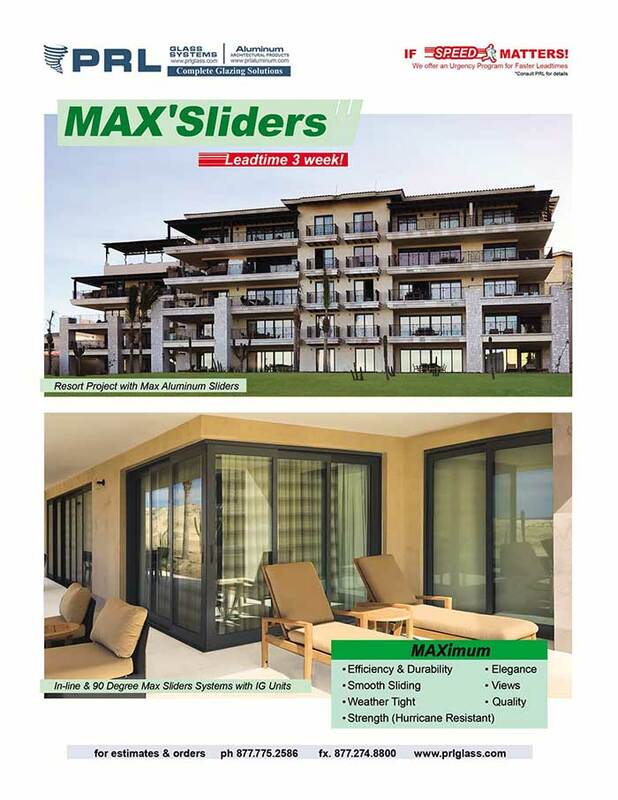 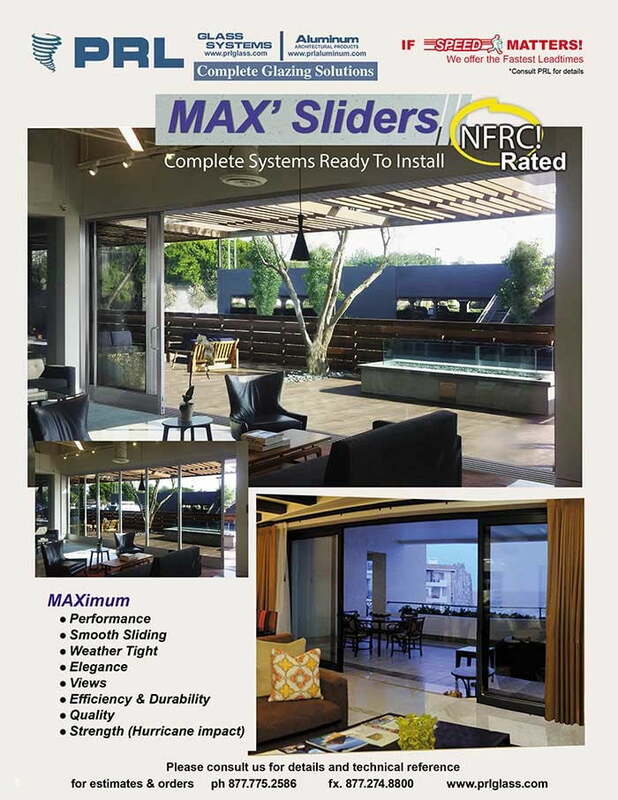 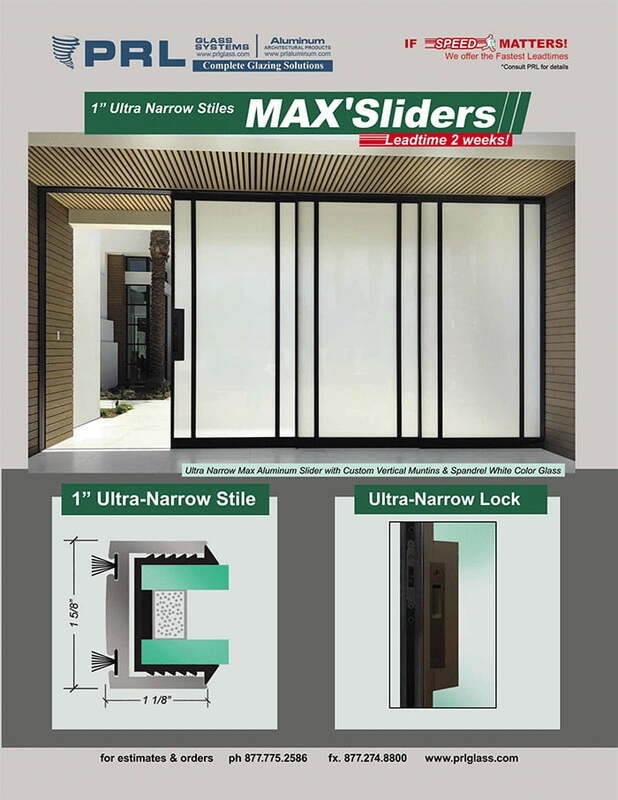 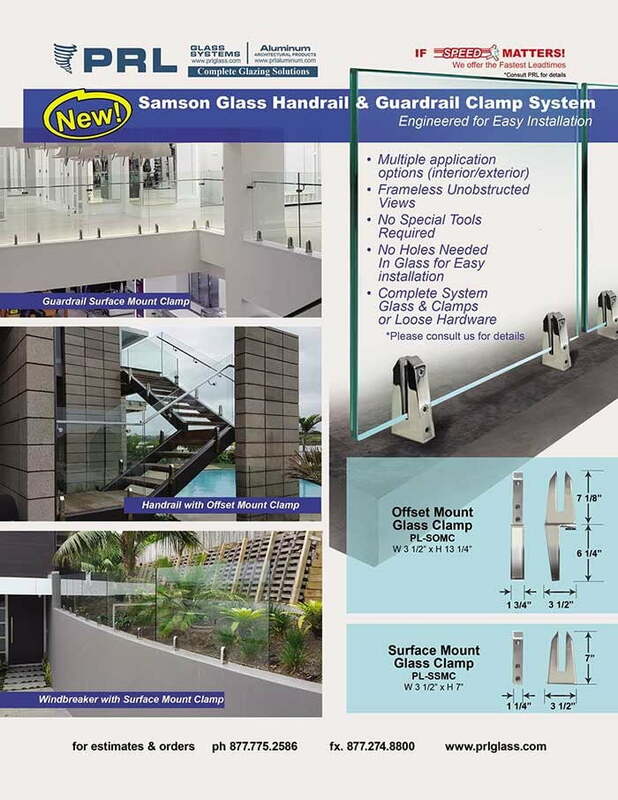 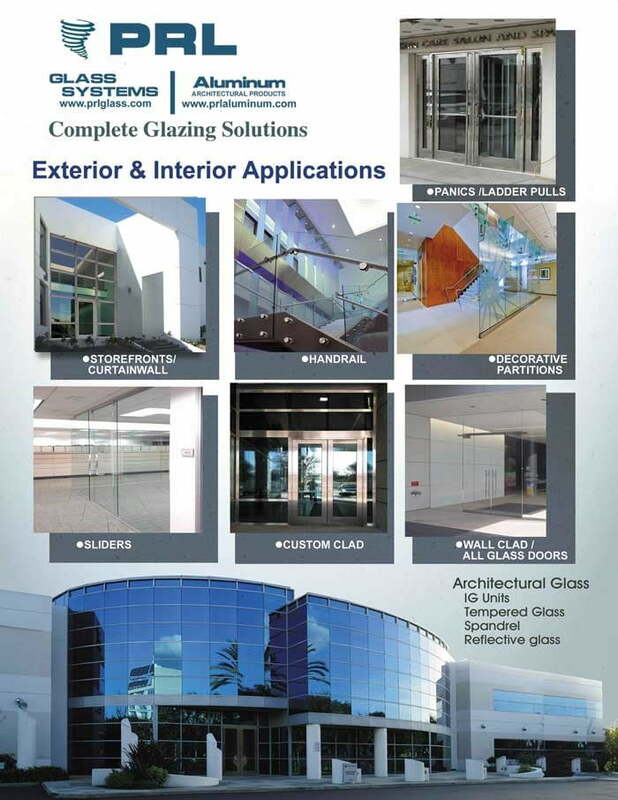 Our vision is to offer you a complete aluminum curtain wall system which includes the tempered glass, Ig units, spandrel, laminated glass and entrance doors. 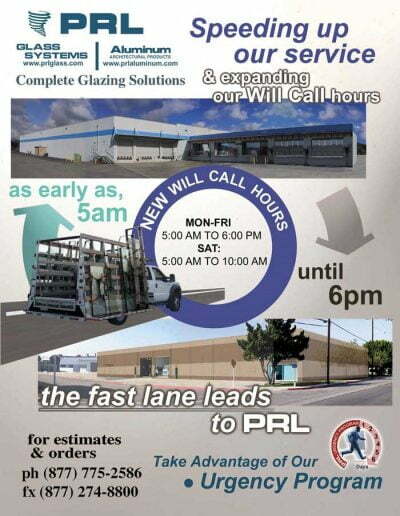 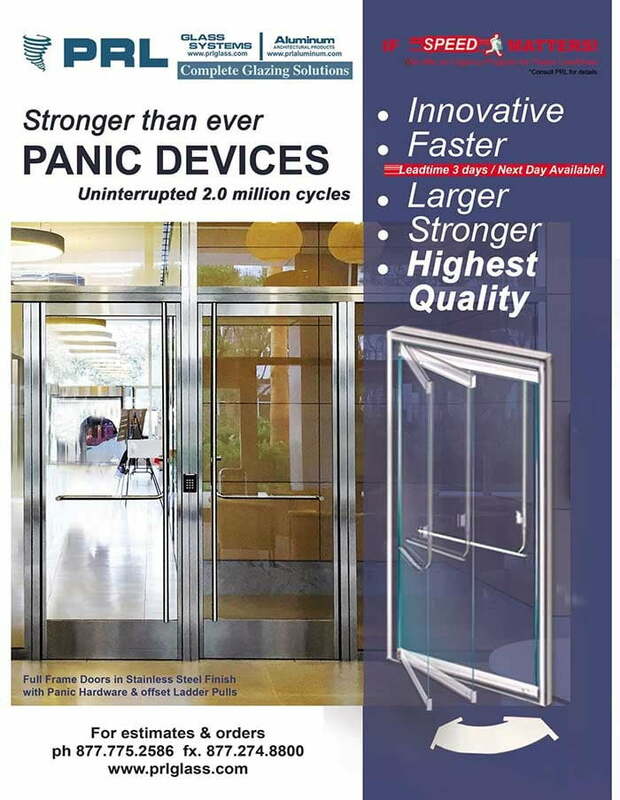 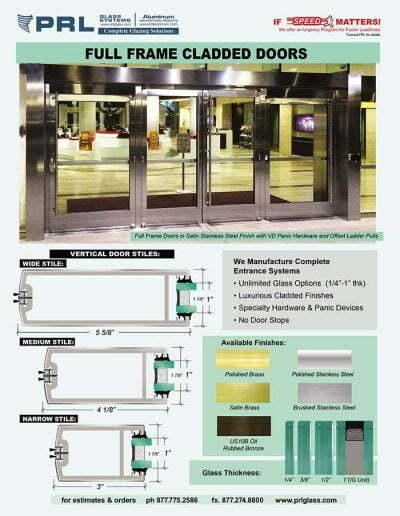 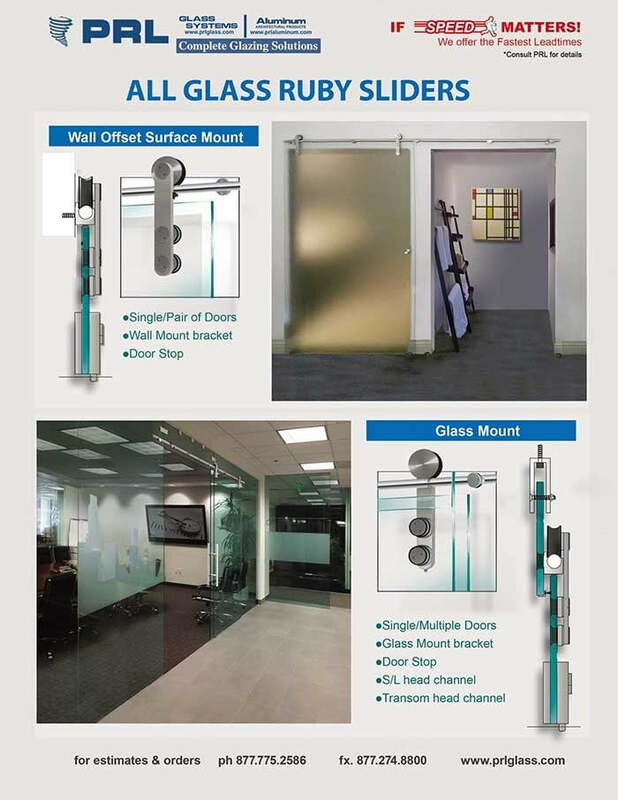 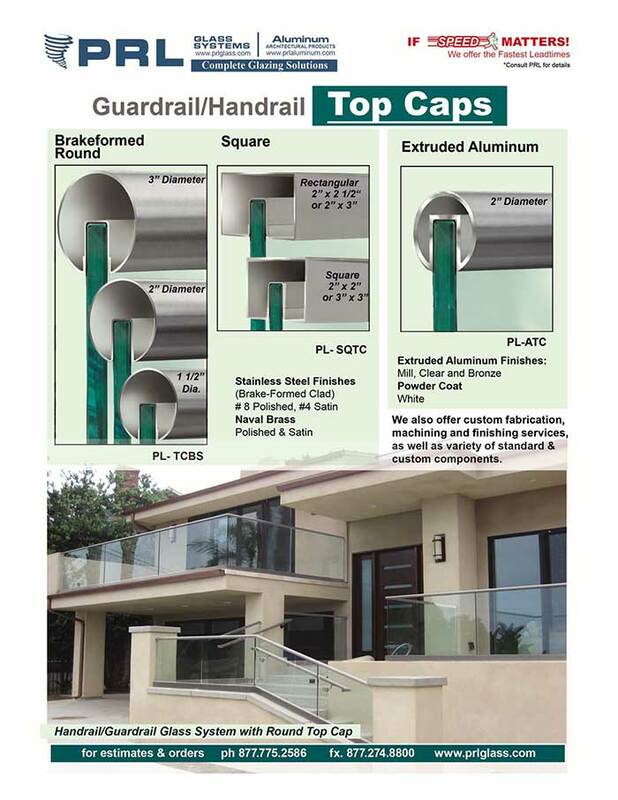 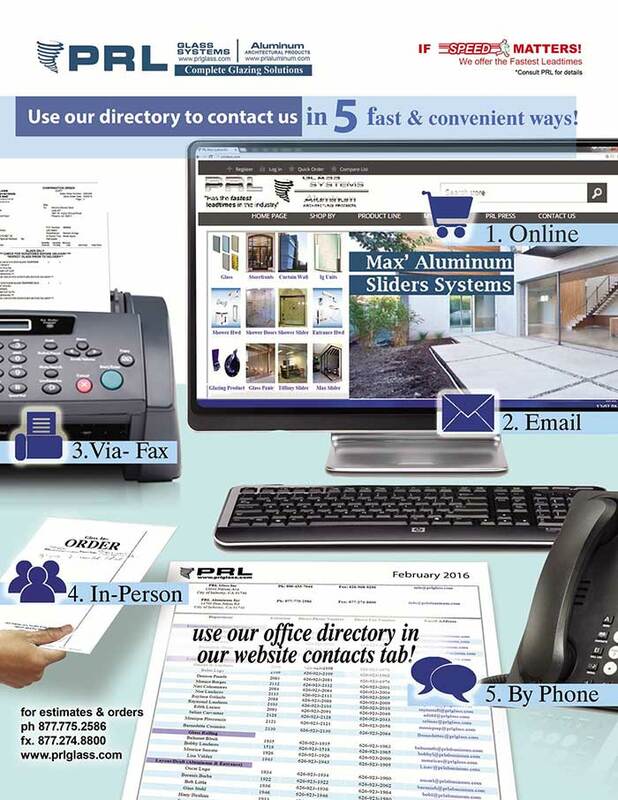 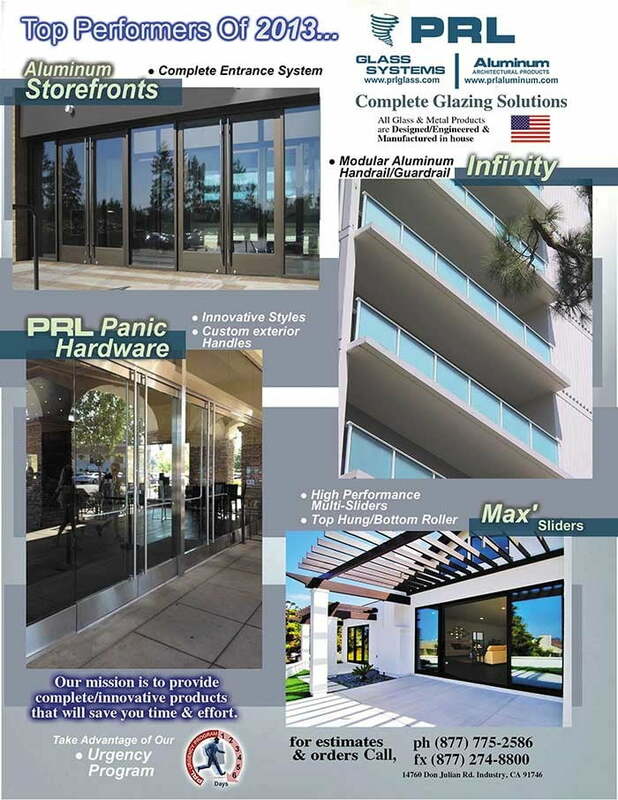 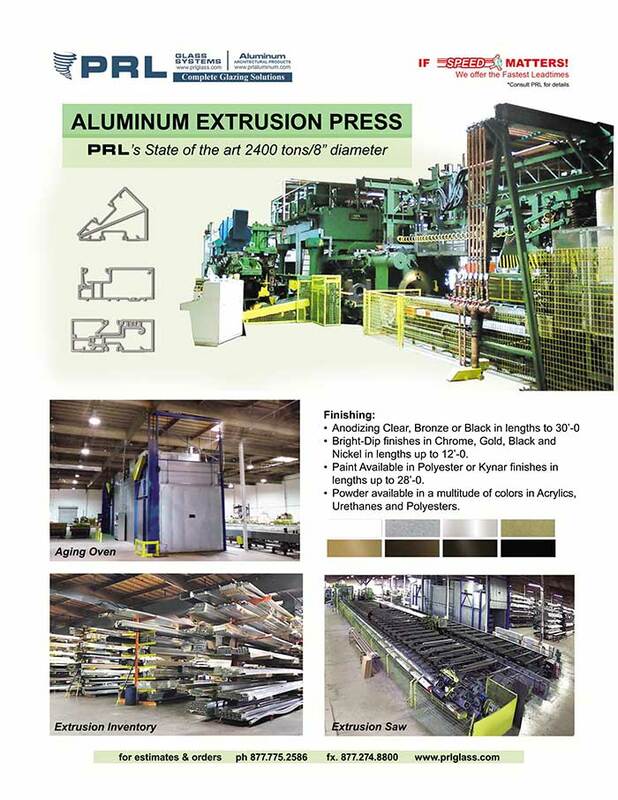 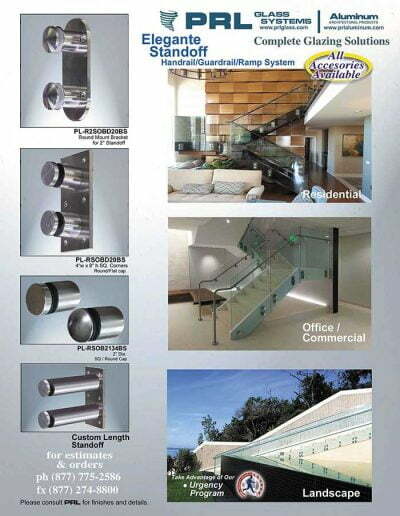 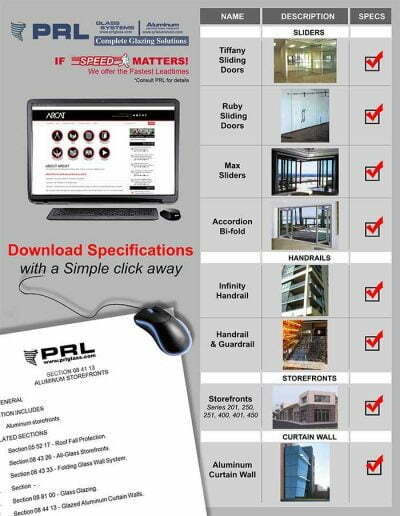 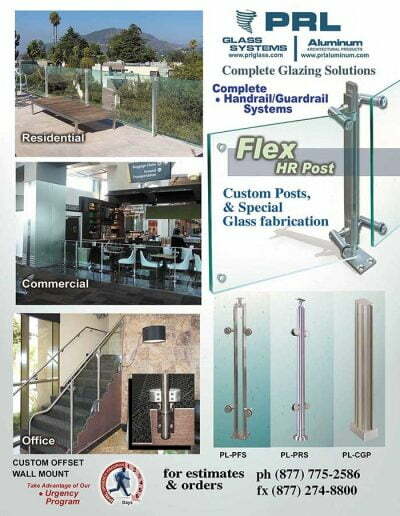 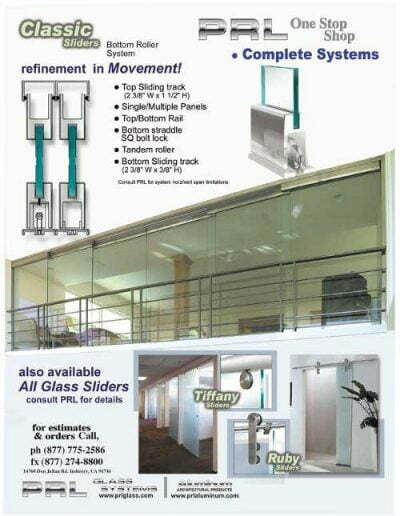 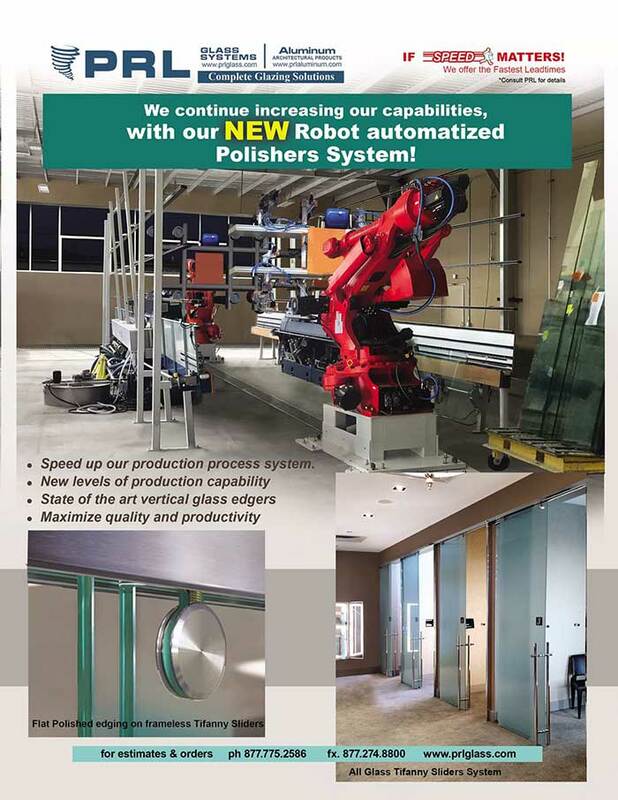 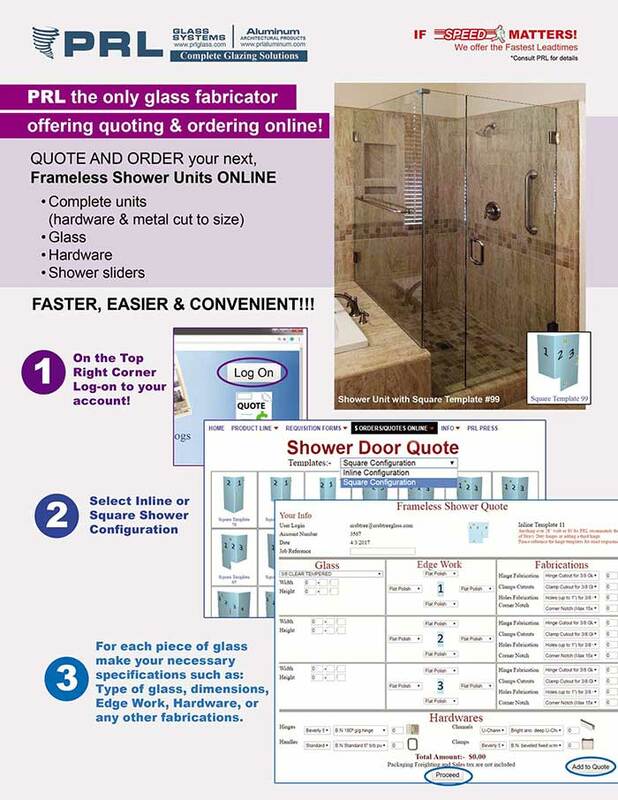 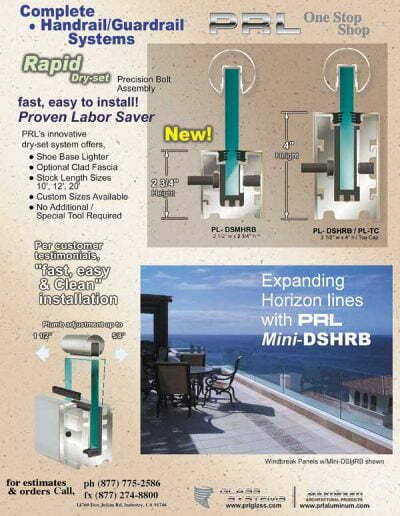 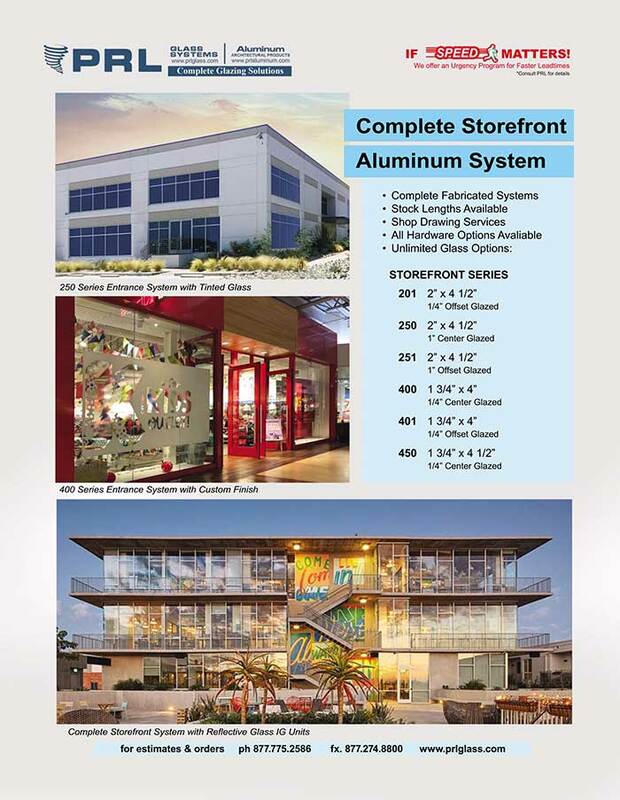 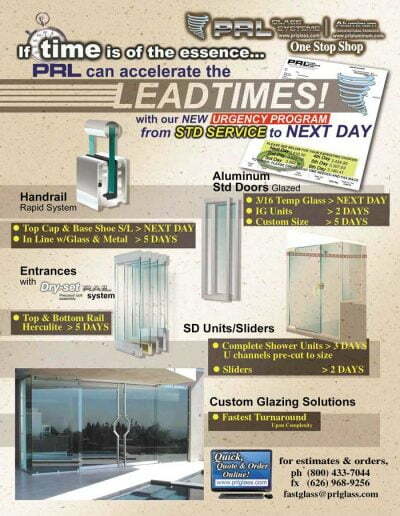 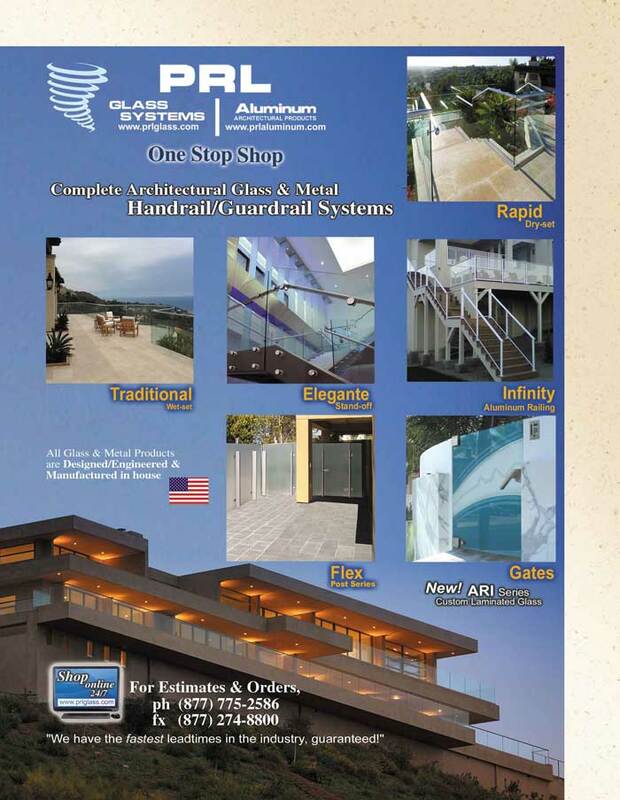 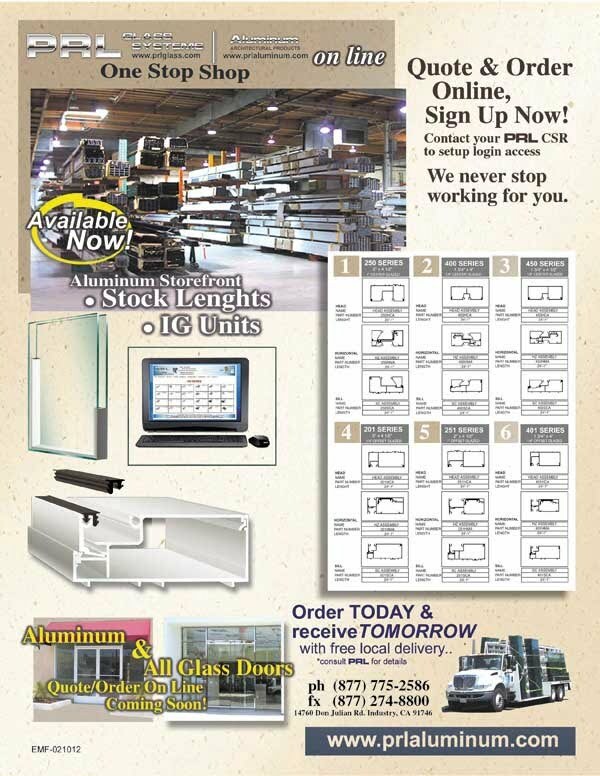 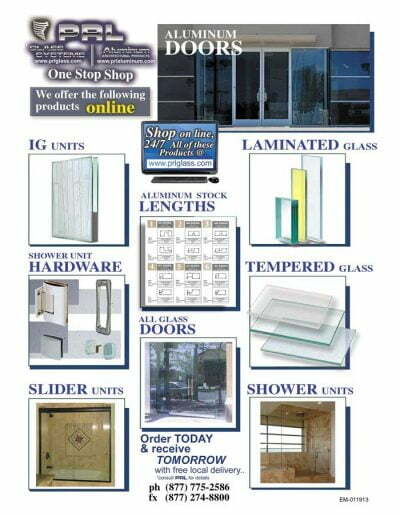 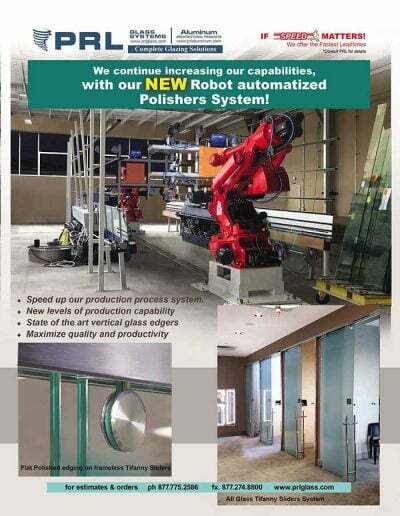 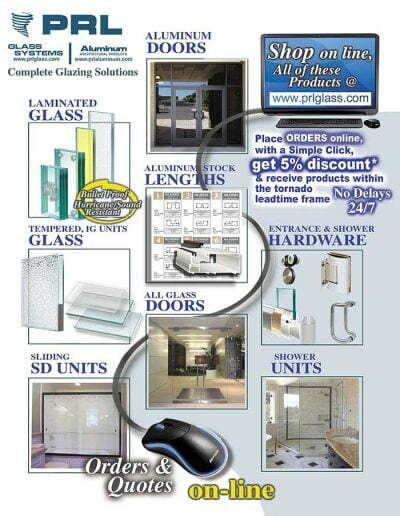 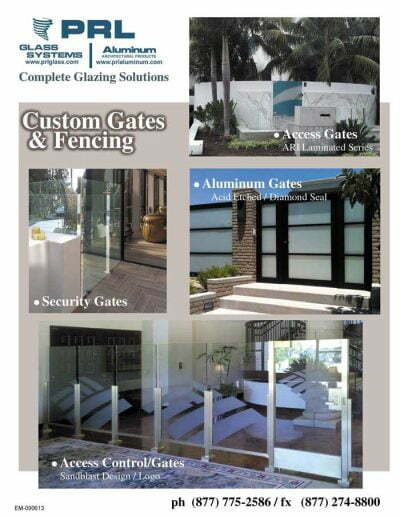 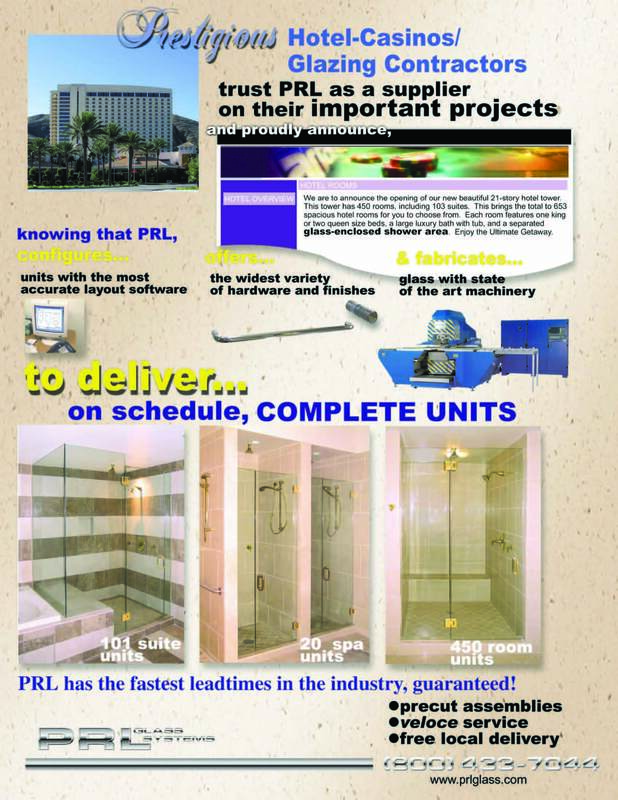 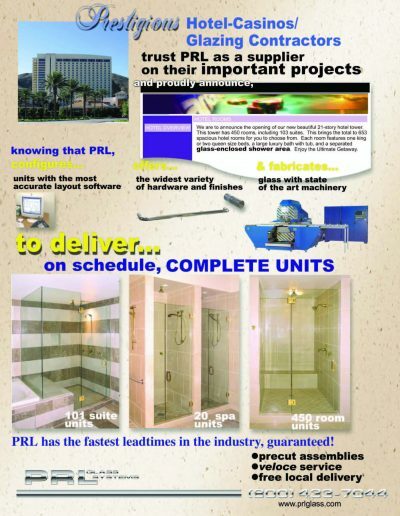 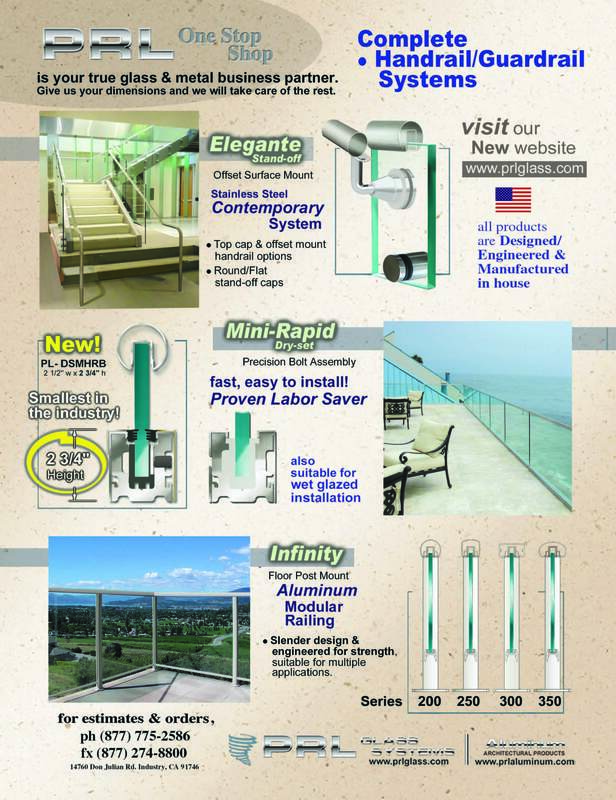 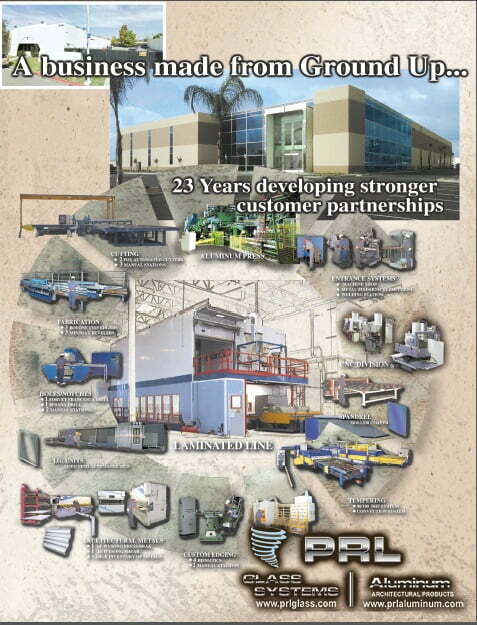 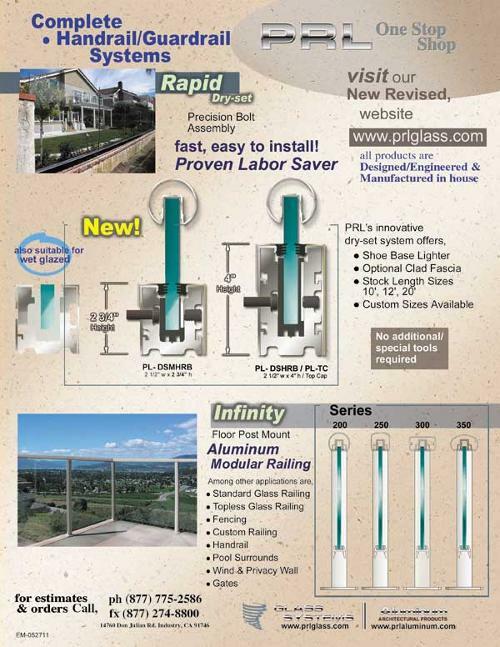 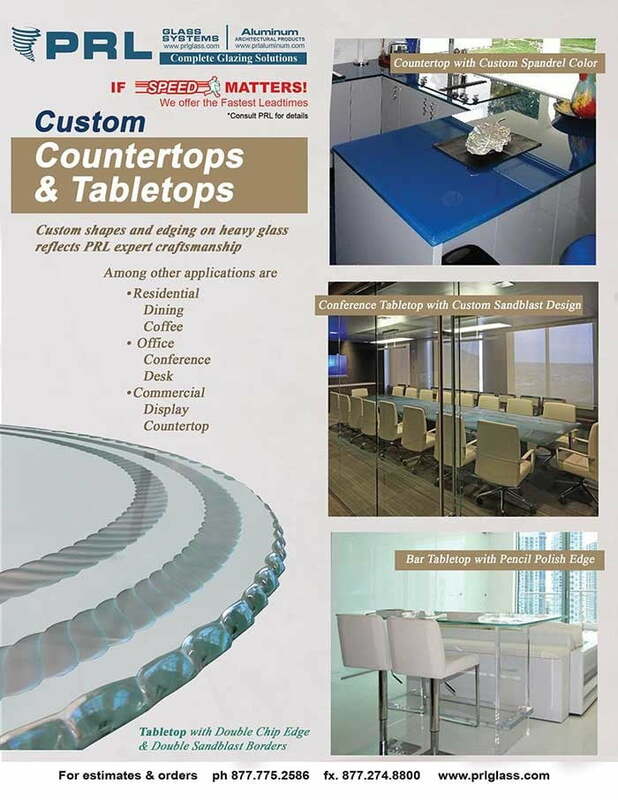 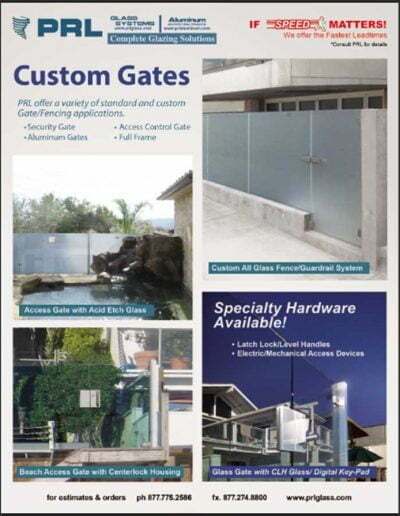 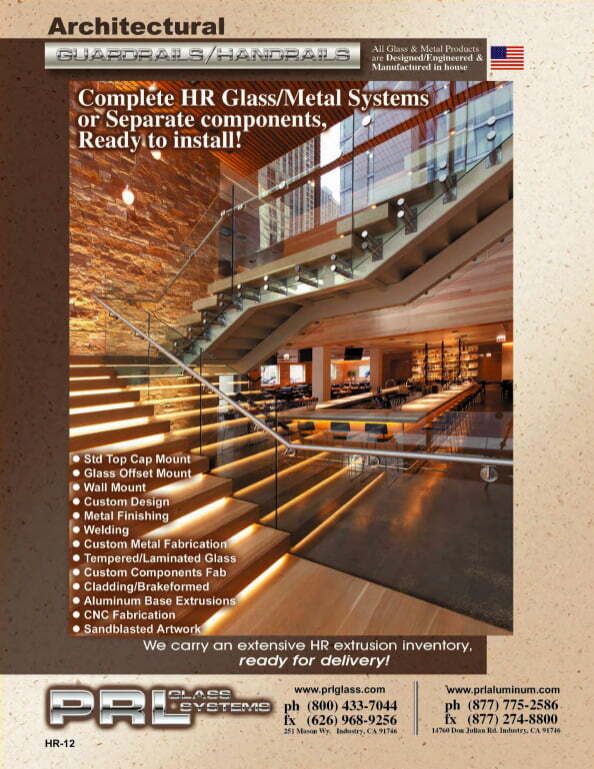 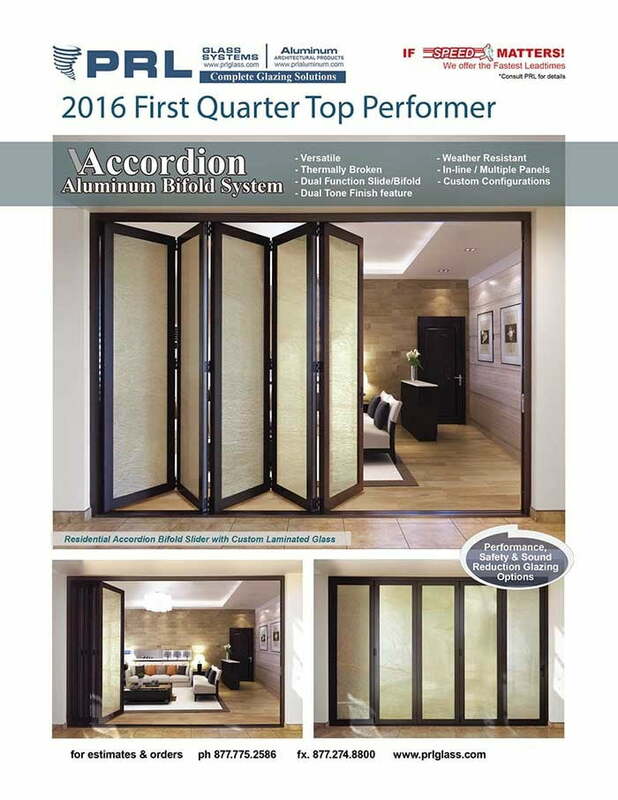 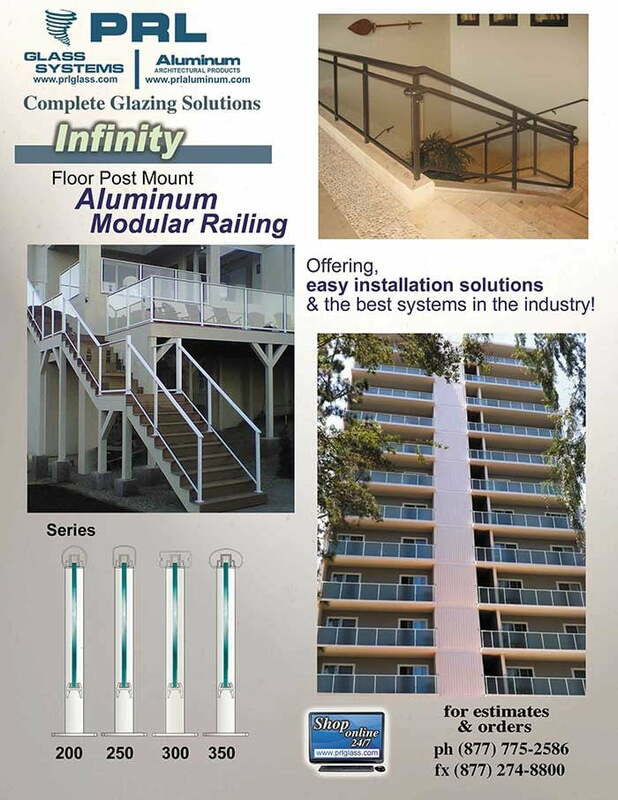 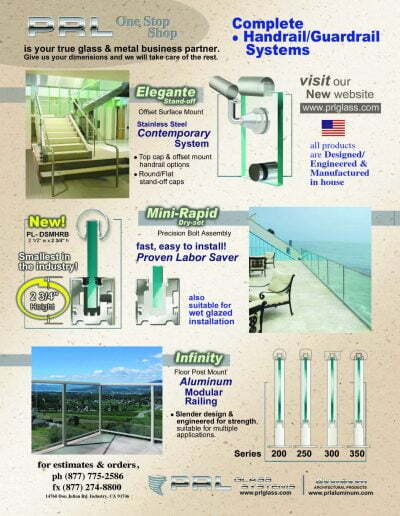 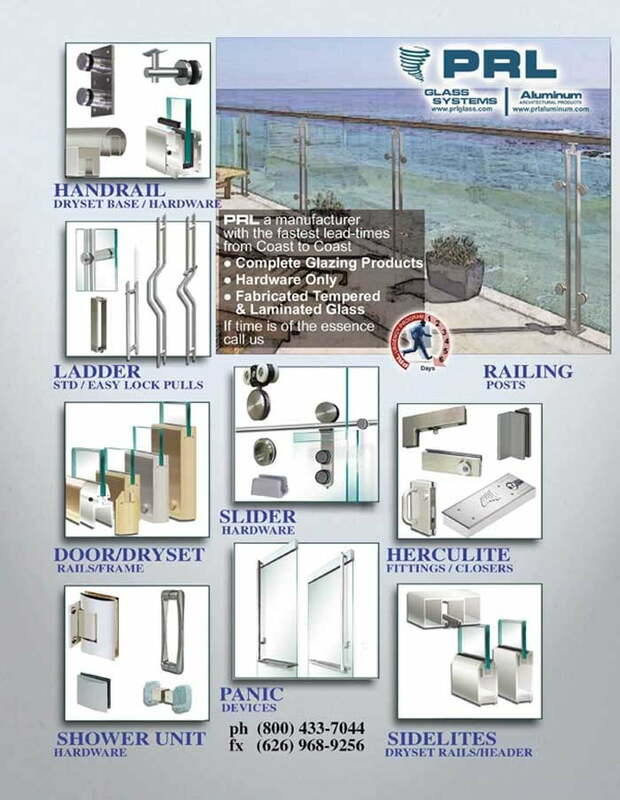 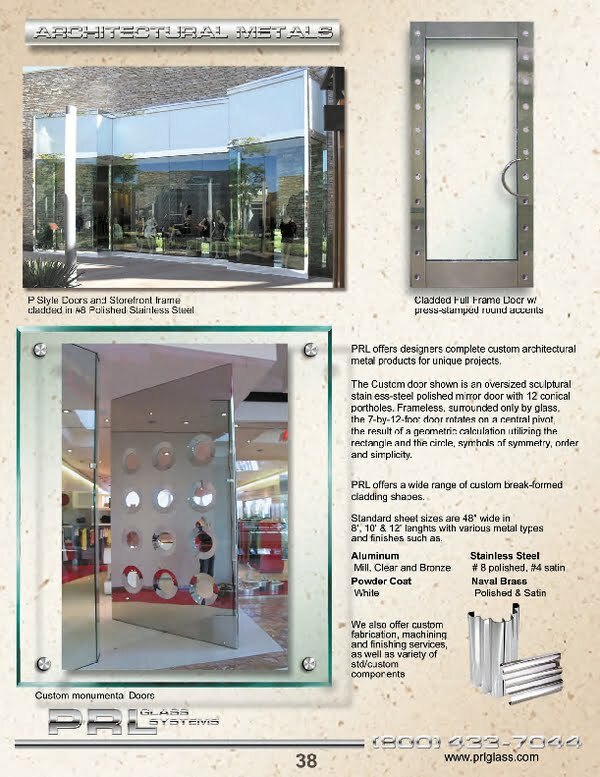 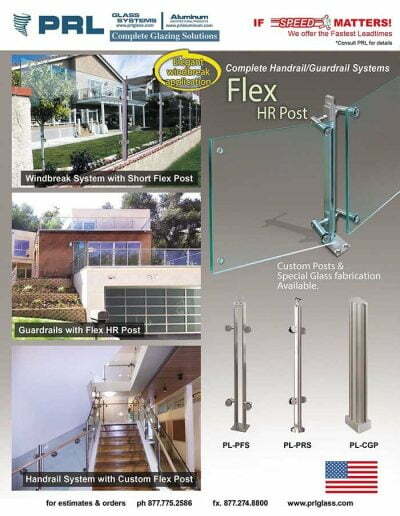 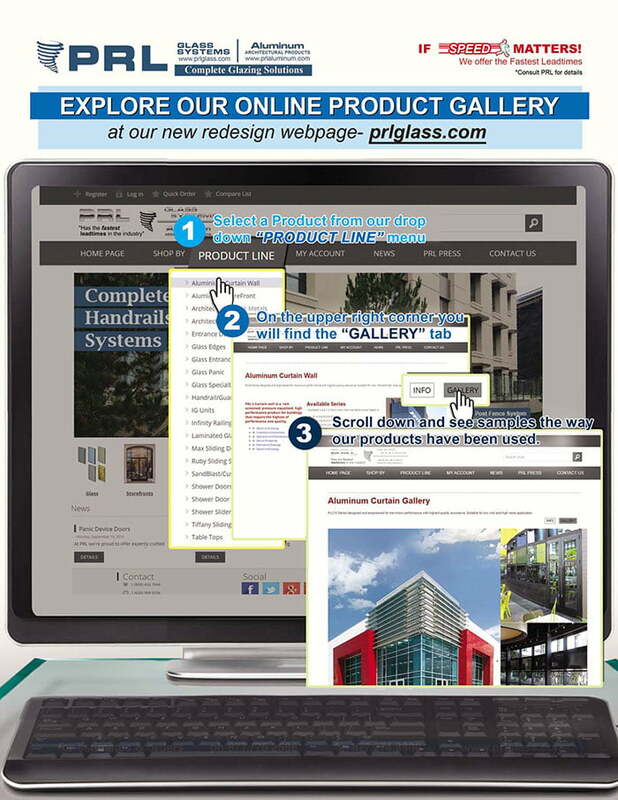 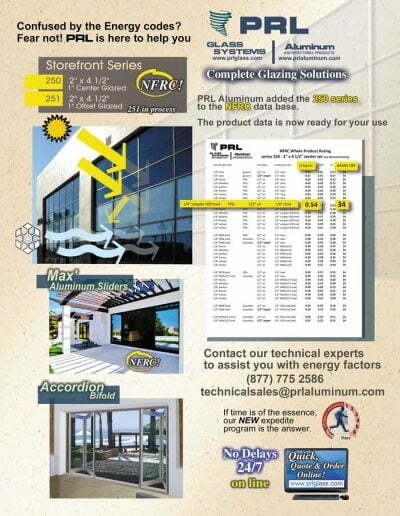 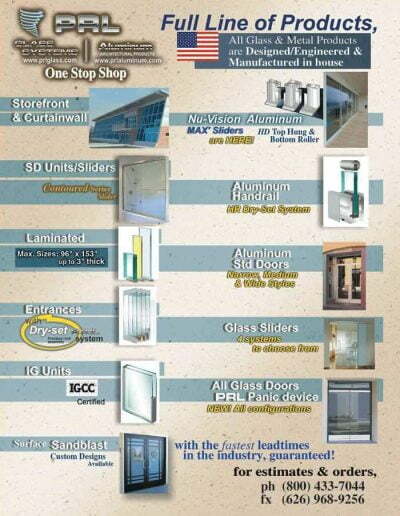 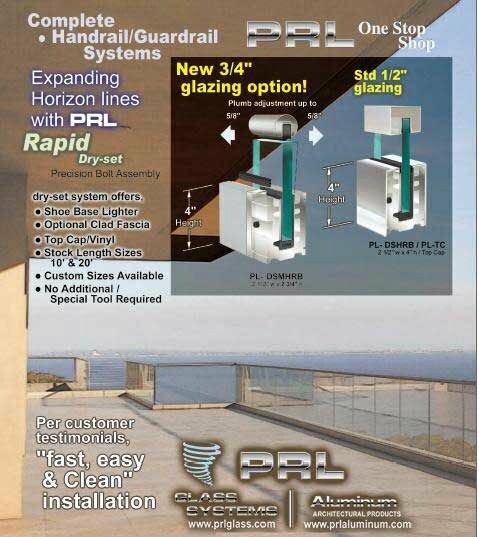 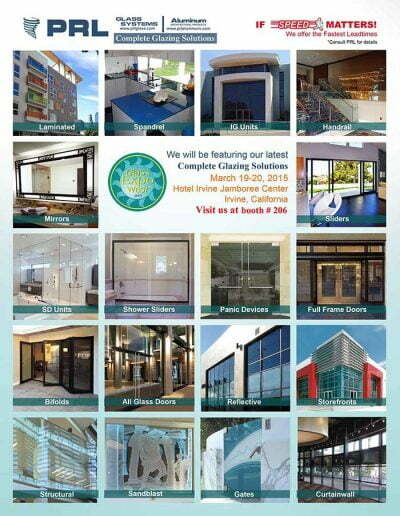 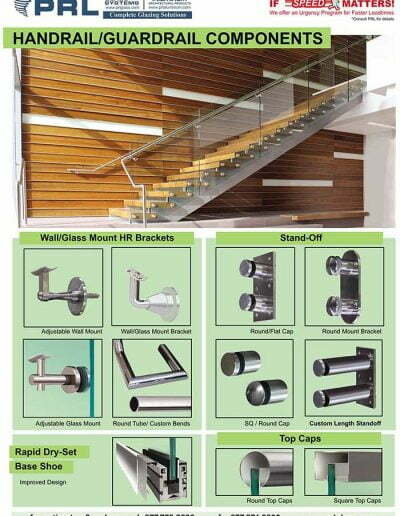 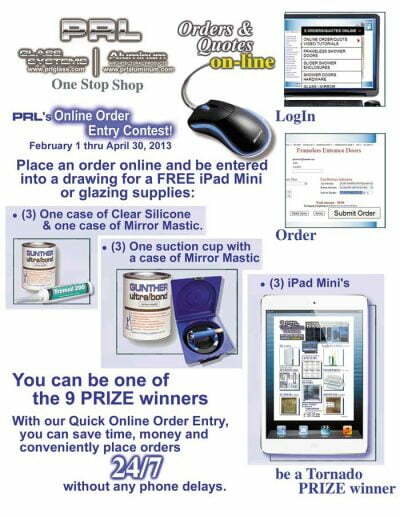 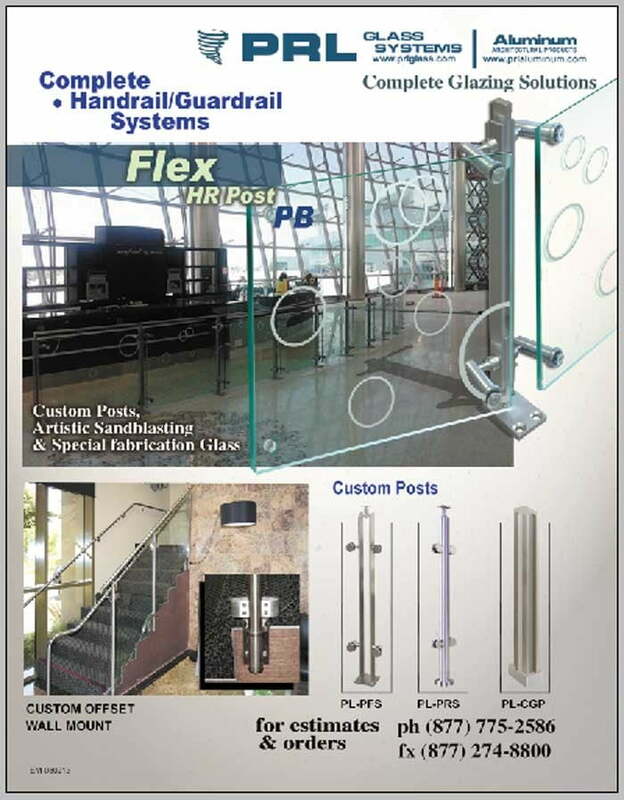 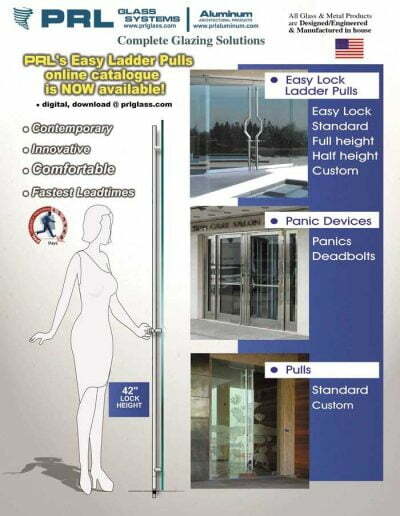 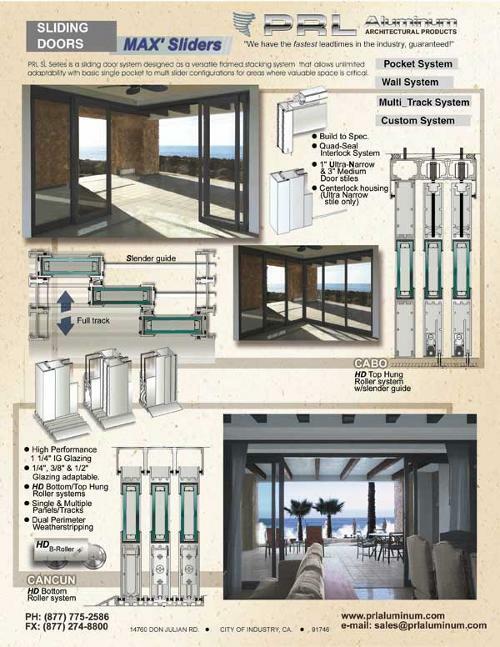 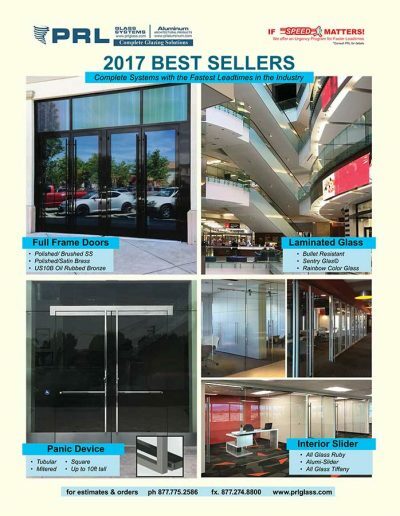 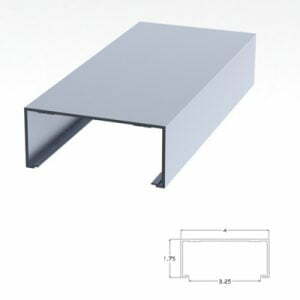 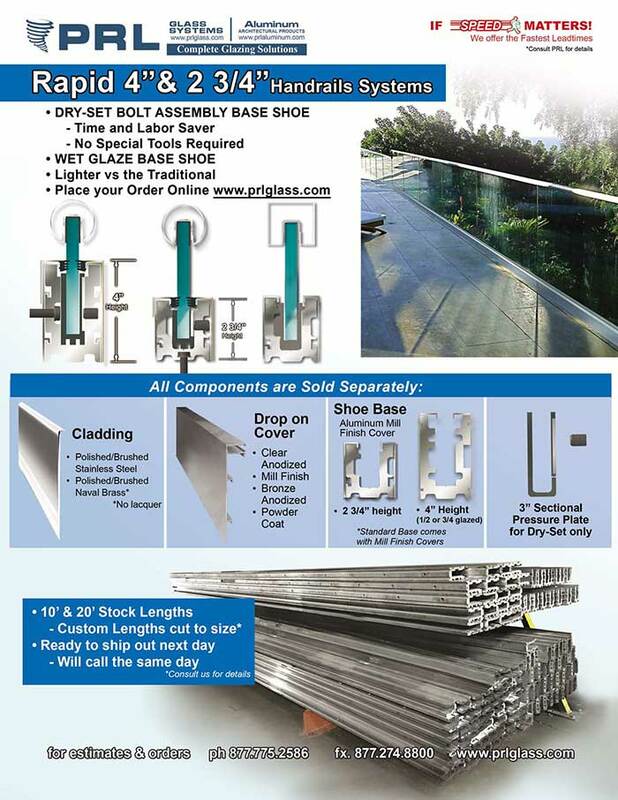 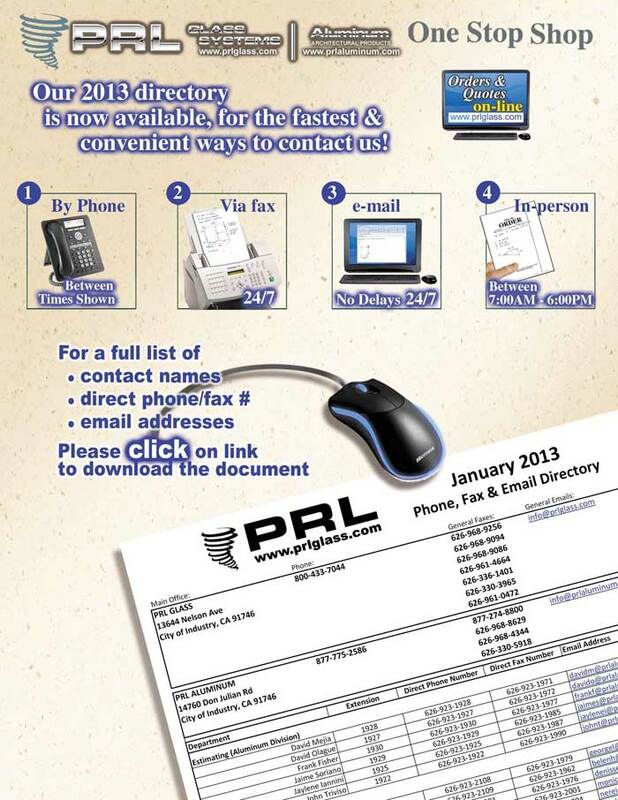 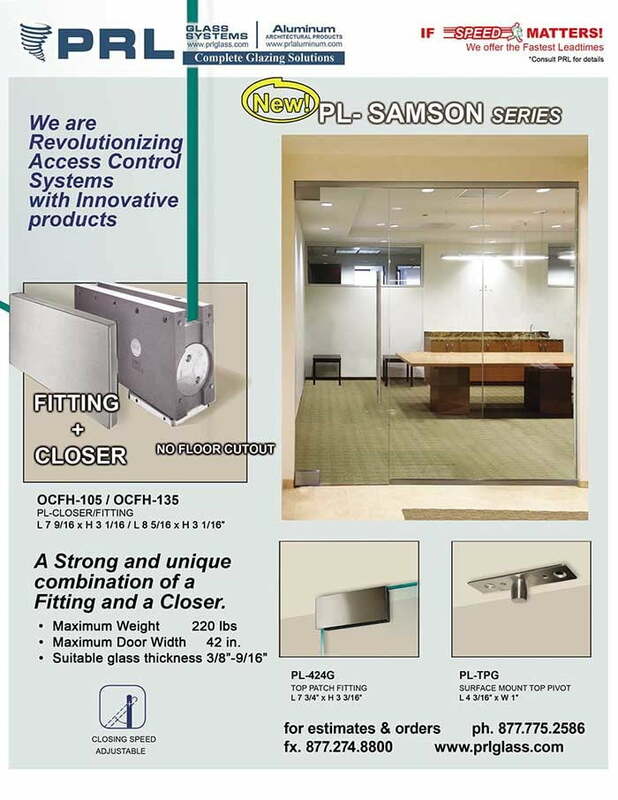 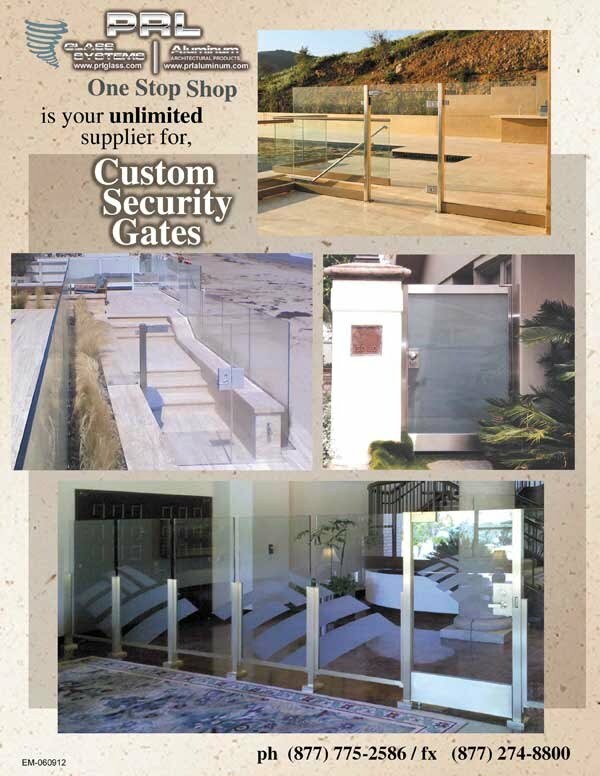 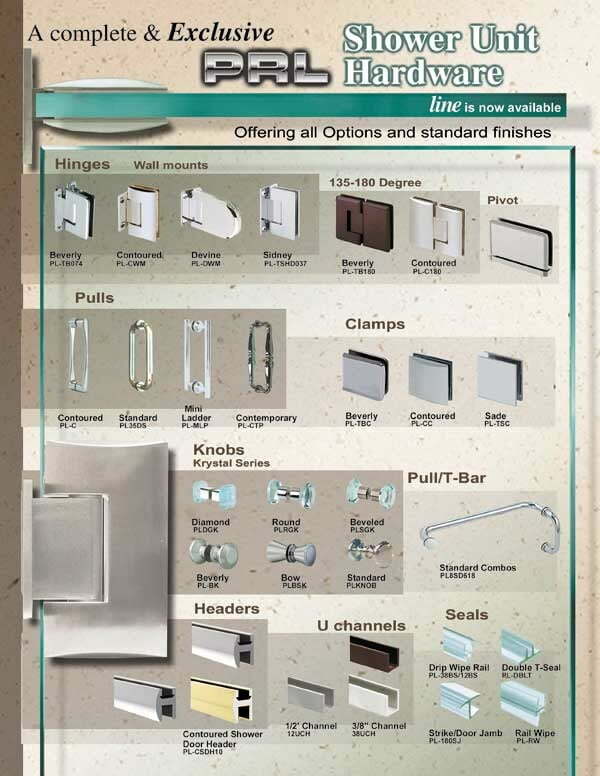 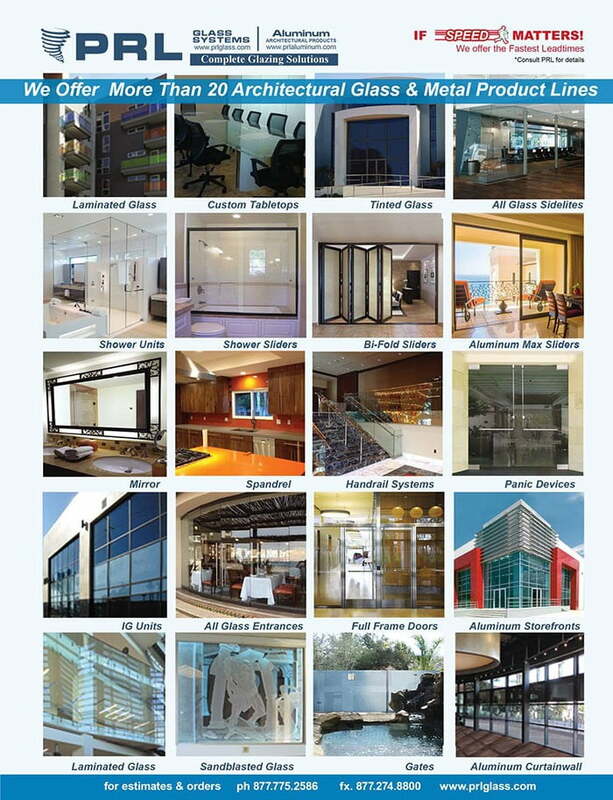 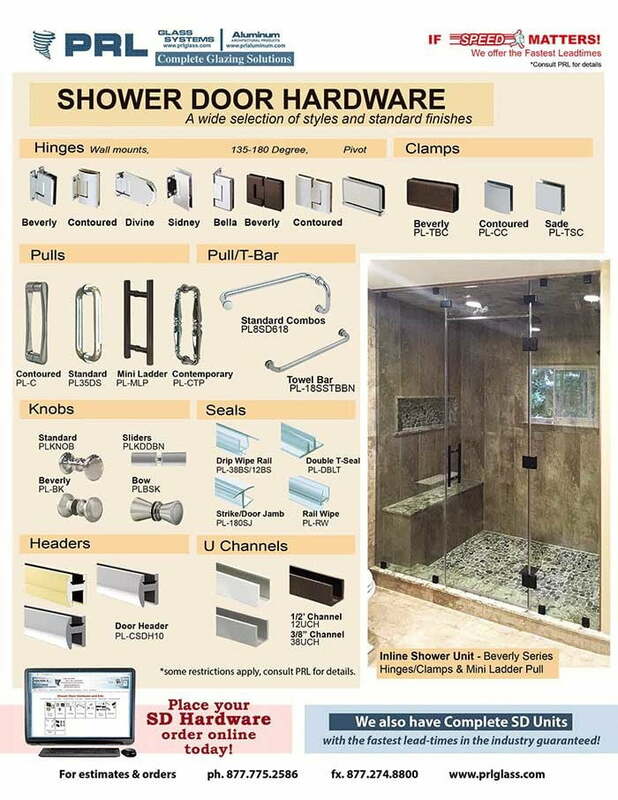 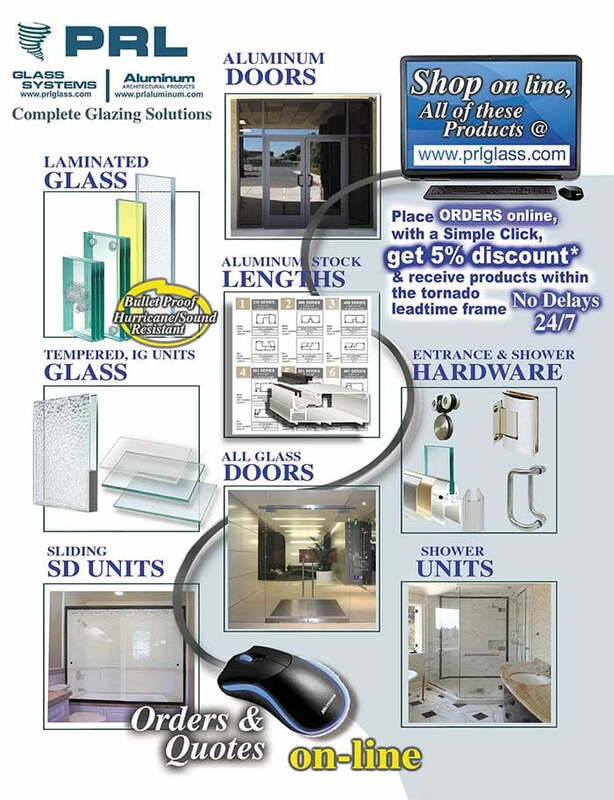 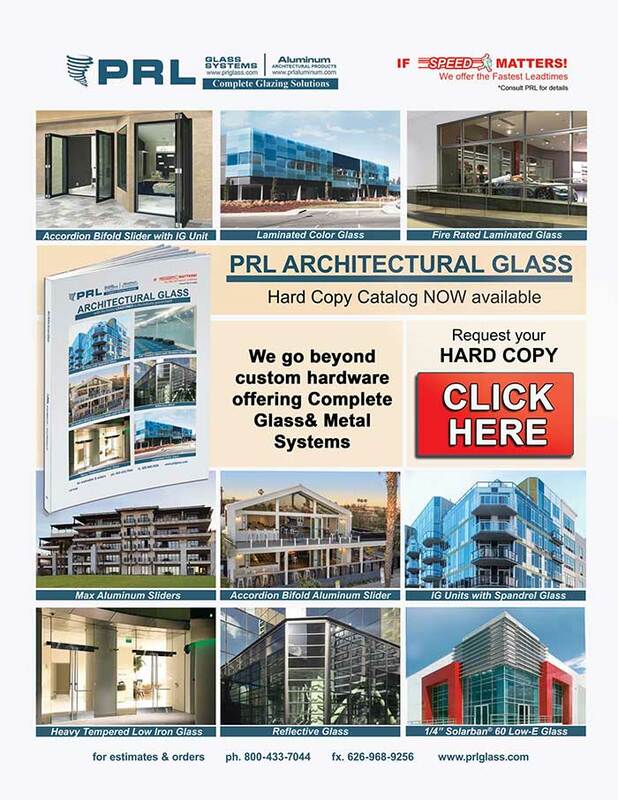 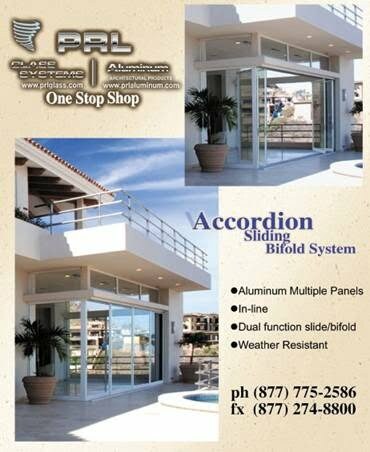 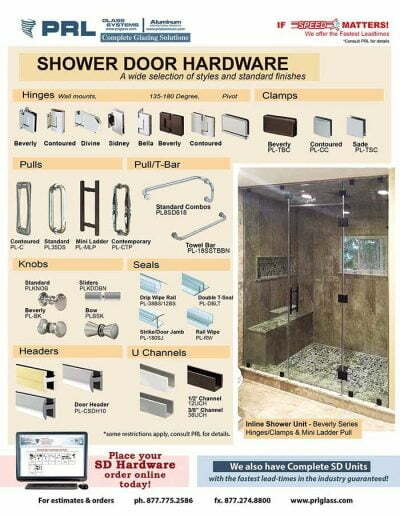 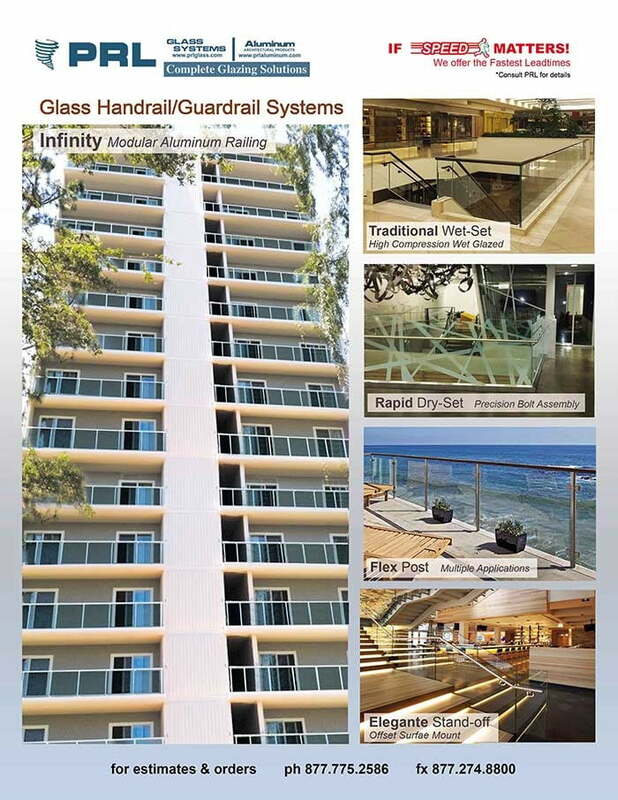 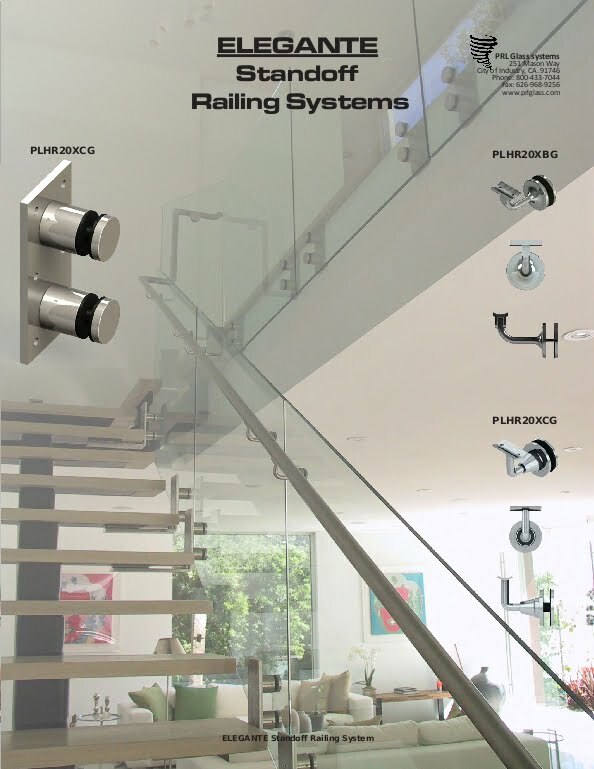 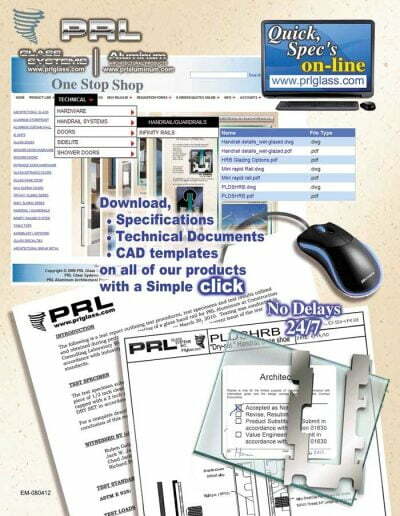 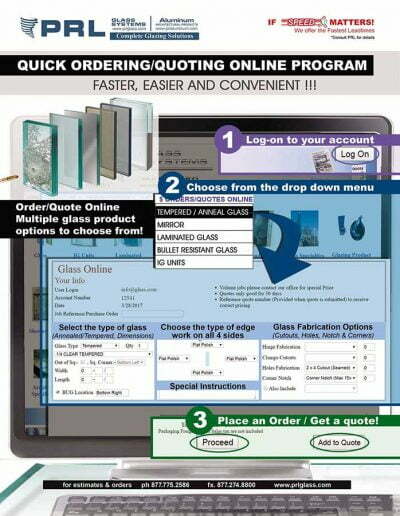 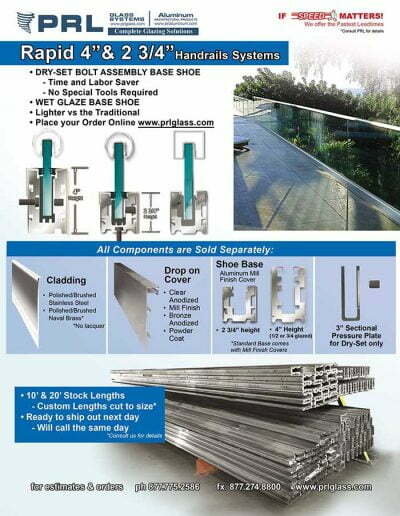 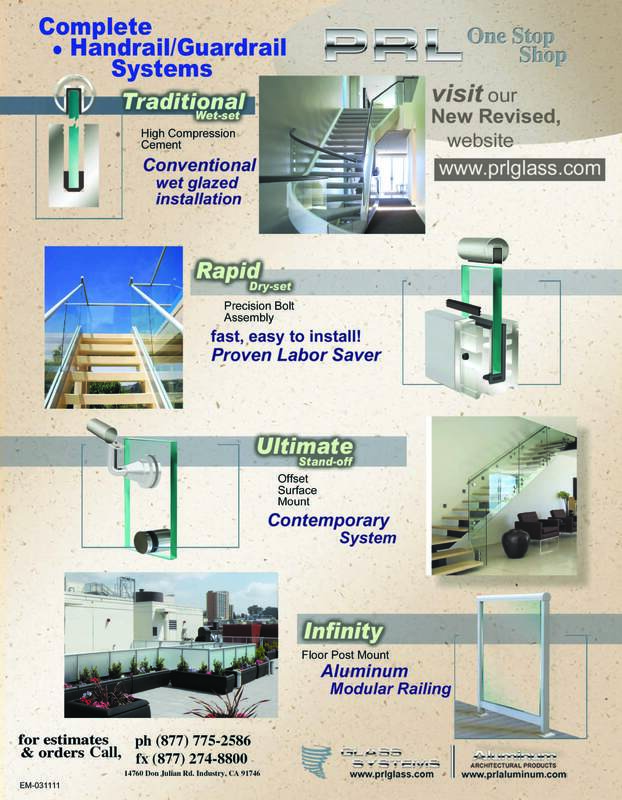 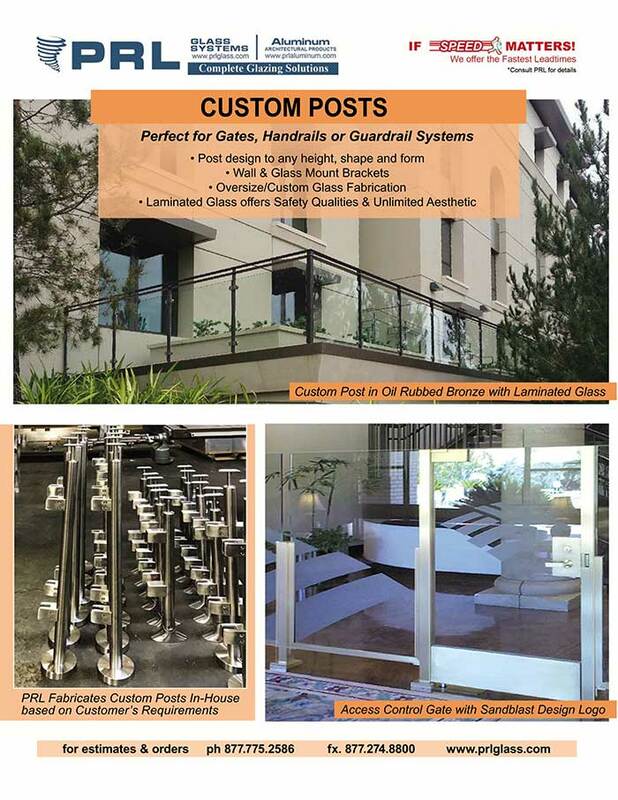 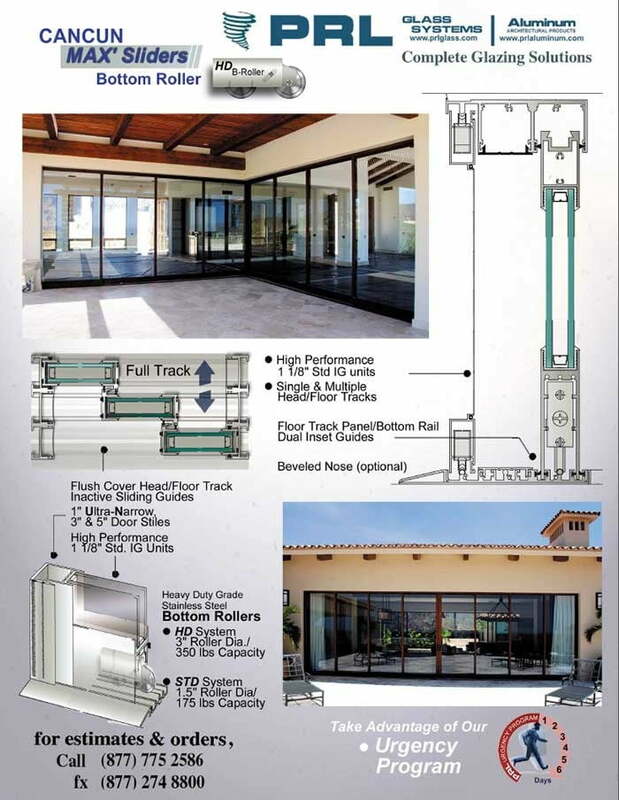 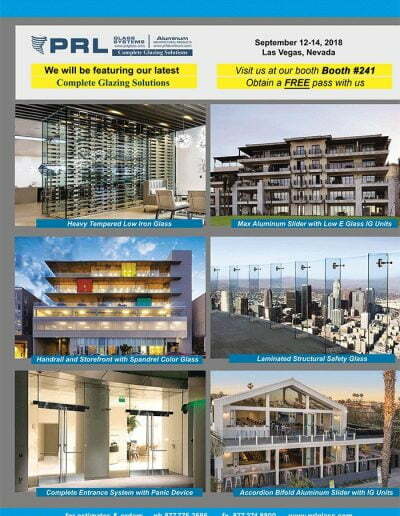 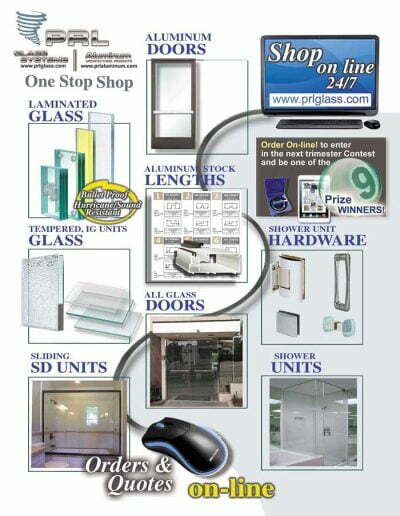 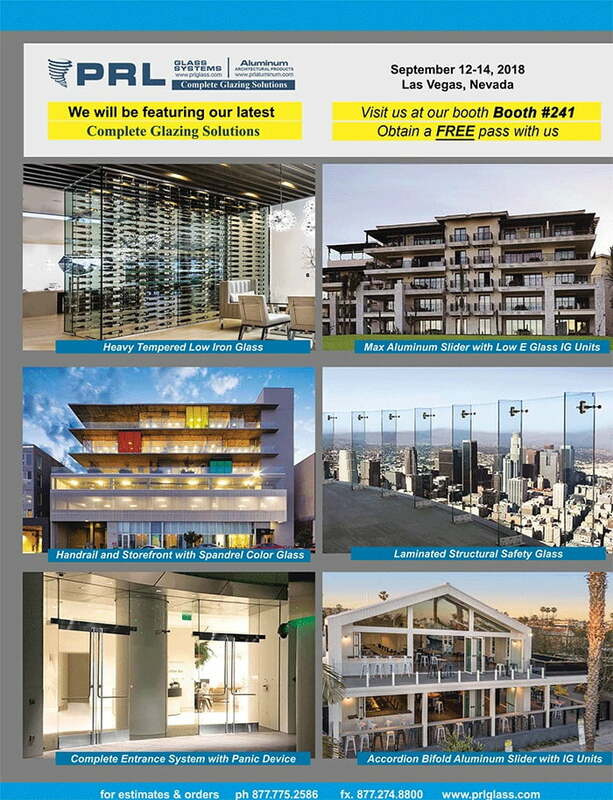 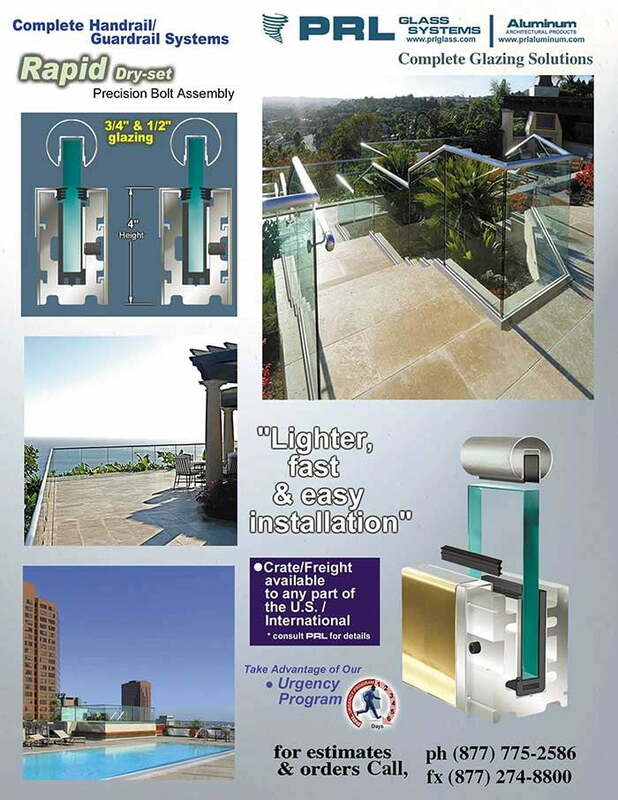 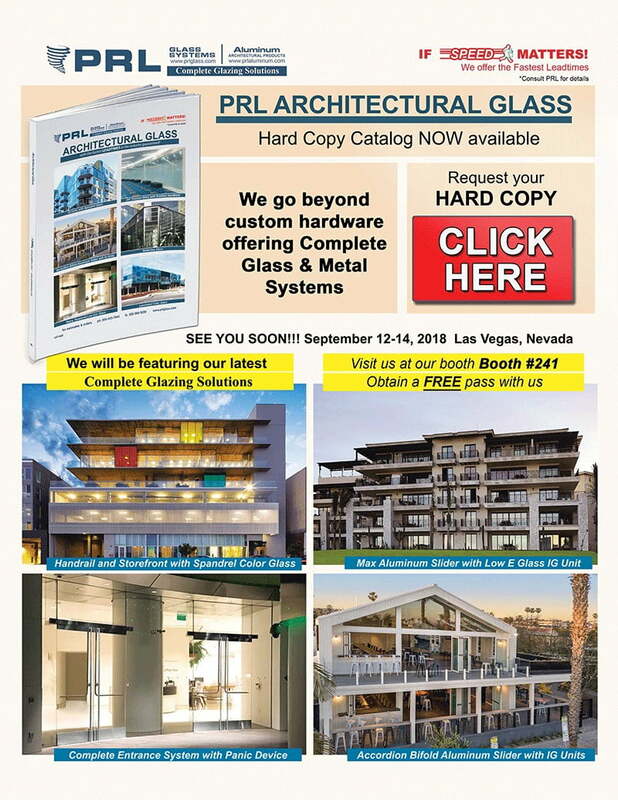 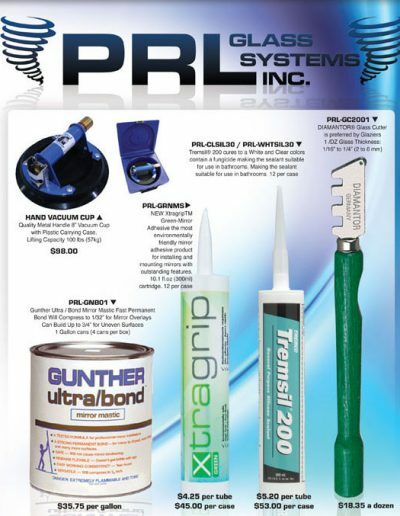 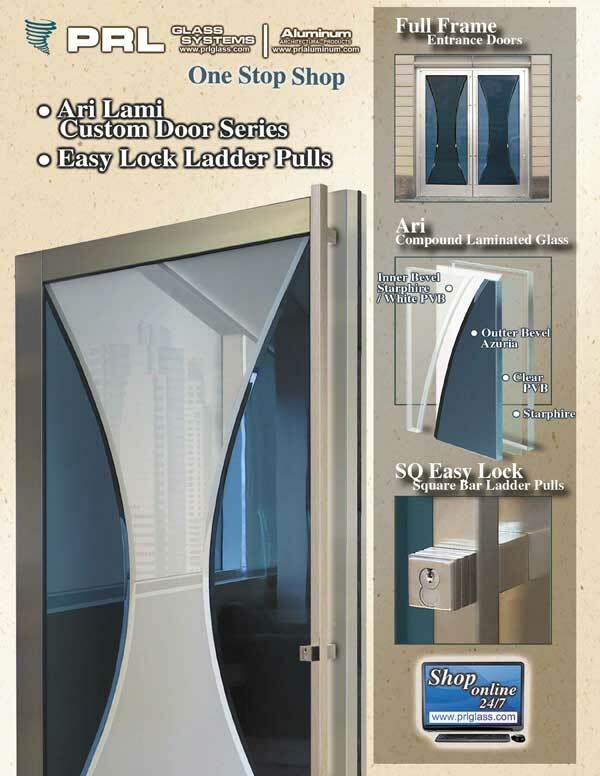 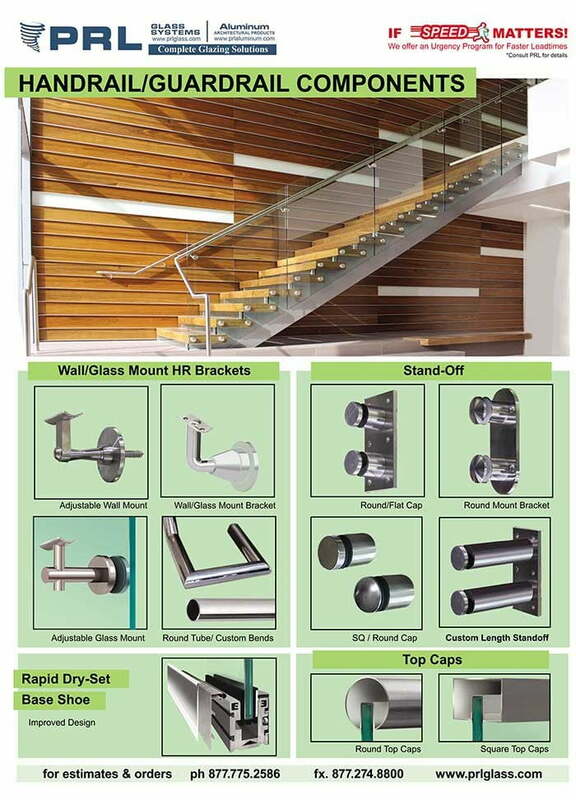 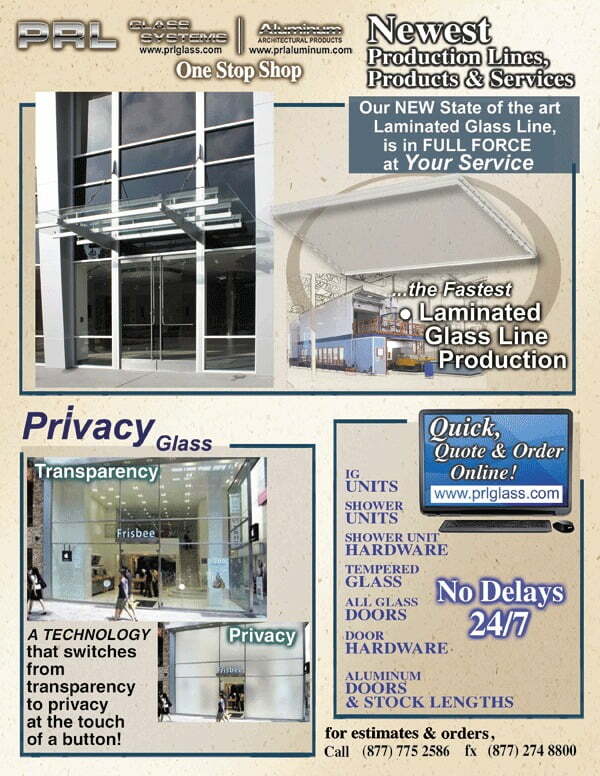 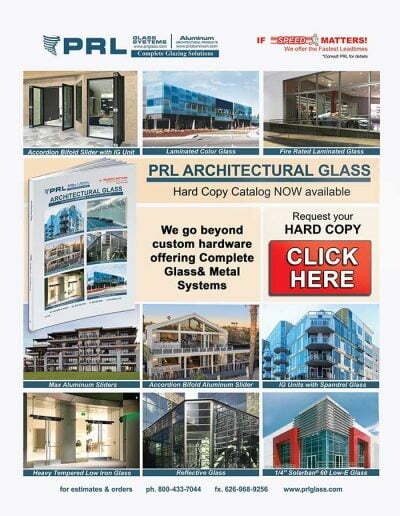 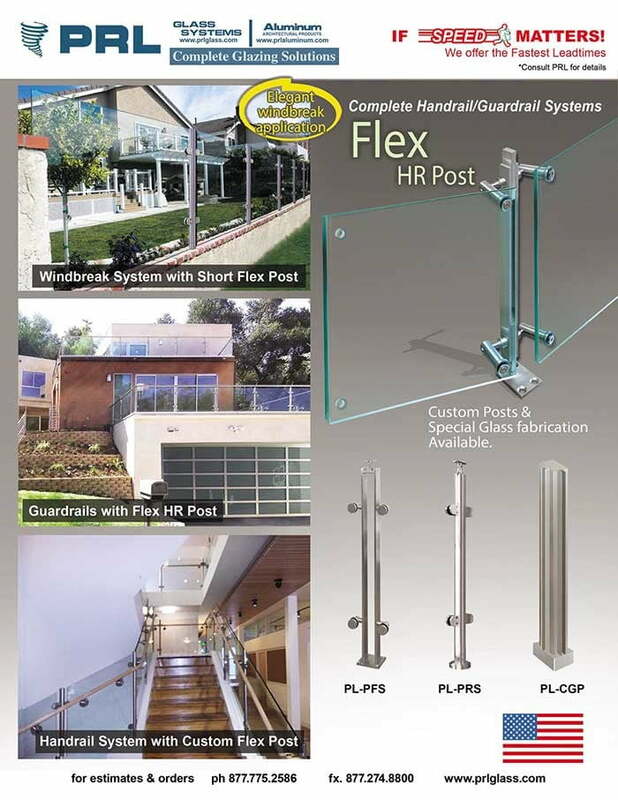 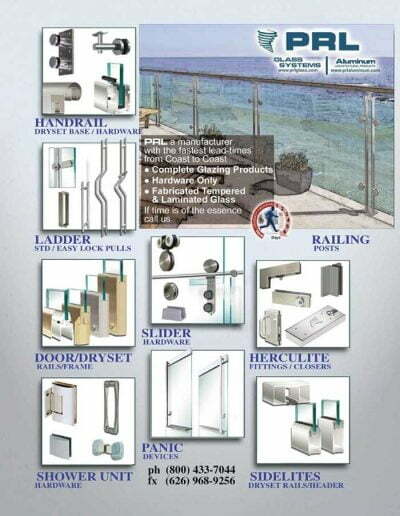 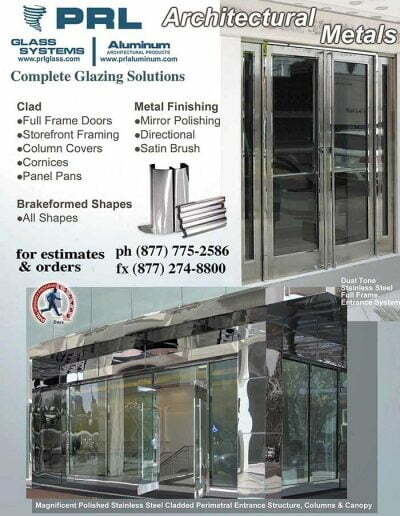 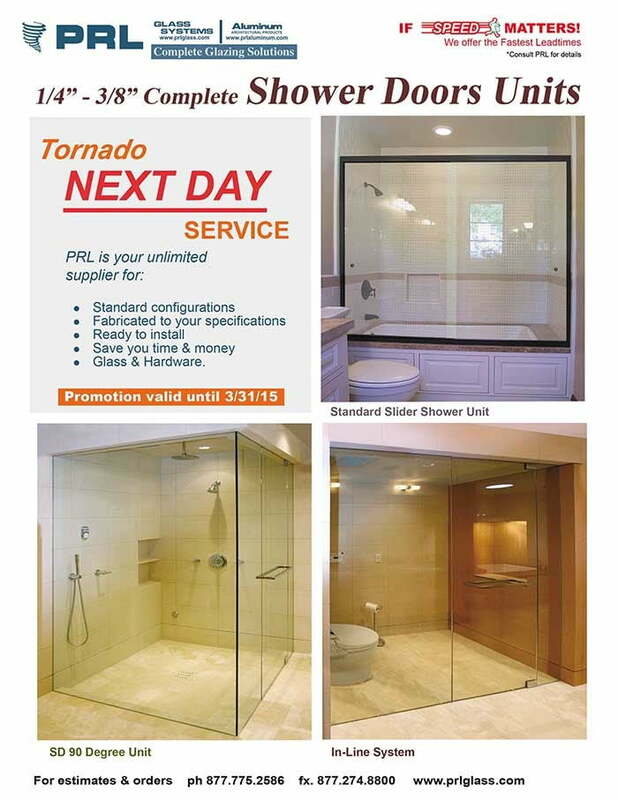 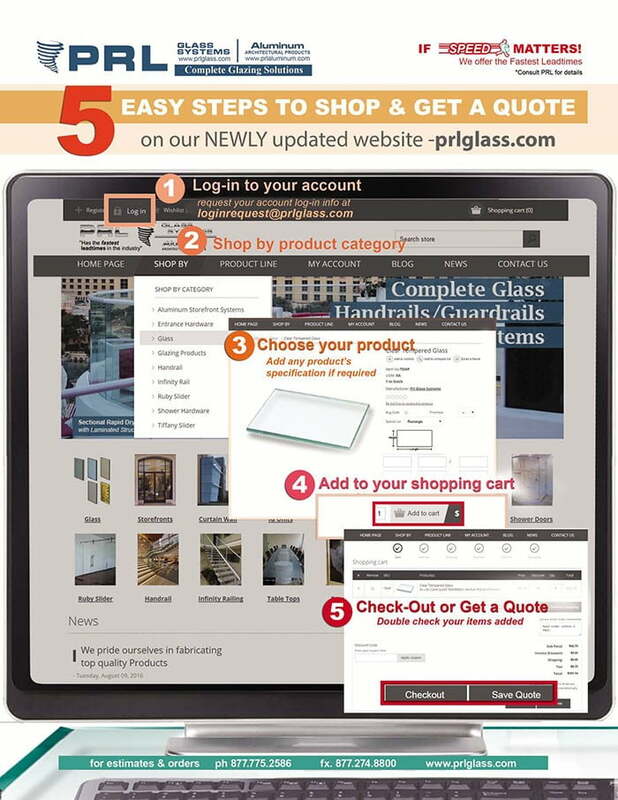 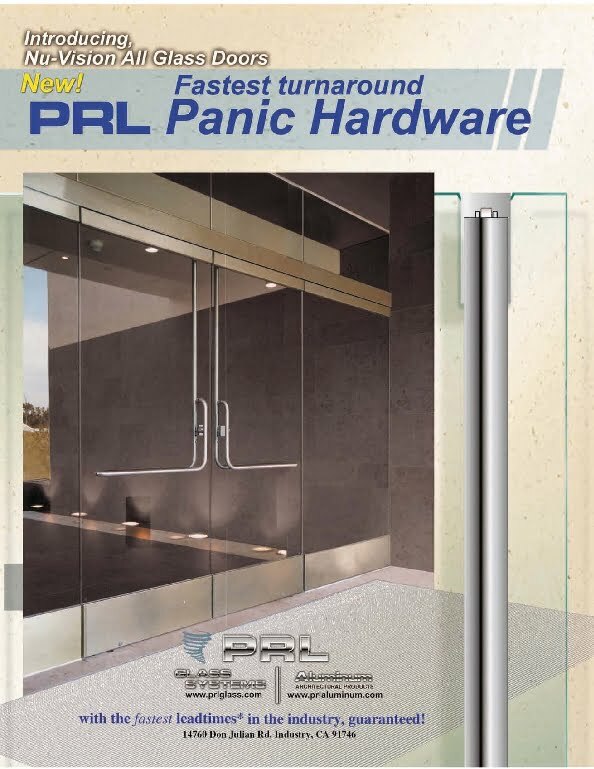 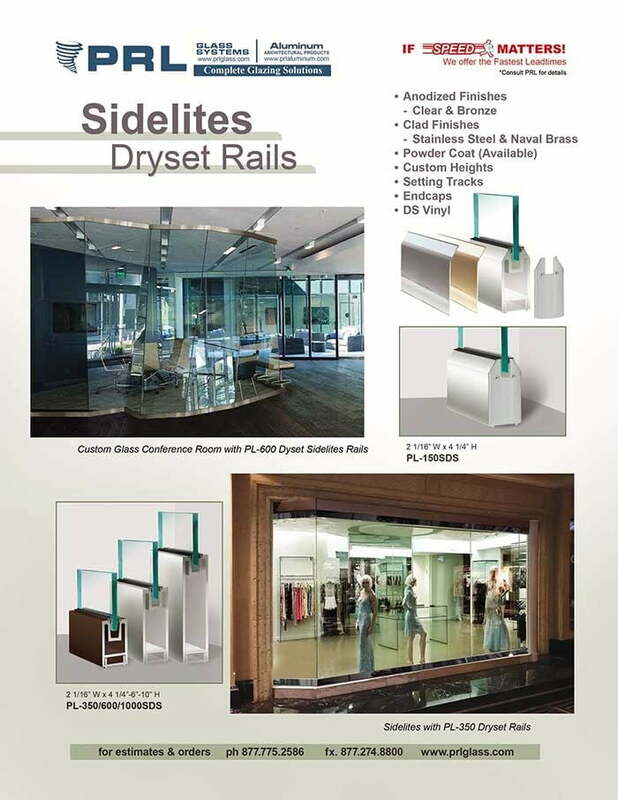 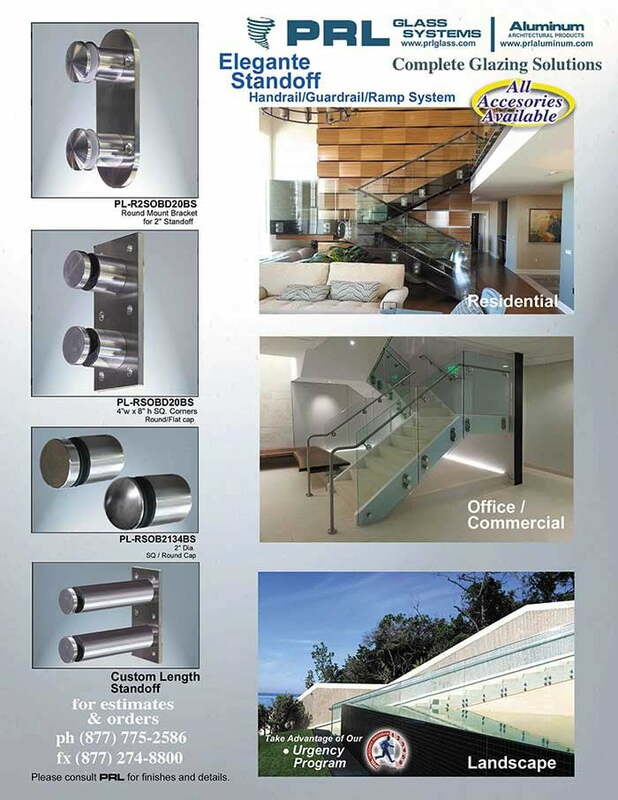 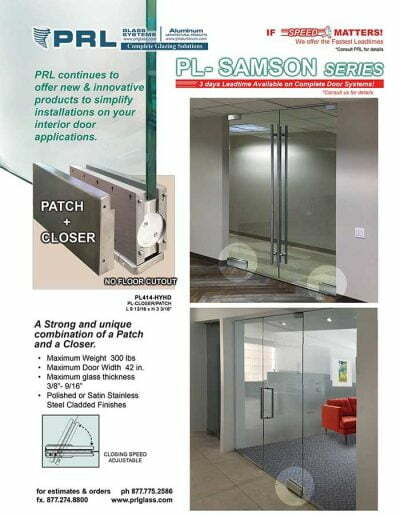 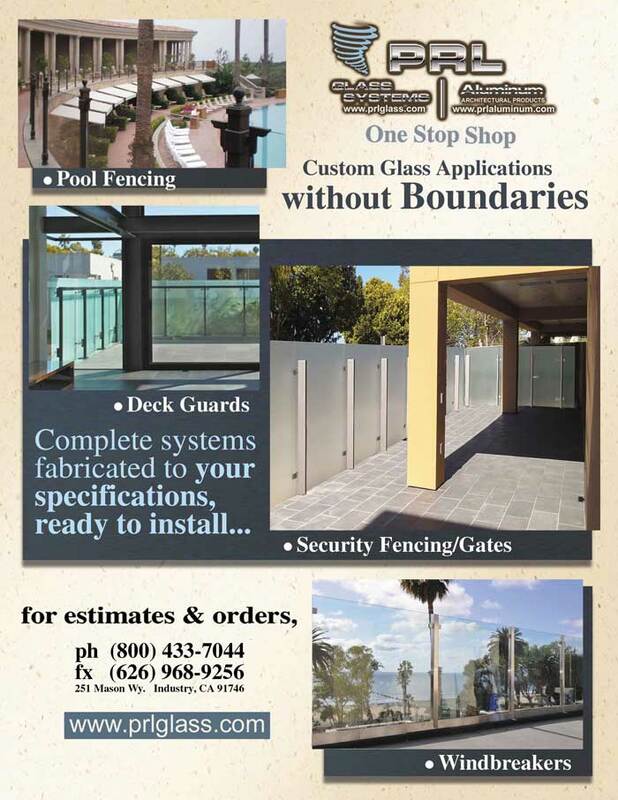 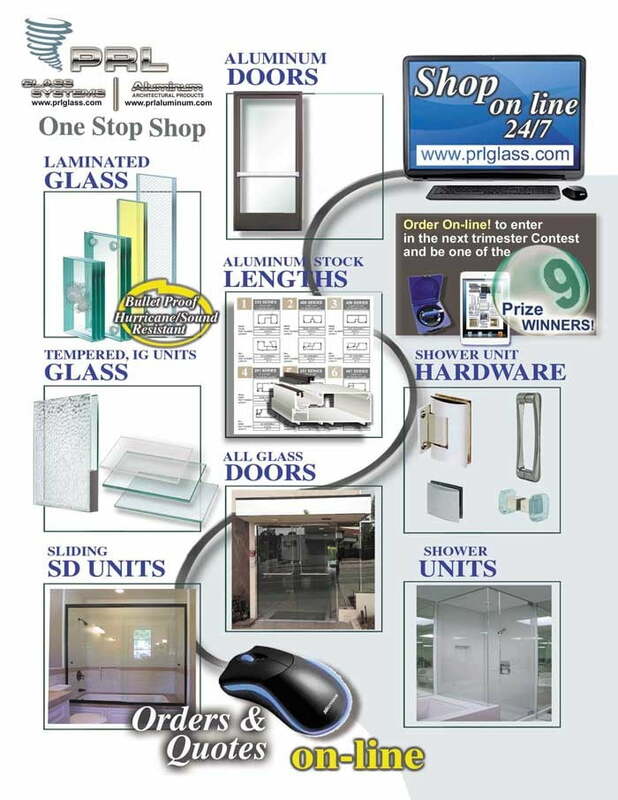 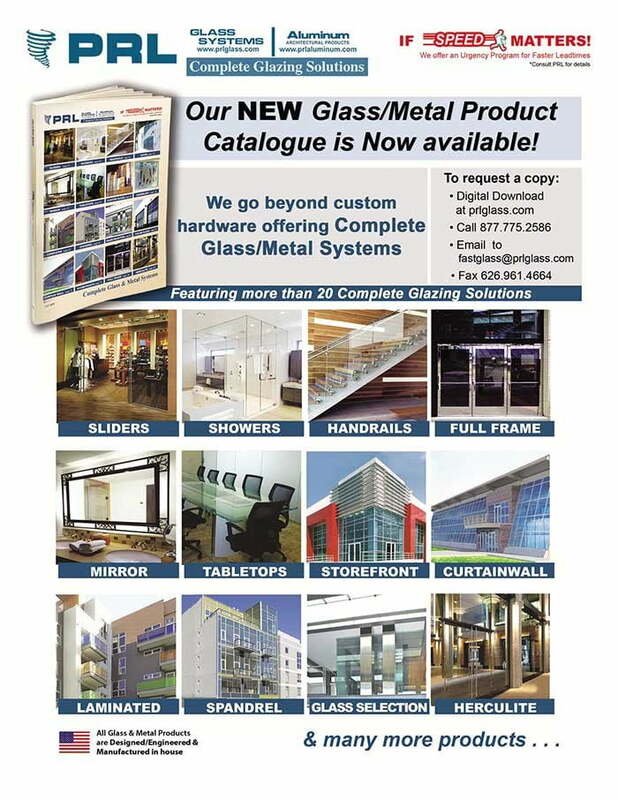 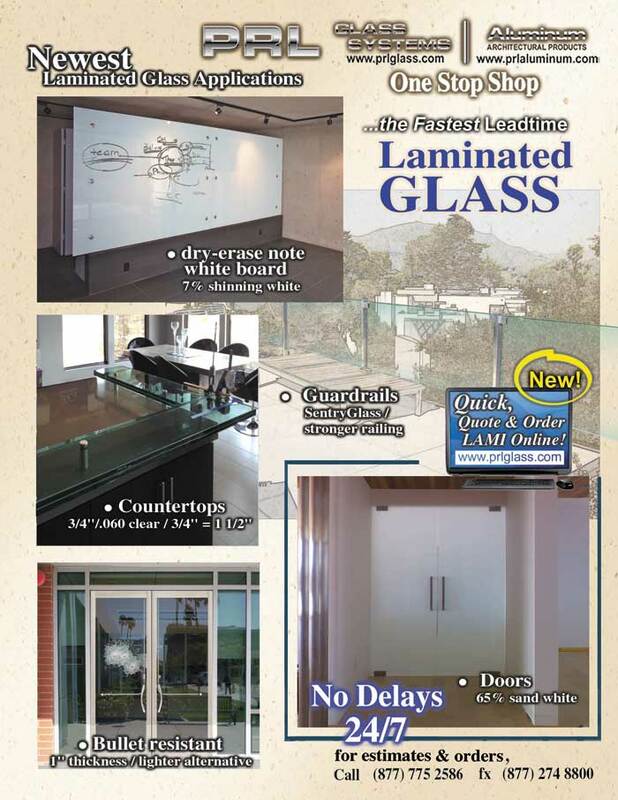 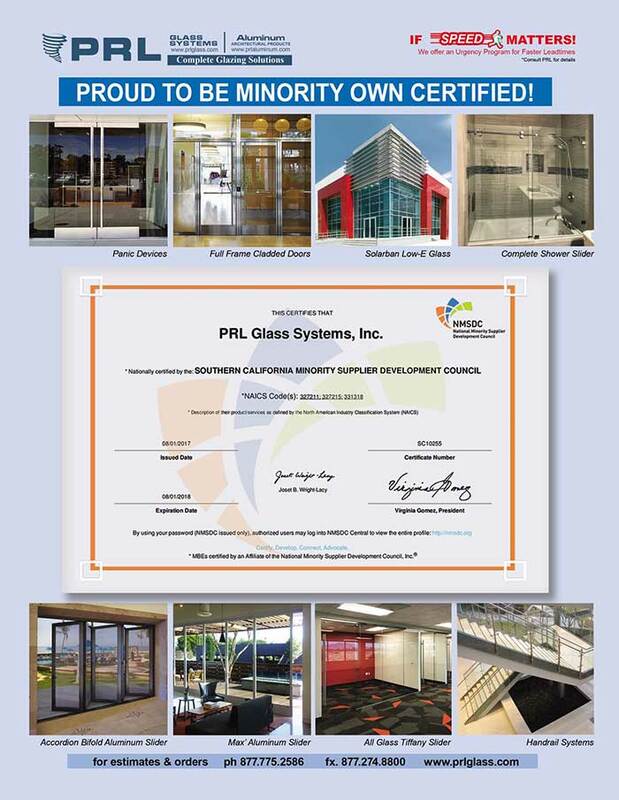 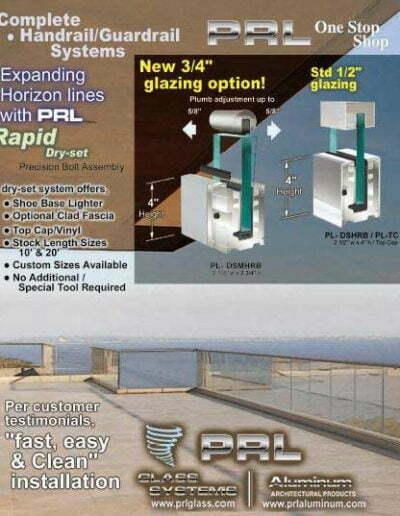 Prl’s has one purpose and that’s to be your one stop shop for all your aluminum curtain wall system, products and hardware. 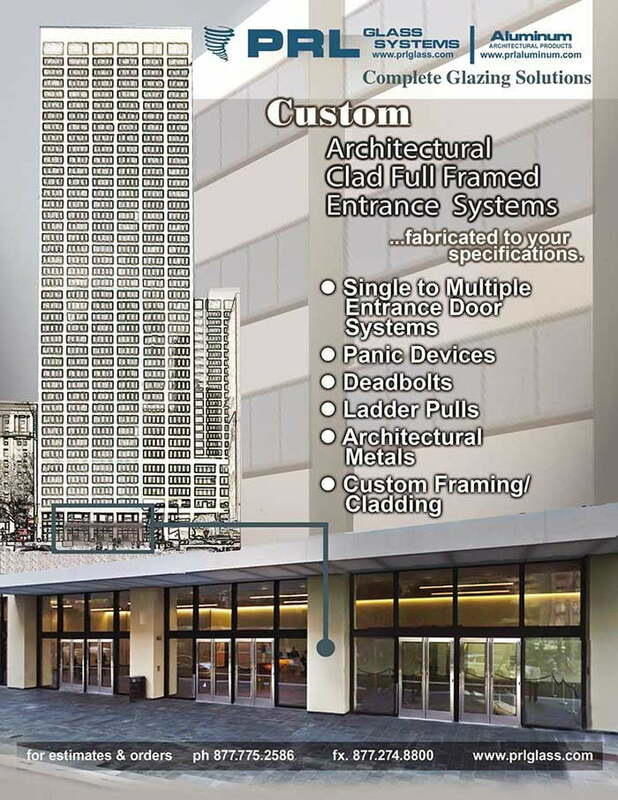 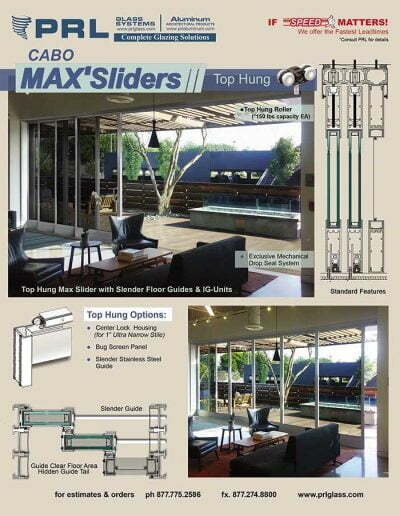 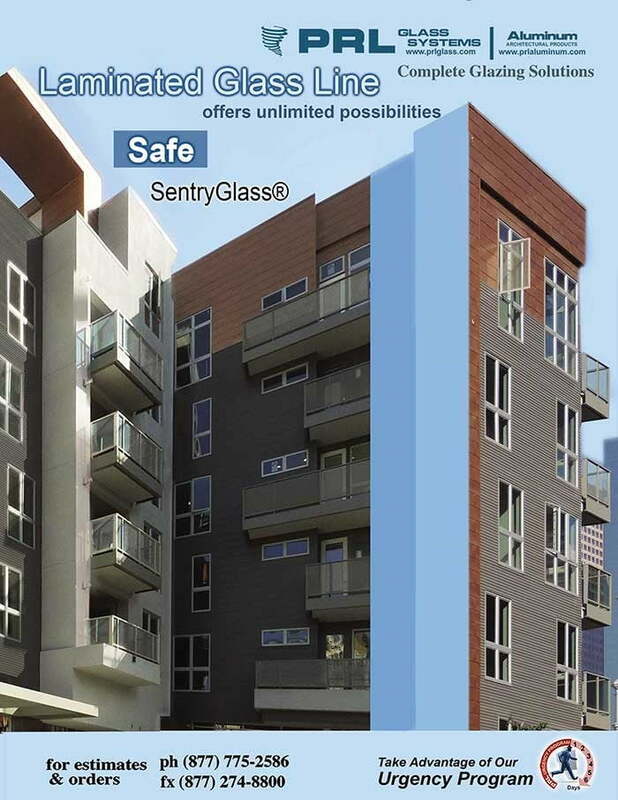 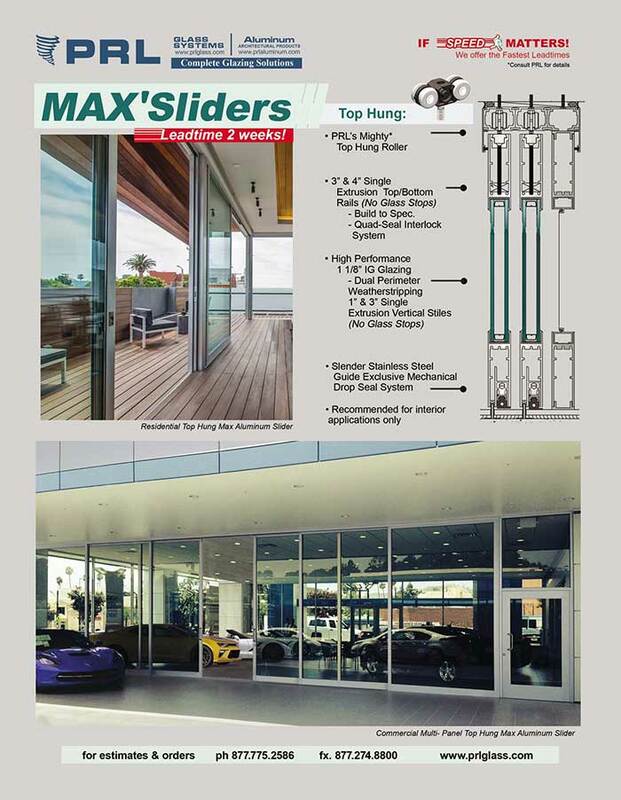 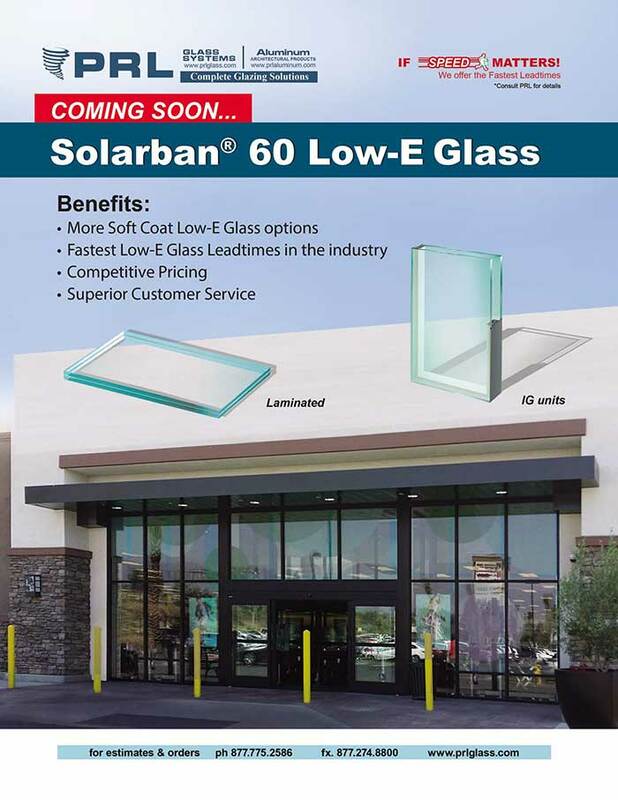 Series CW-600, CW-700 and CW-1000 are high performing curtain wall systems for exterior use in low, medium and high rise applications. 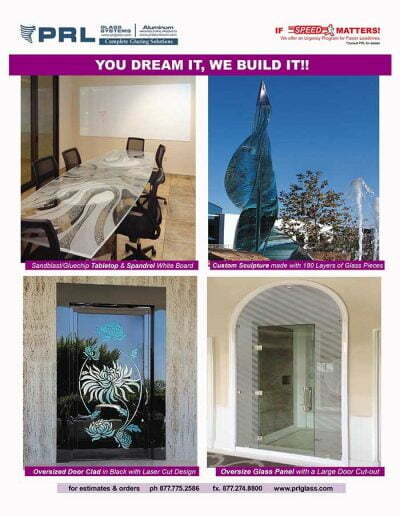 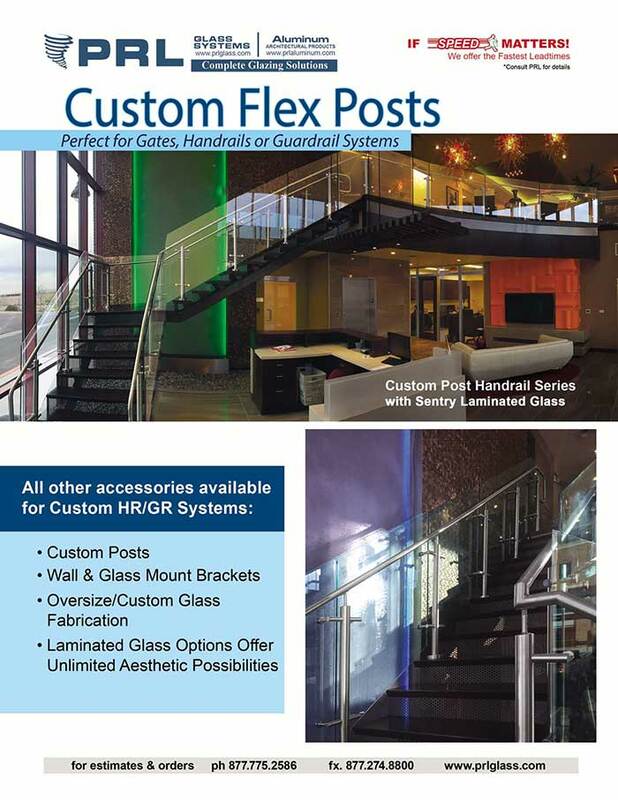 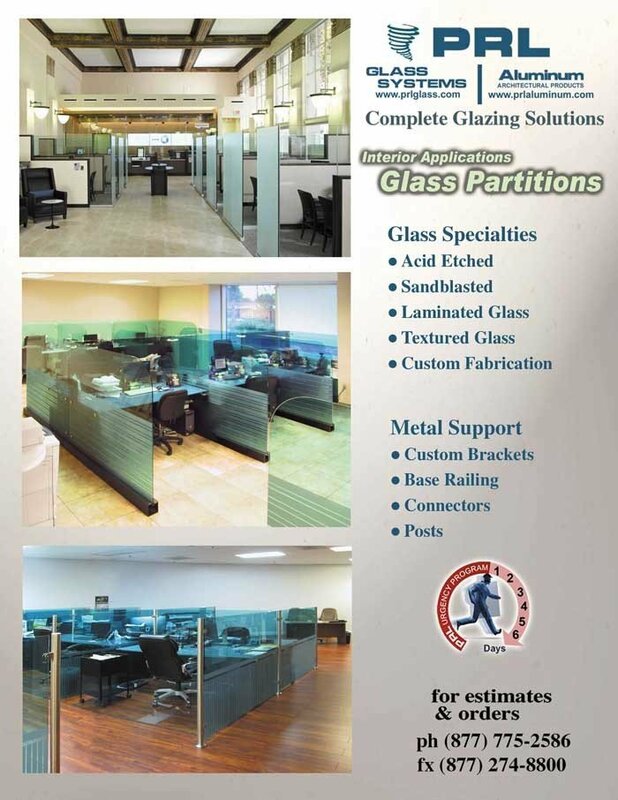 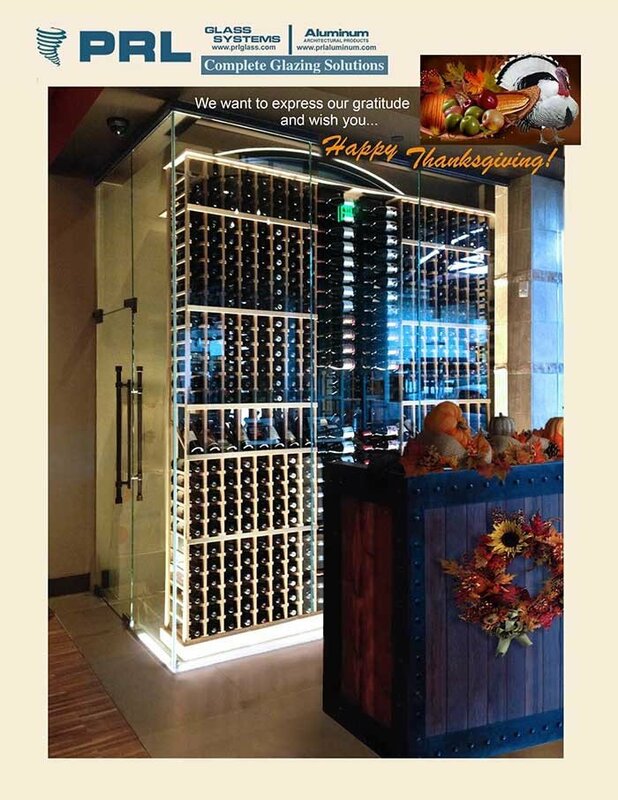 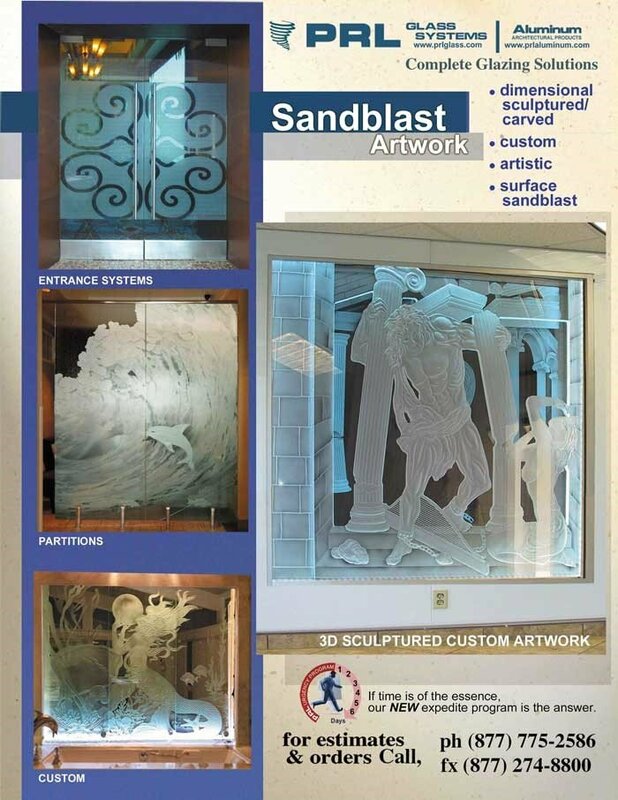 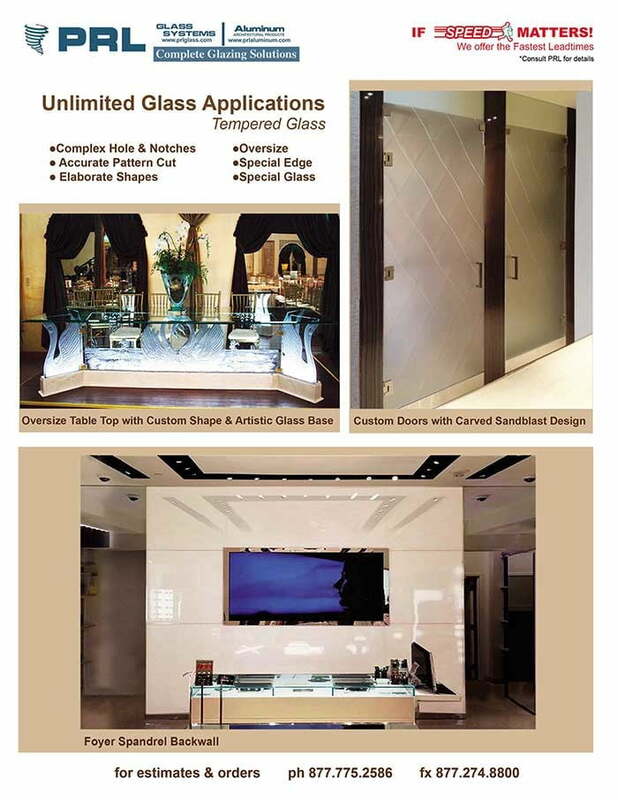 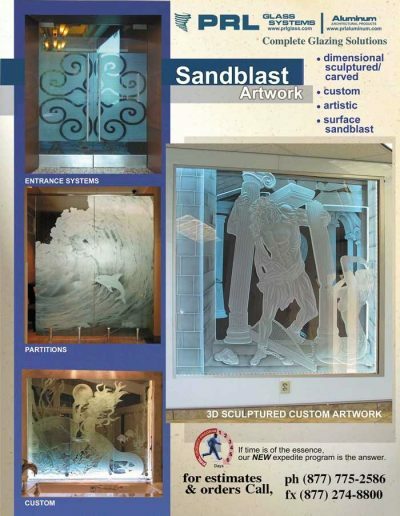 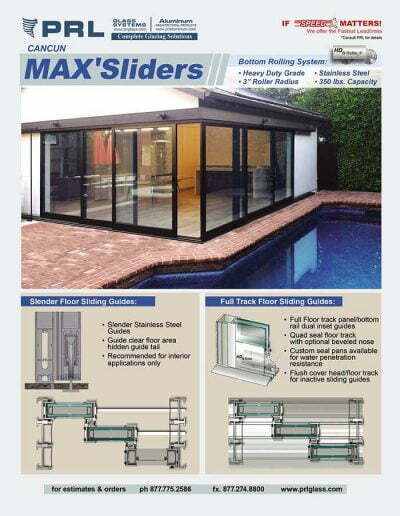 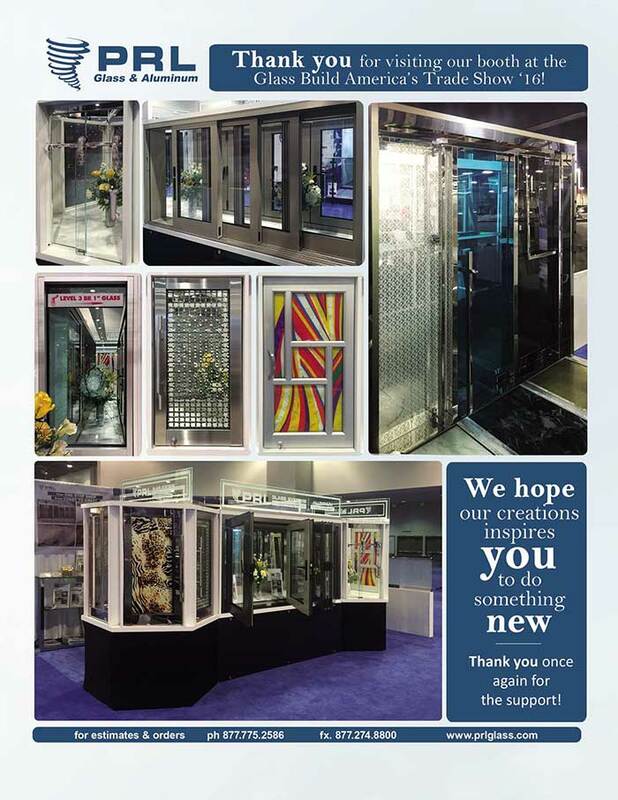 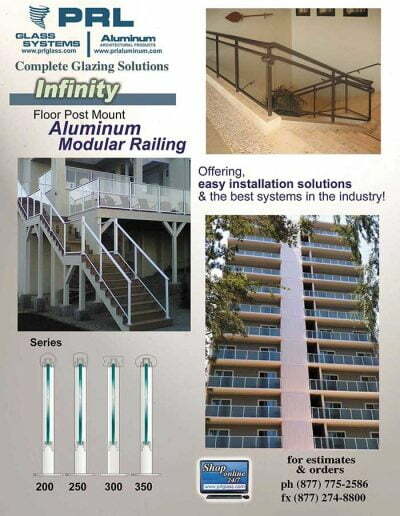 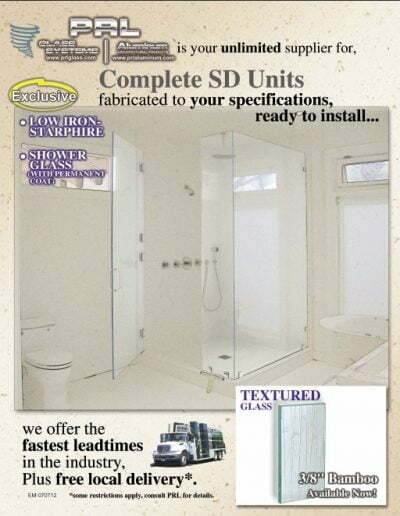 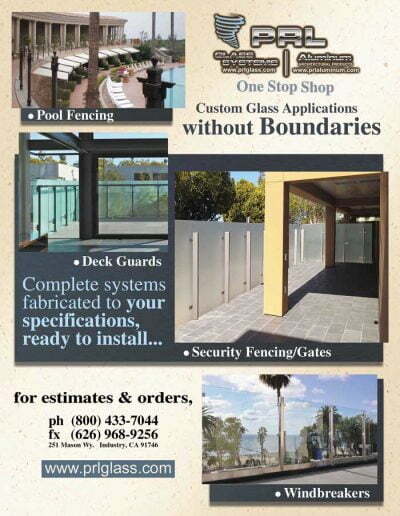 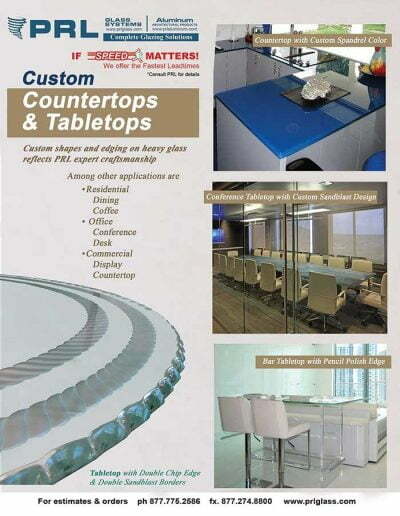 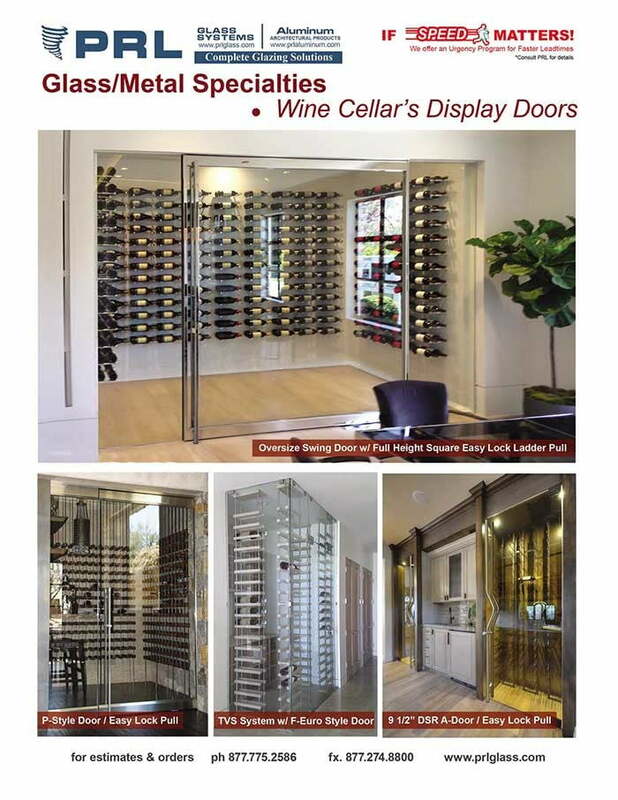 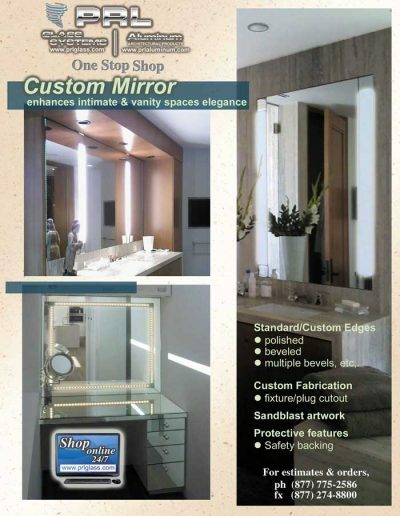 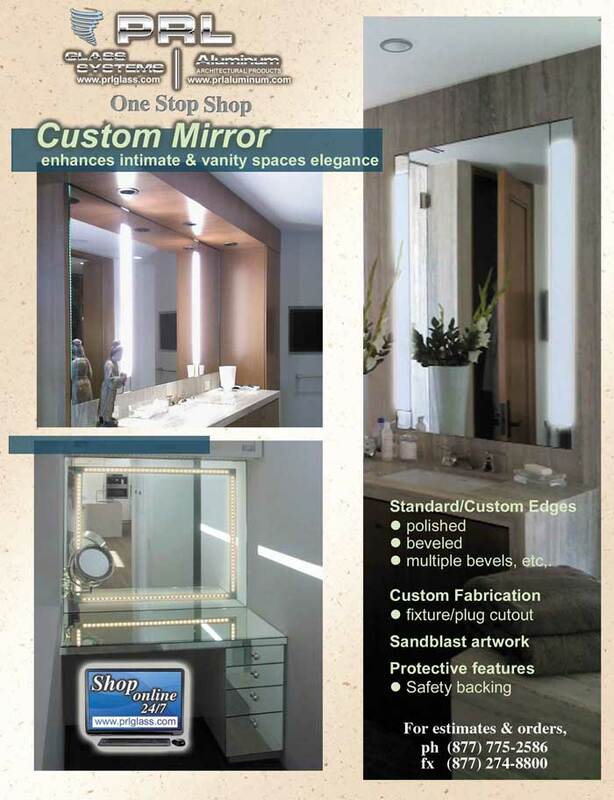 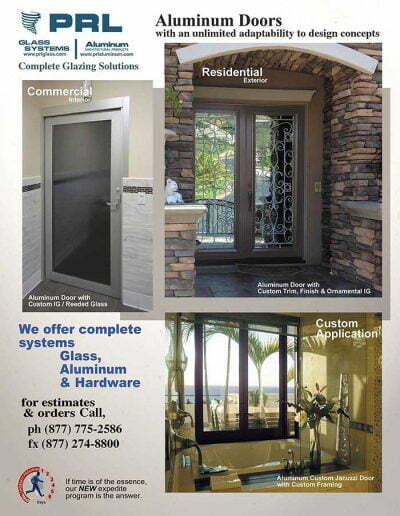 We are a very unique metal and glass fabricator because we can supply you with both. 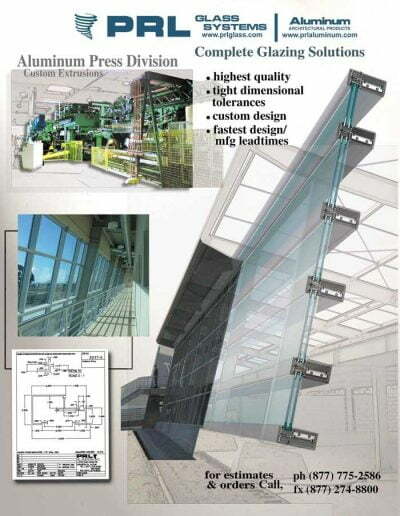 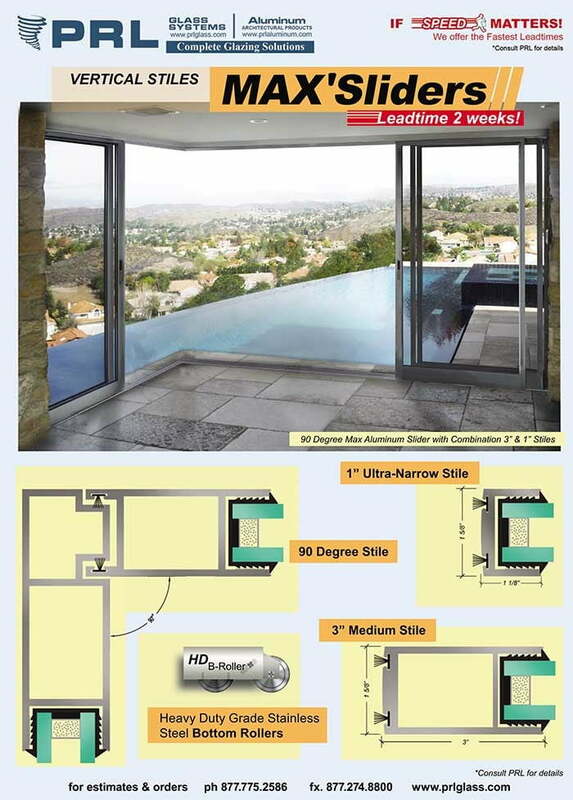 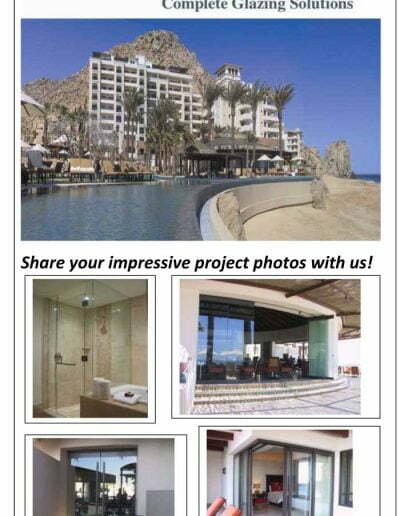 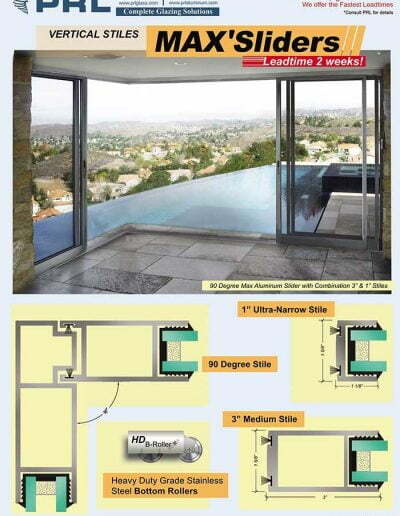 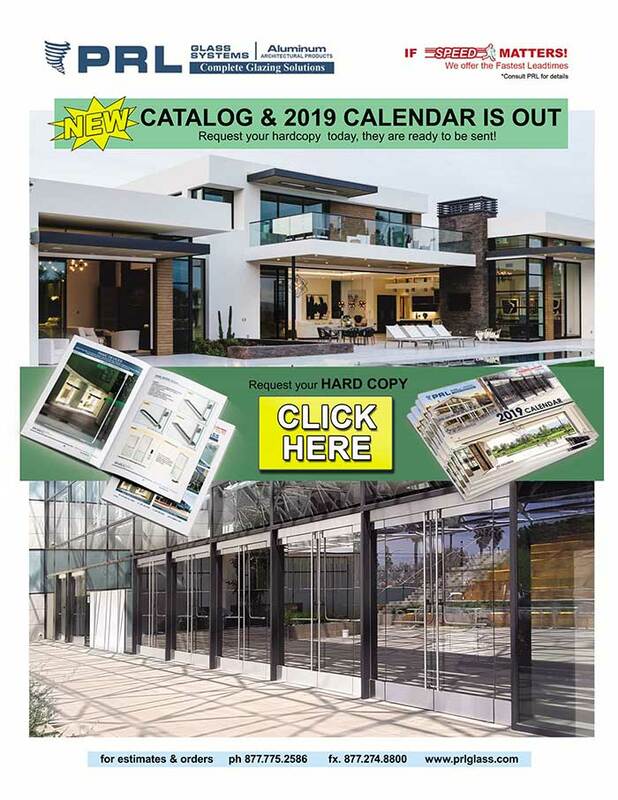 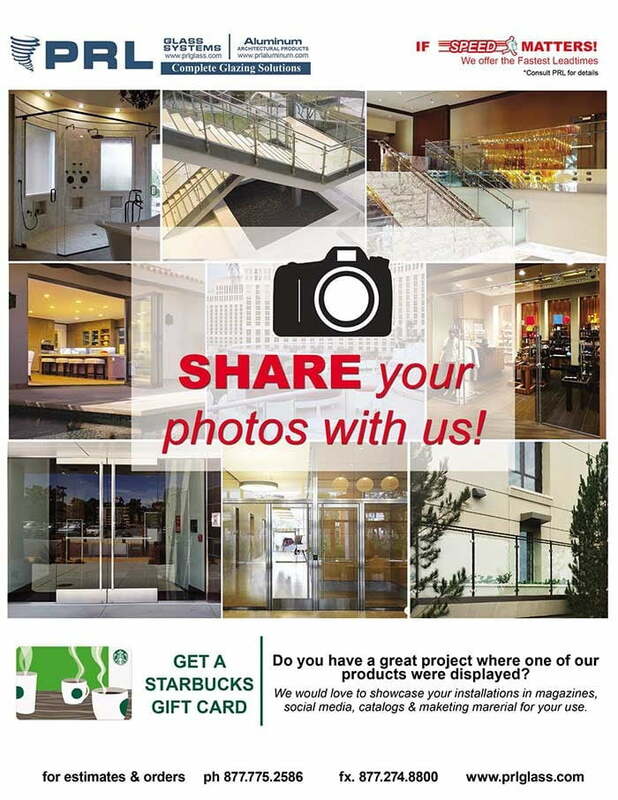 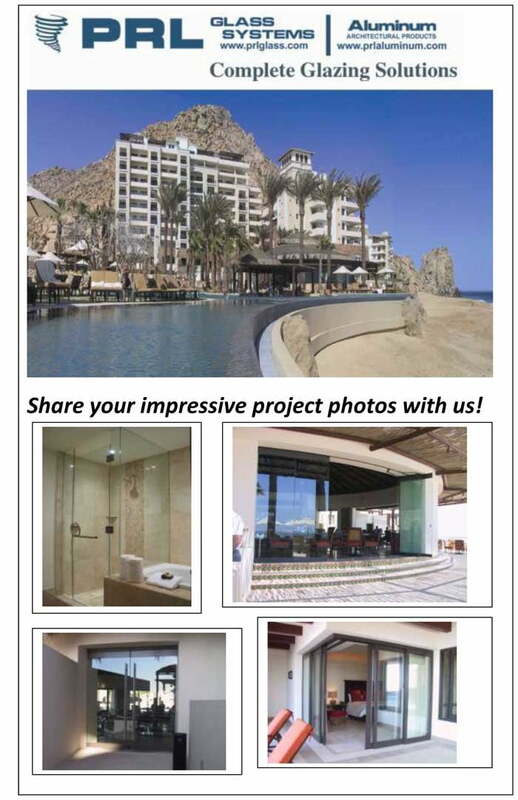 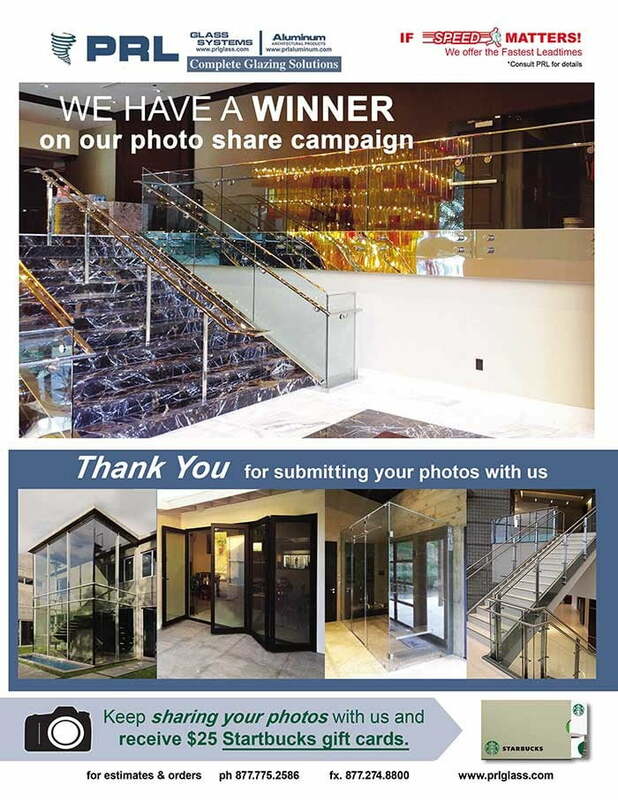 All you have to do is send us your aluminum curtain wall systems specifications / dimensions and we will take care of the rest. 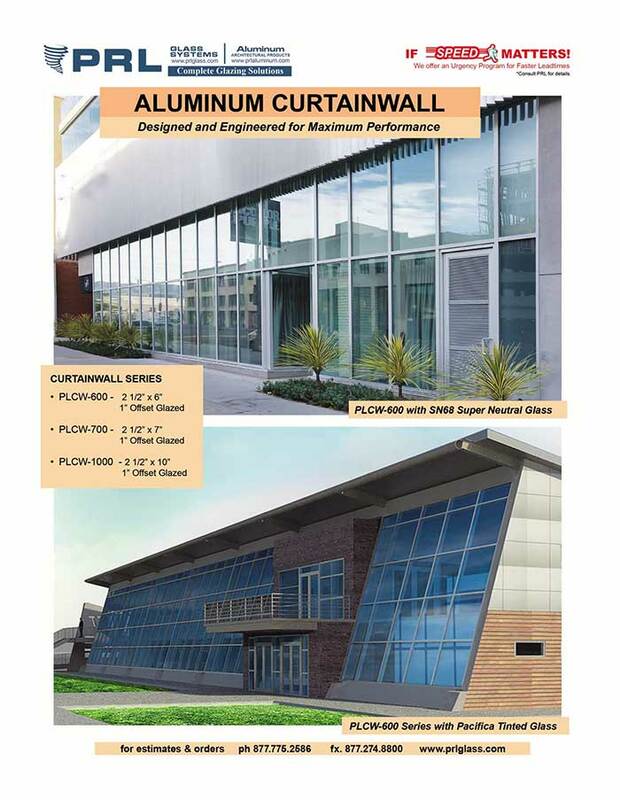 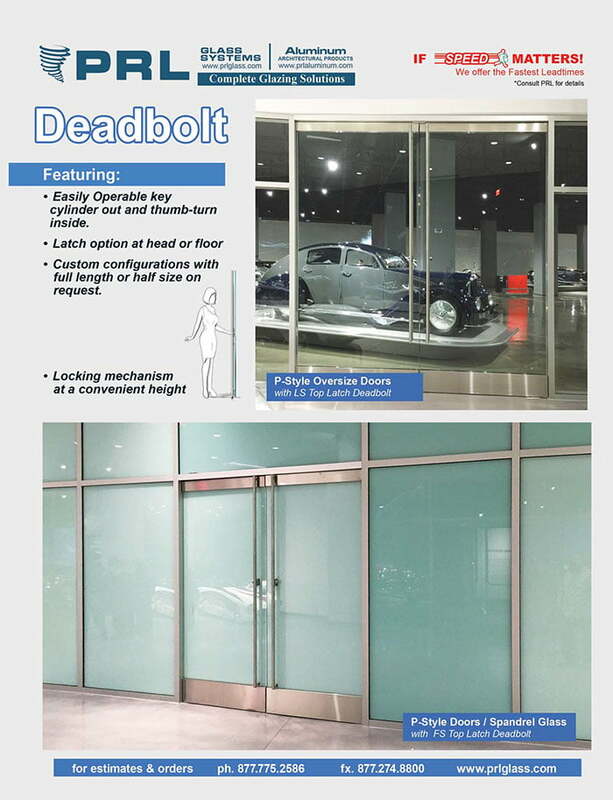 Our aluminum curtain wall systems features front set glass planes, for insulating glass, spandrel, reflective, Low e or monolithic annealed /tempered glass. 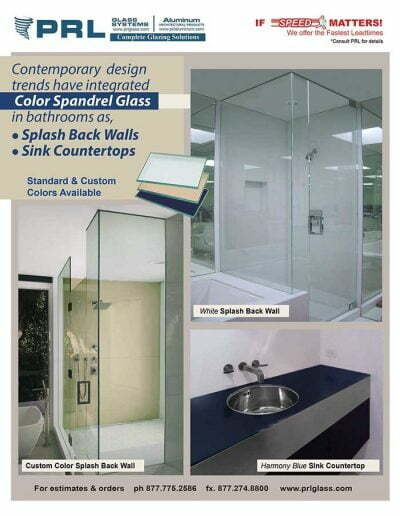 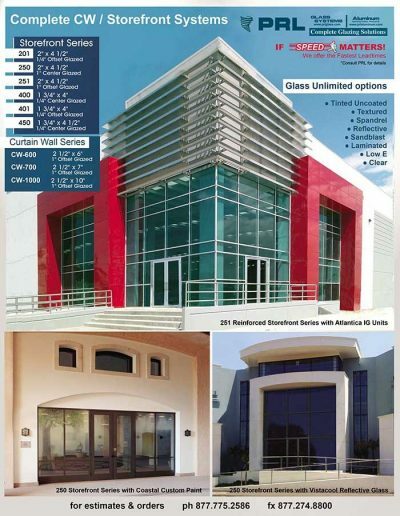 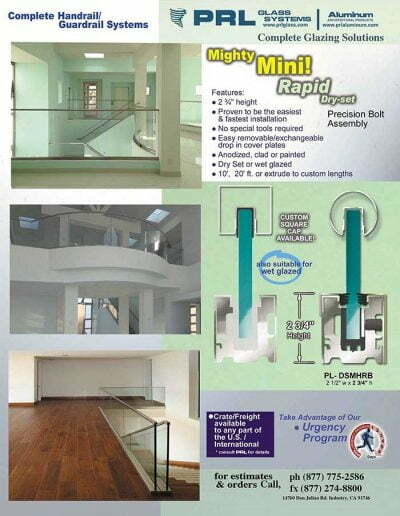 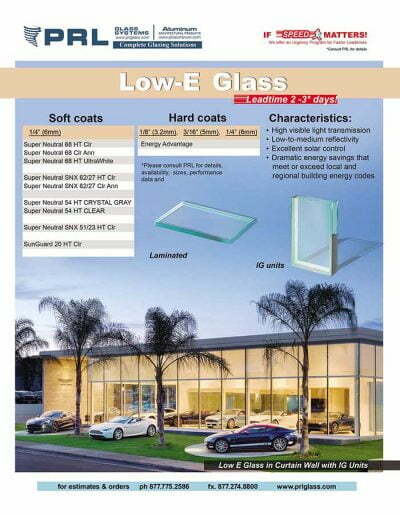 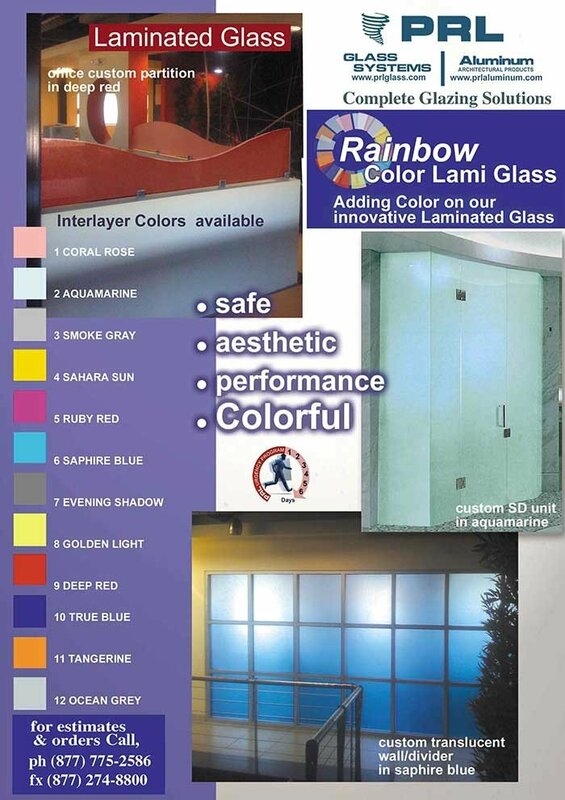 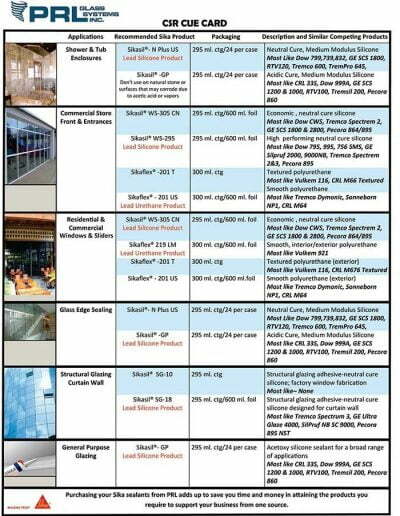 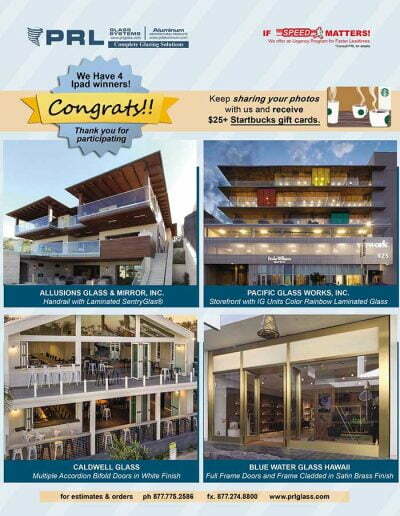 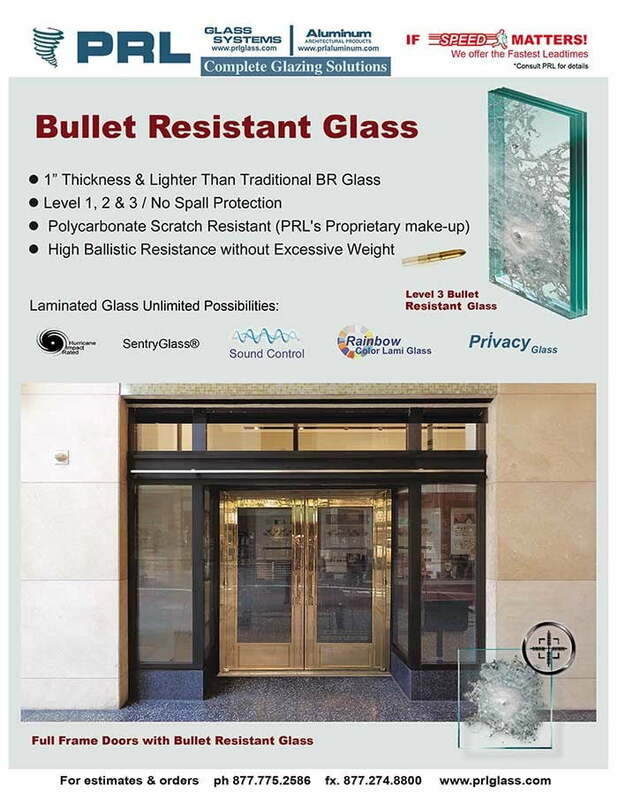 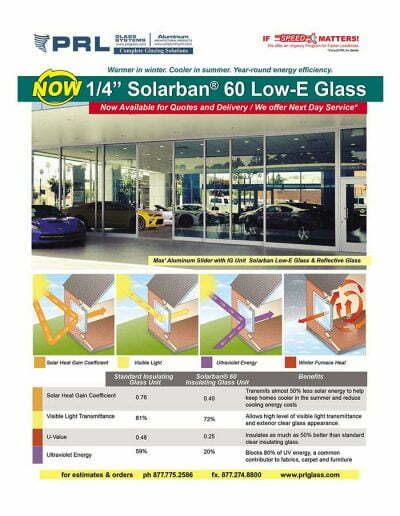 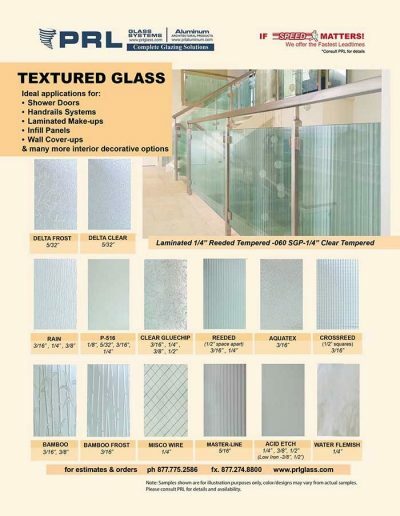 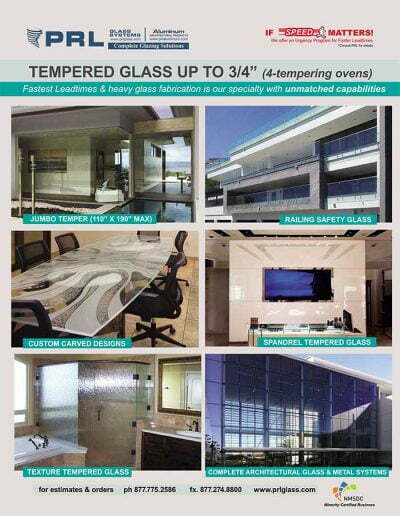 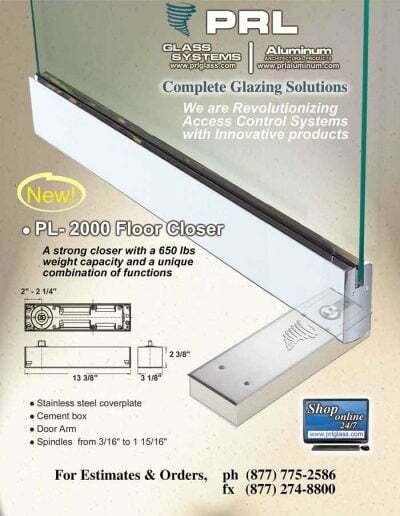 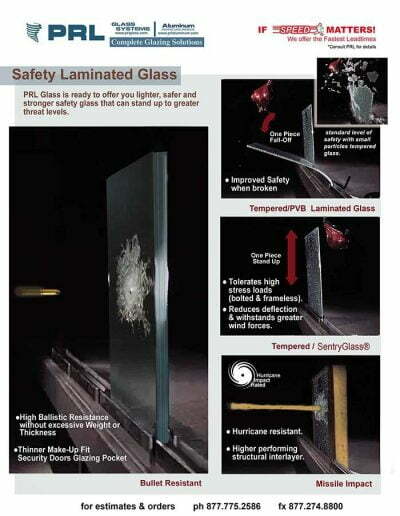 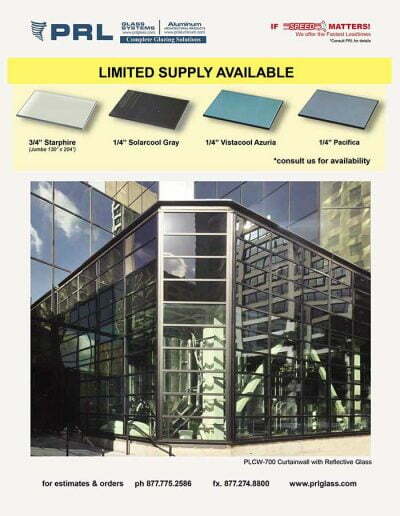 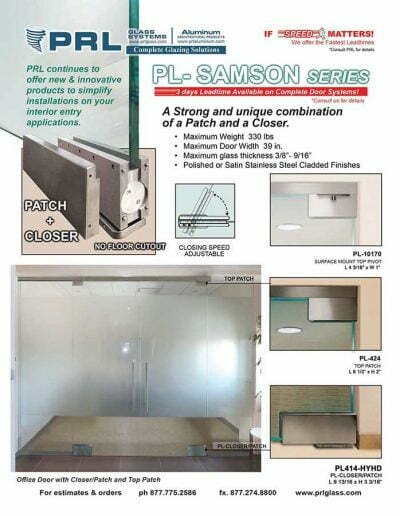 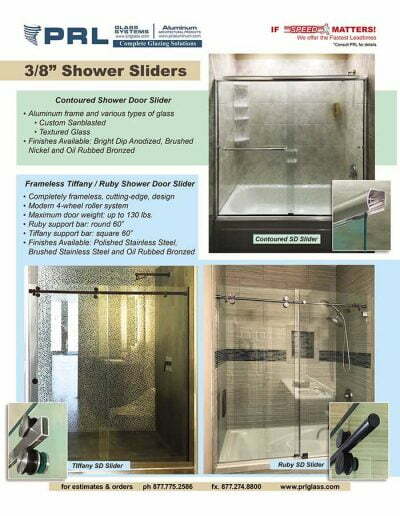 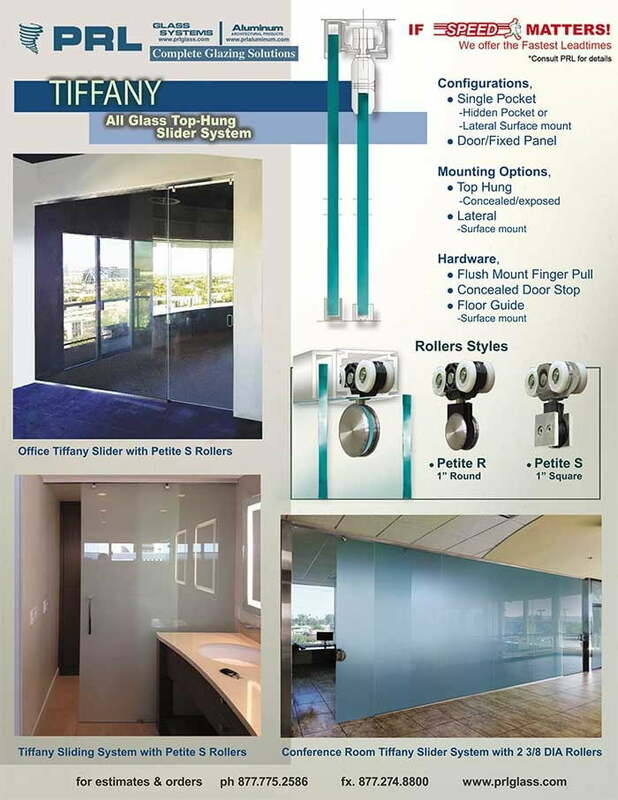 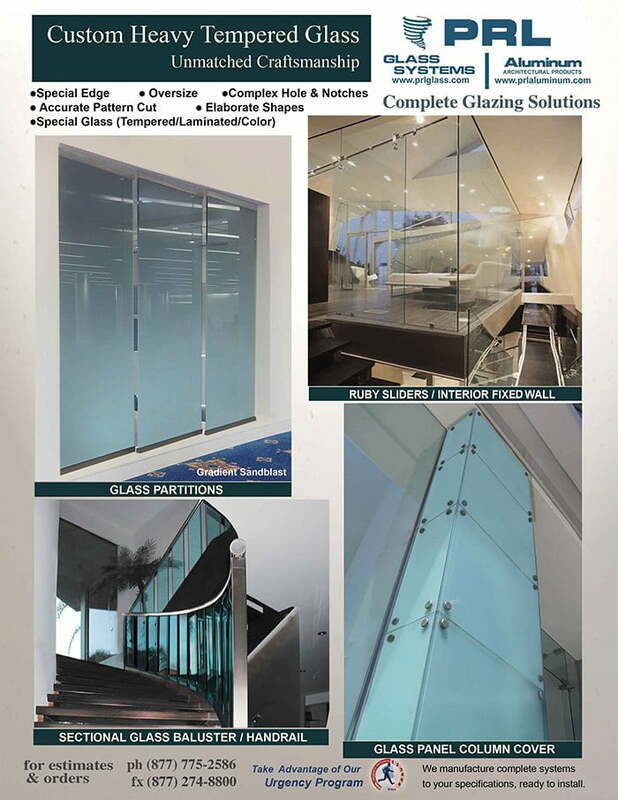 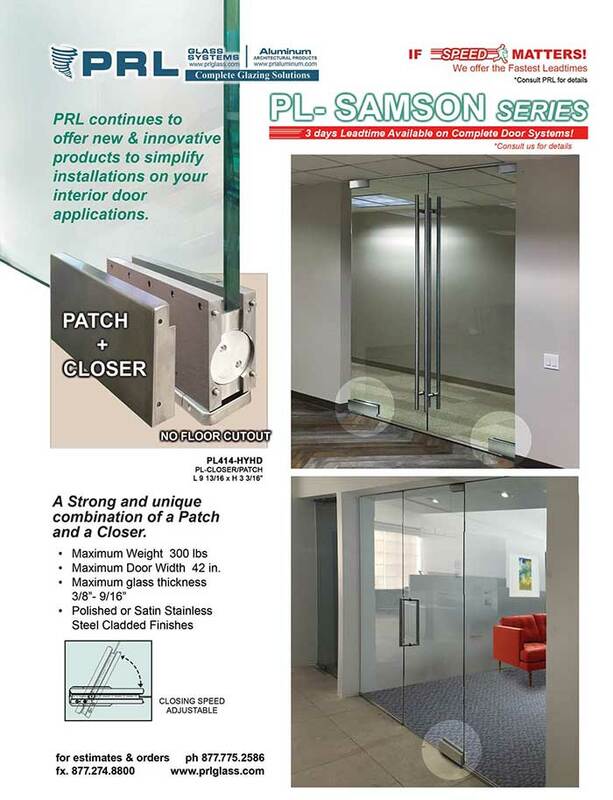 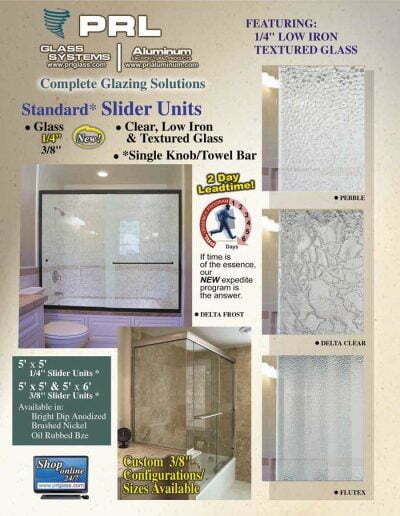 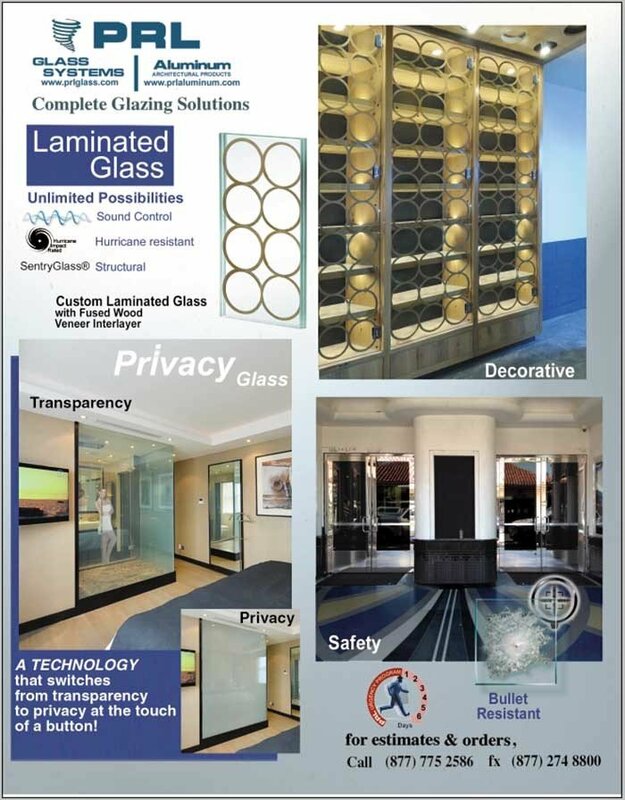 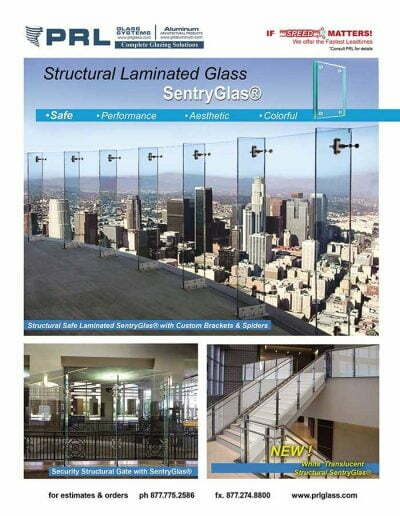 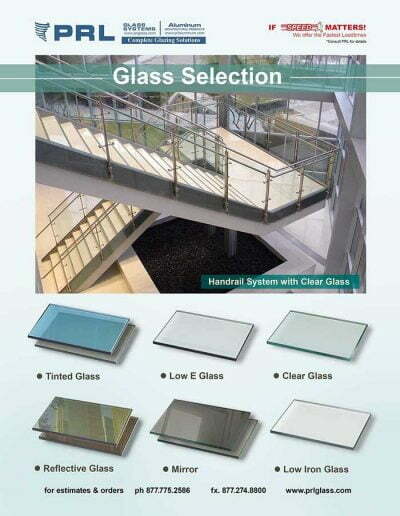 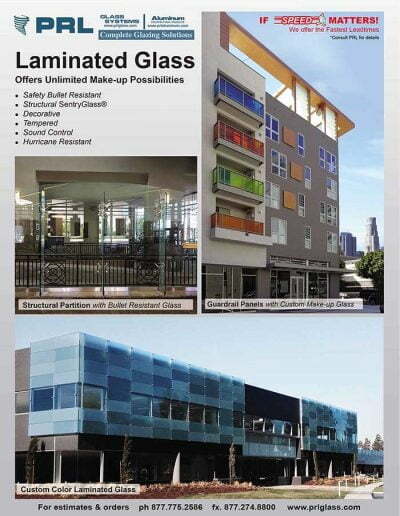 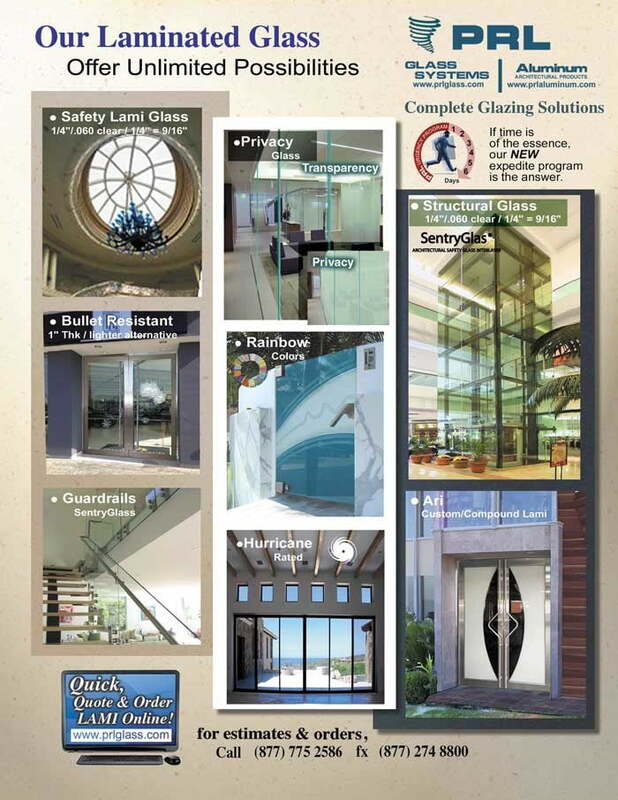 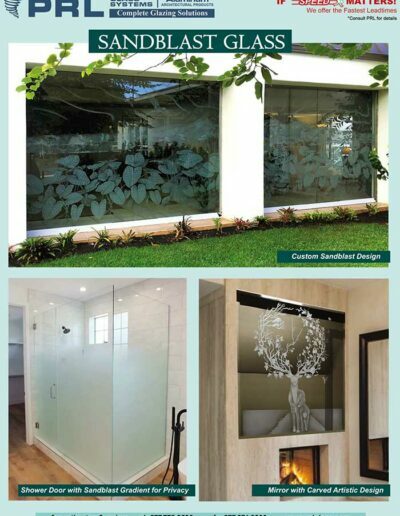 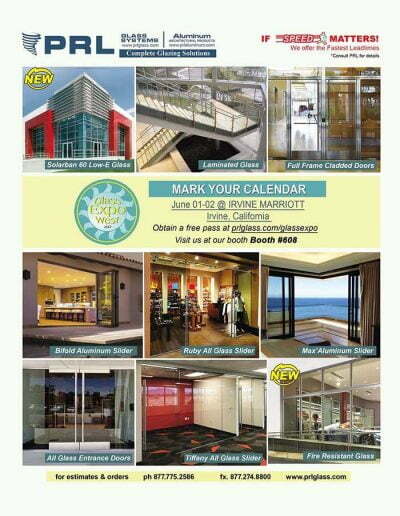 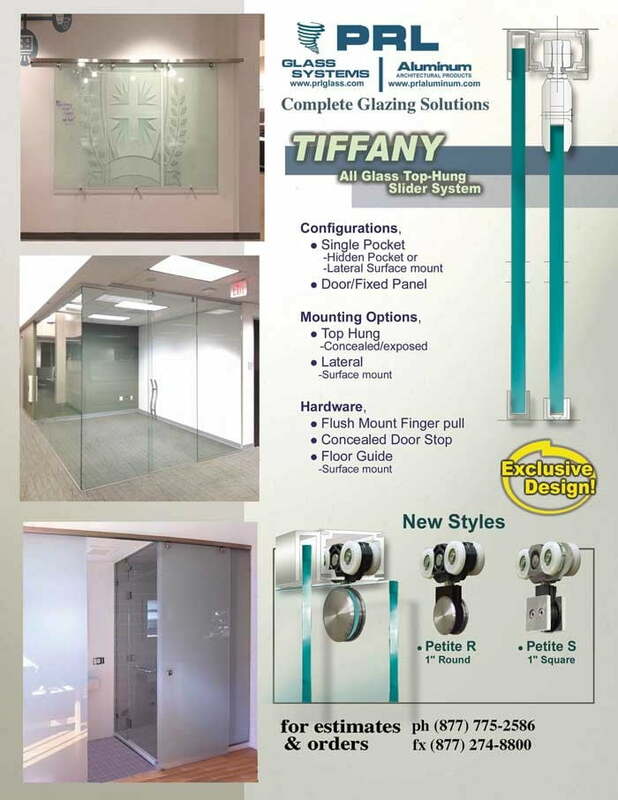 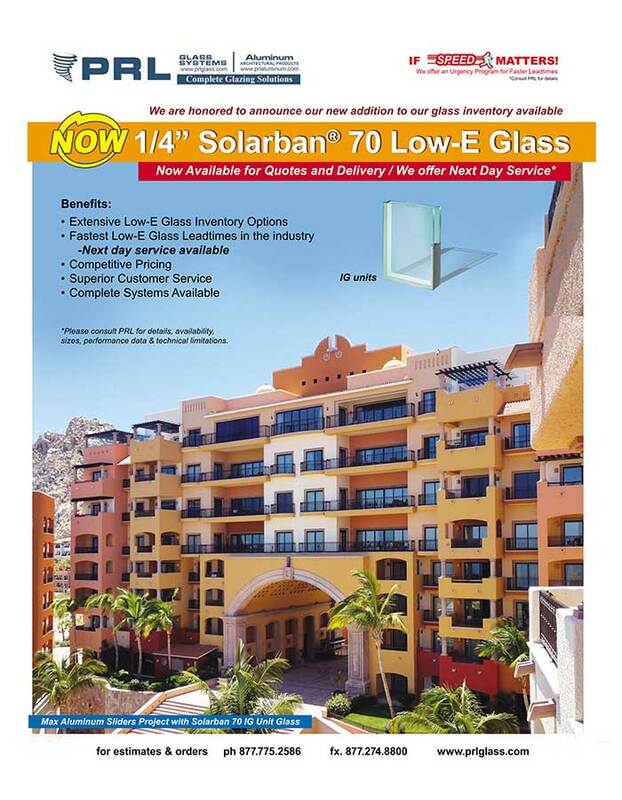 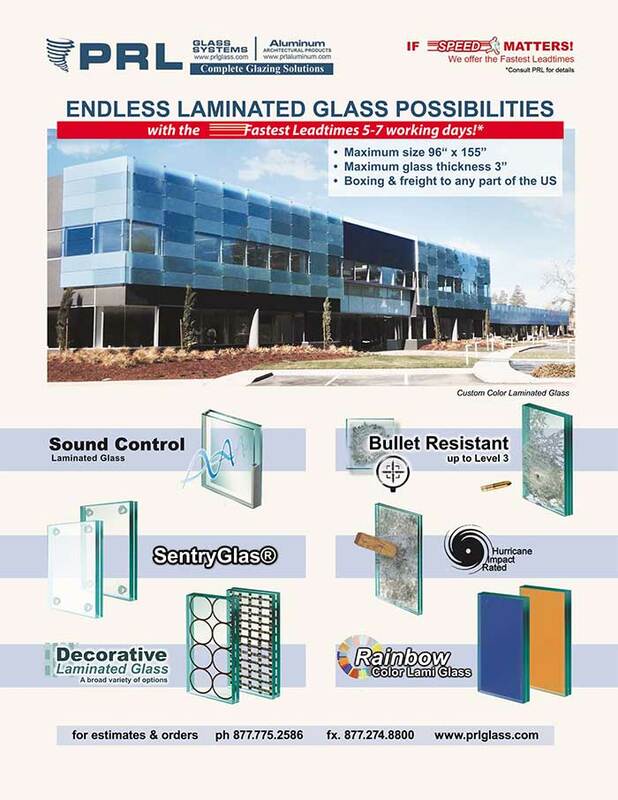 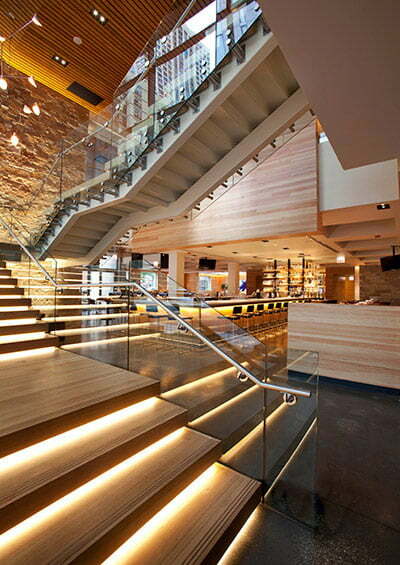 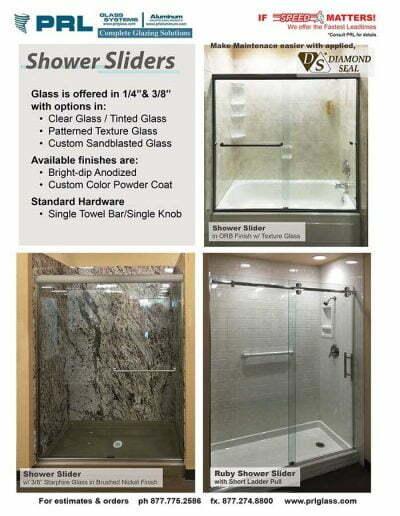 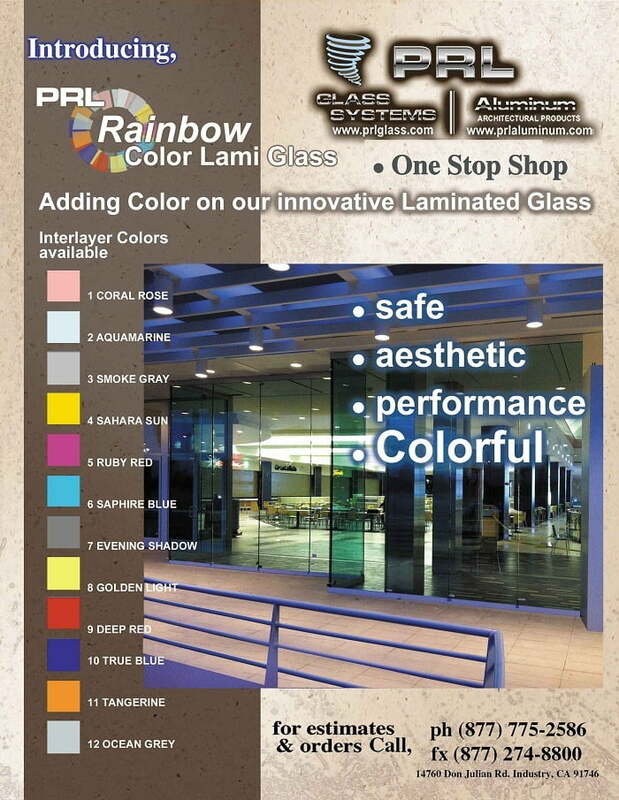 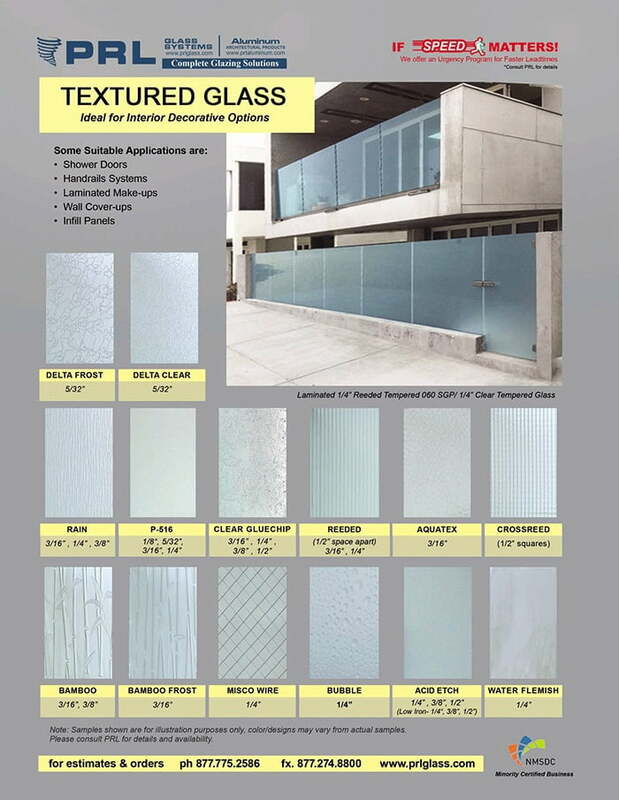 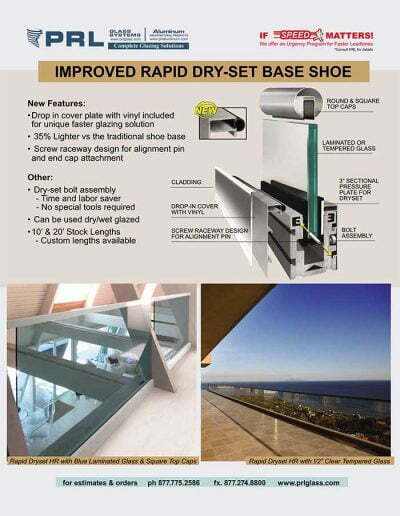 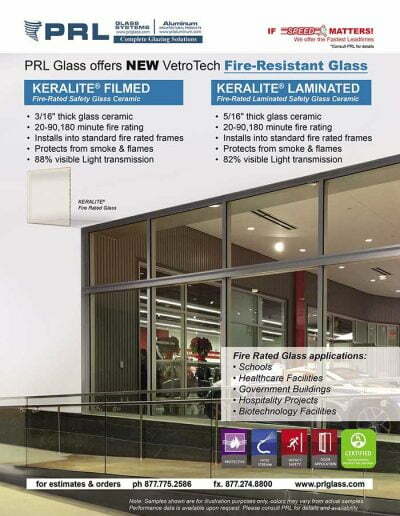 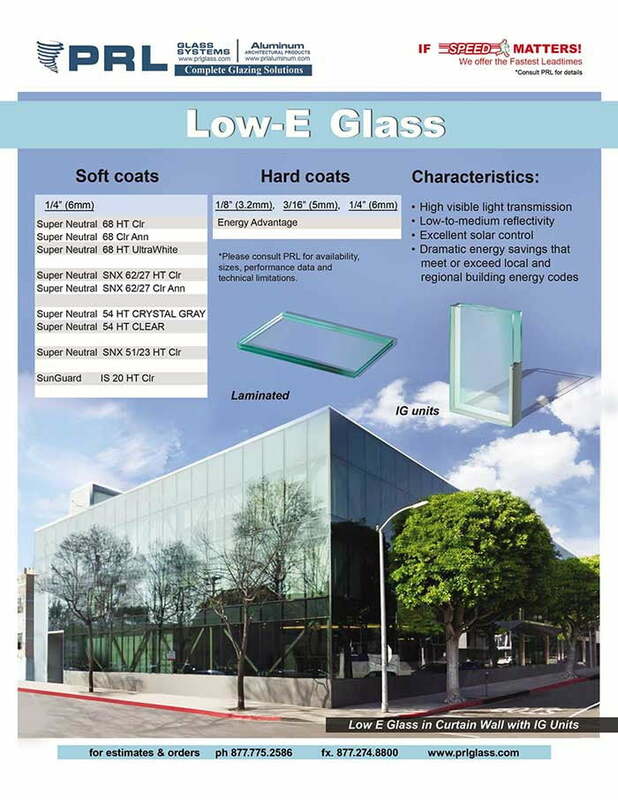 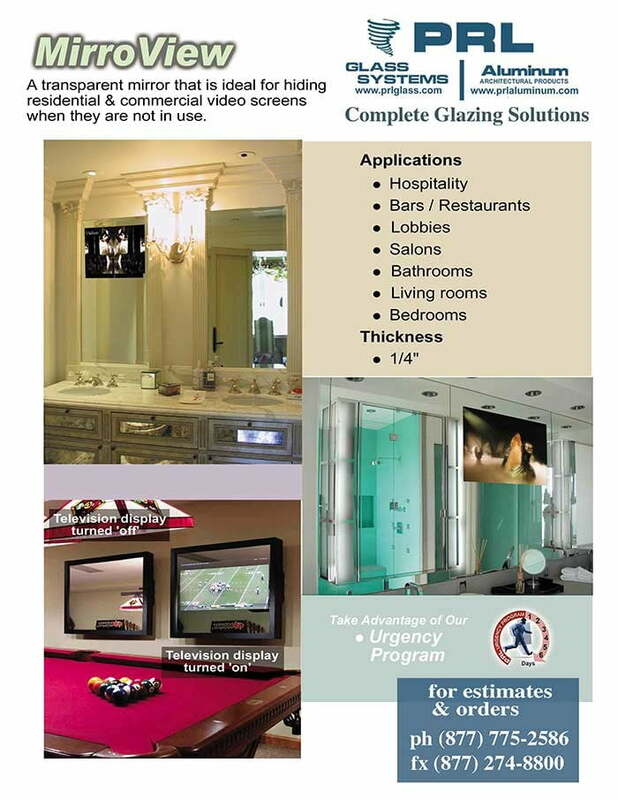 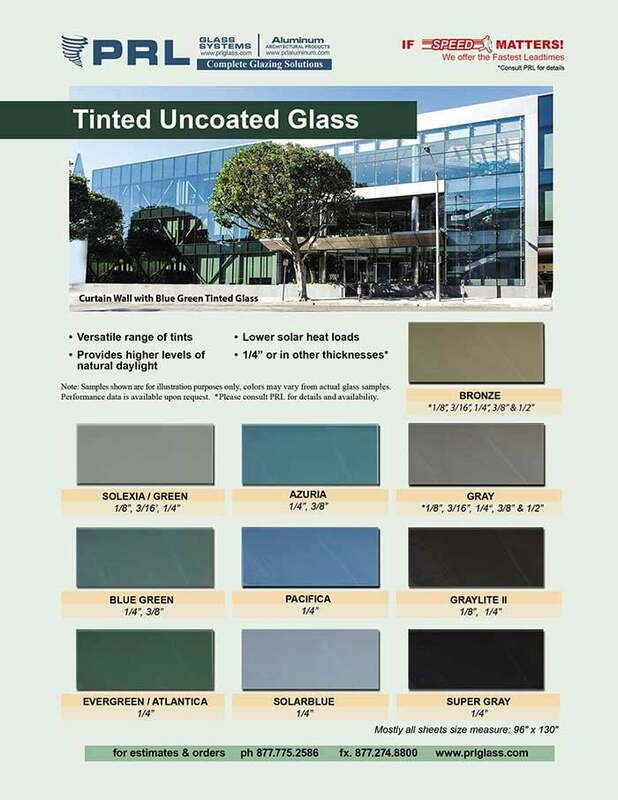 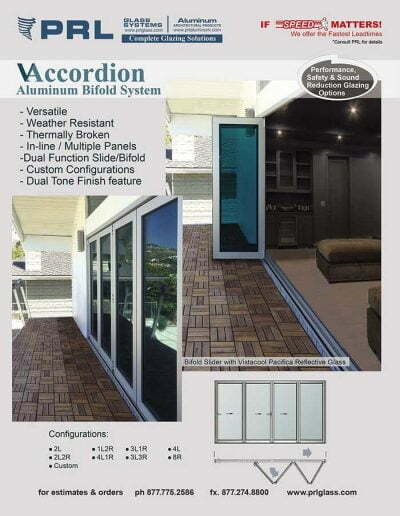 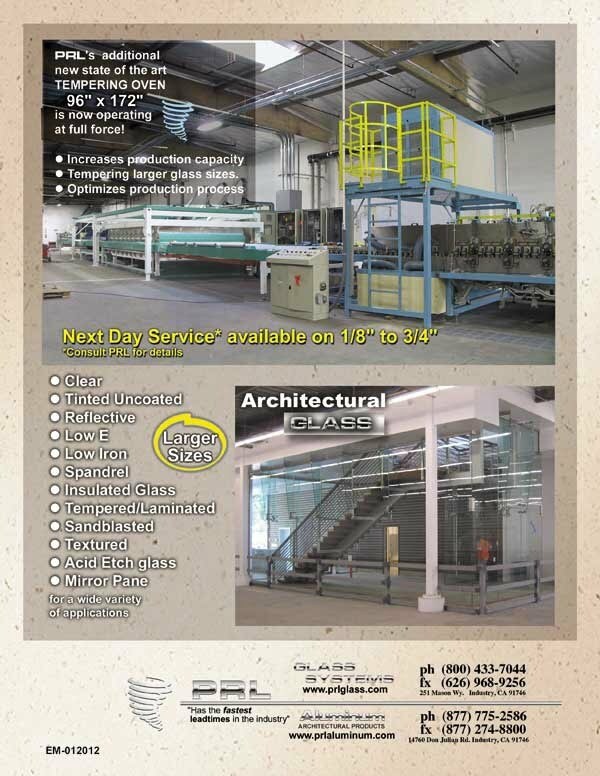 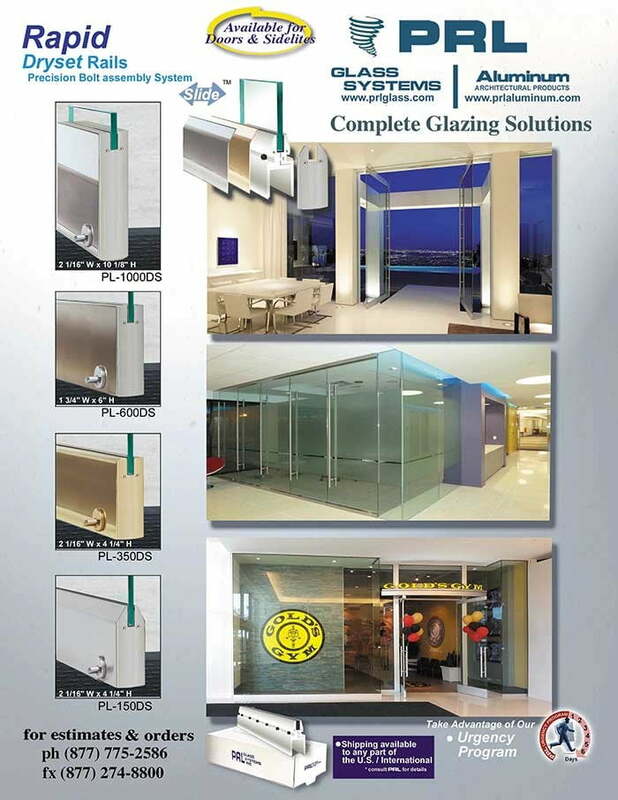 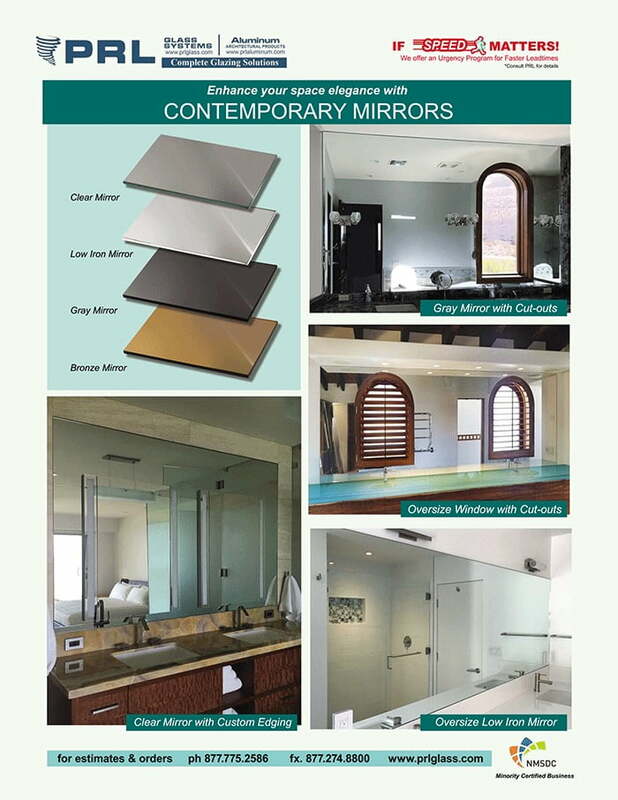 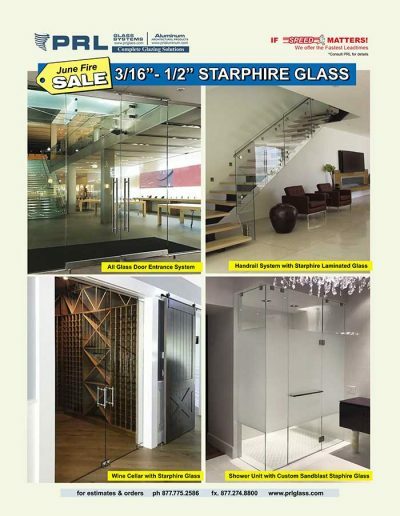 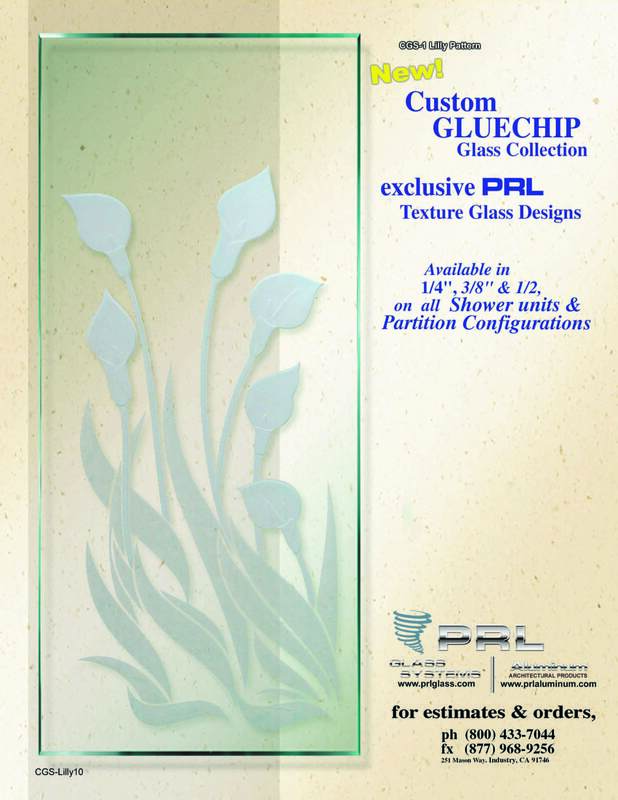 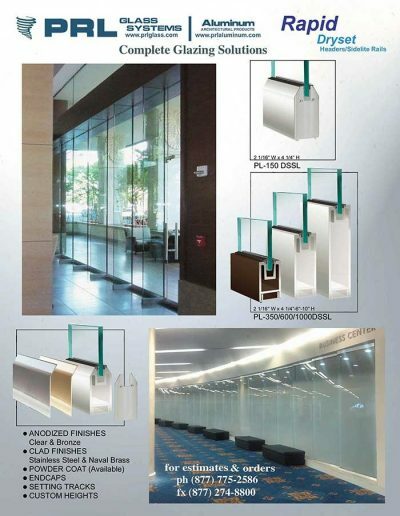 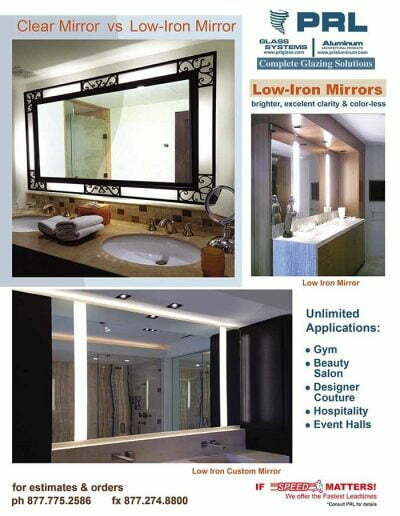 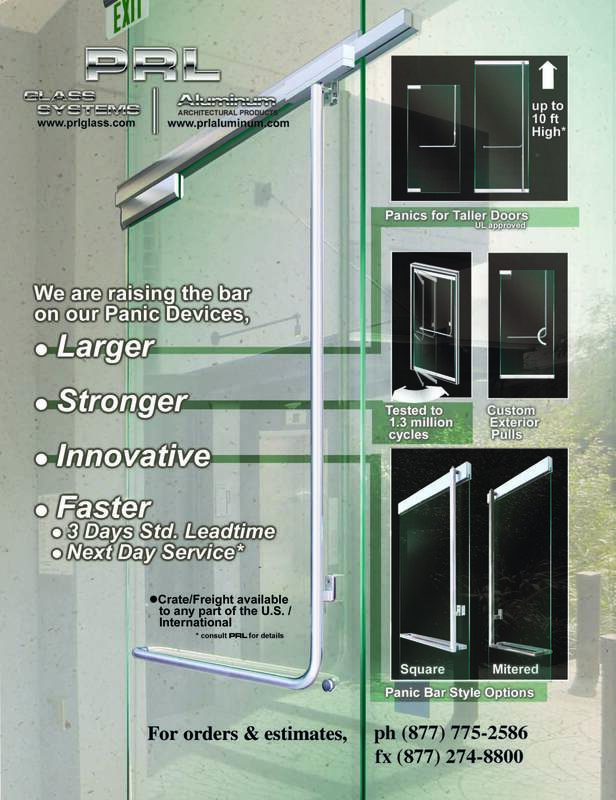 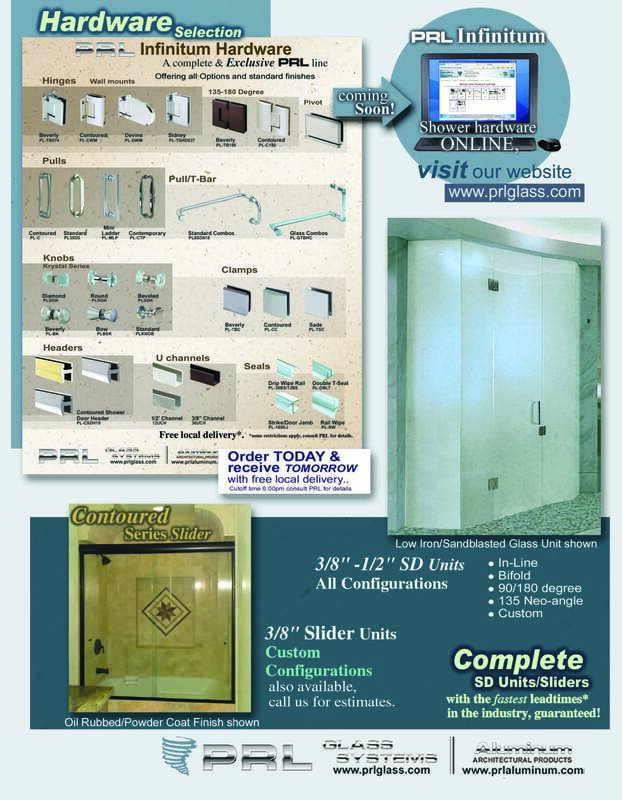 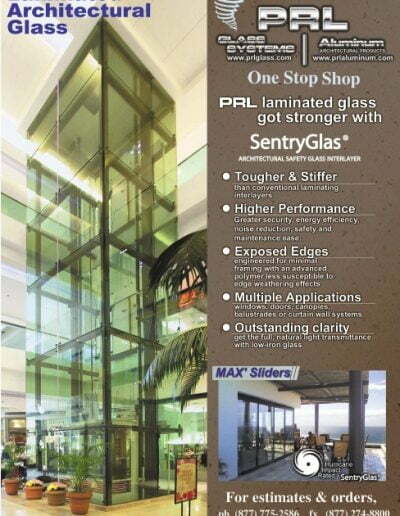 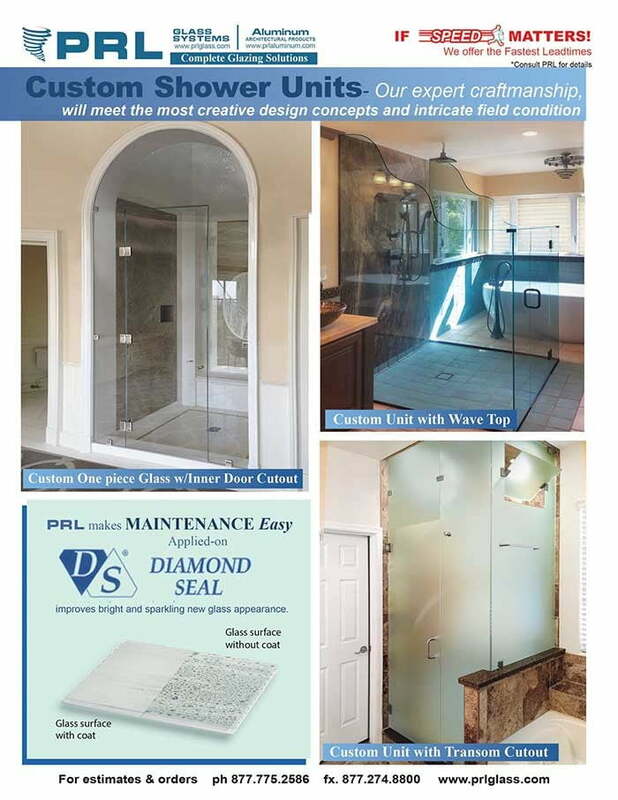 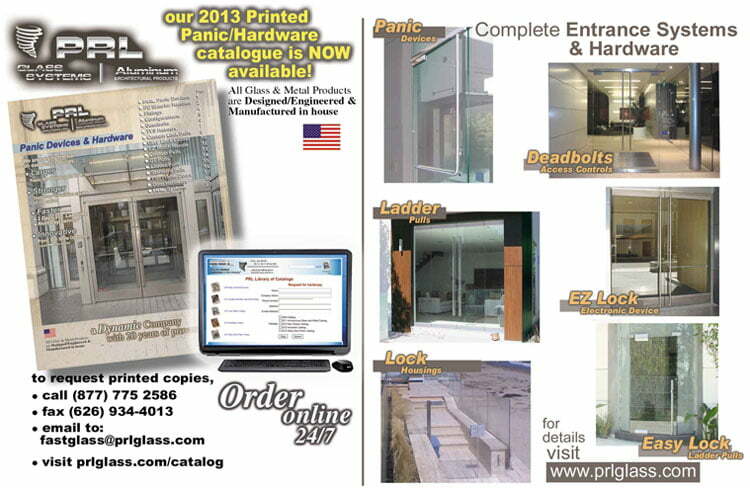 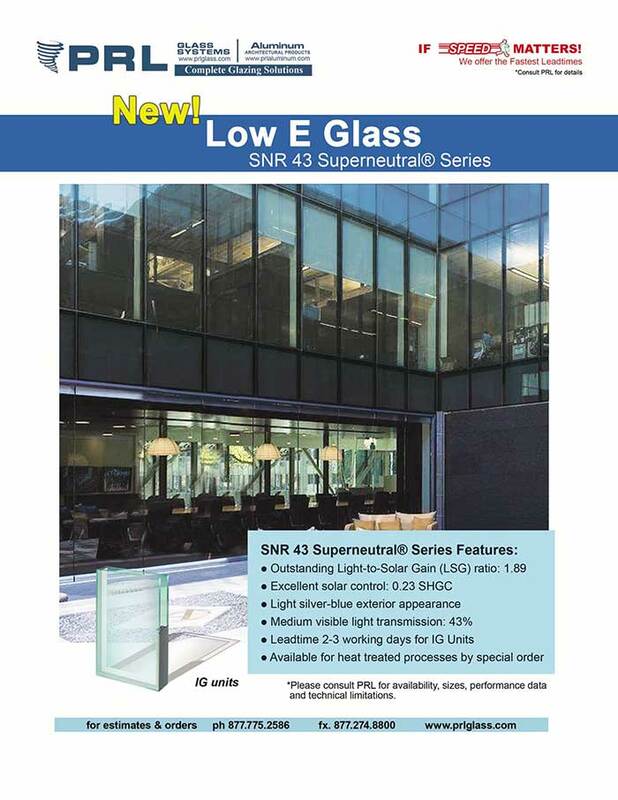 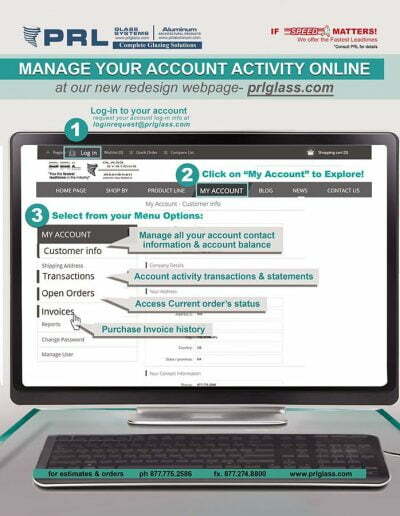 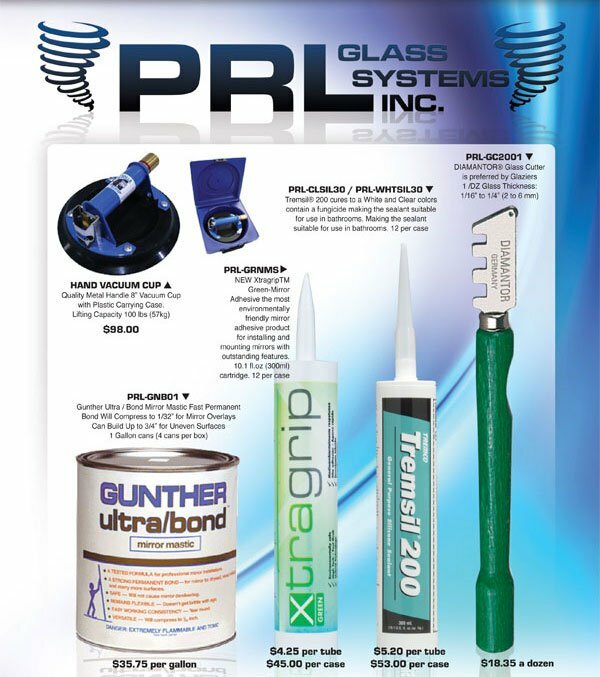 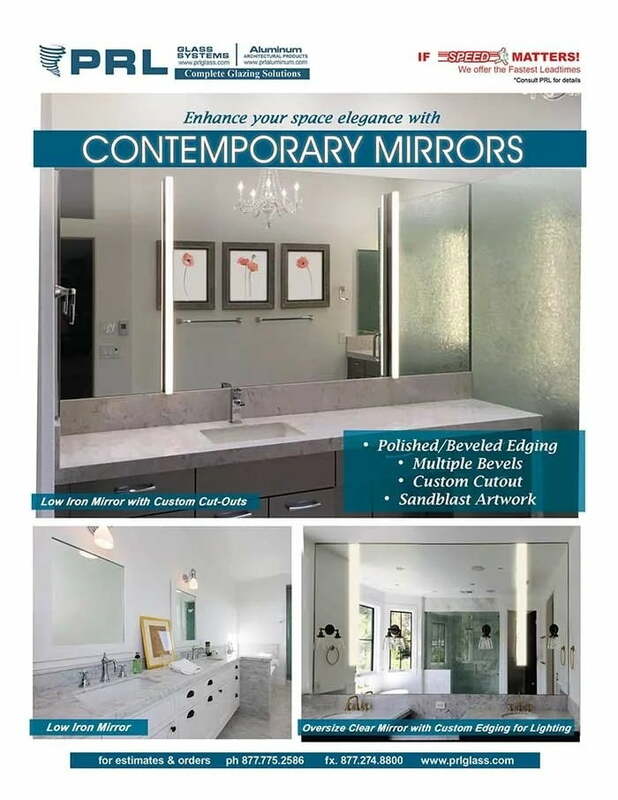 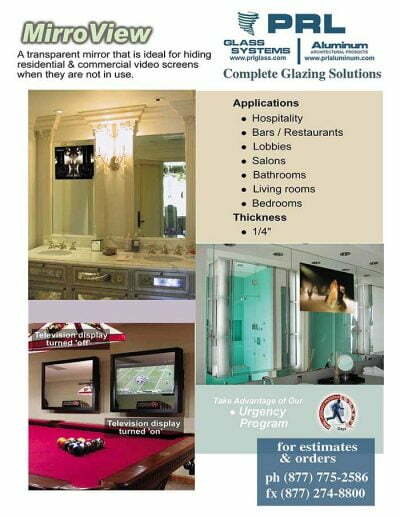 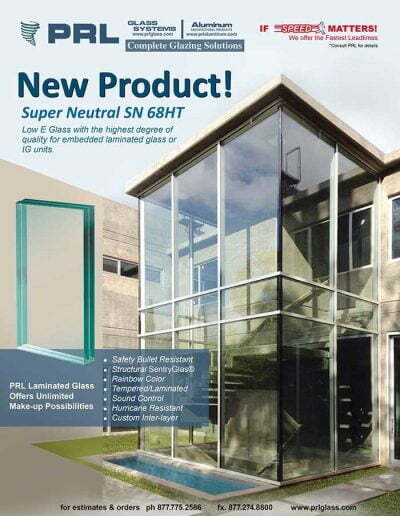 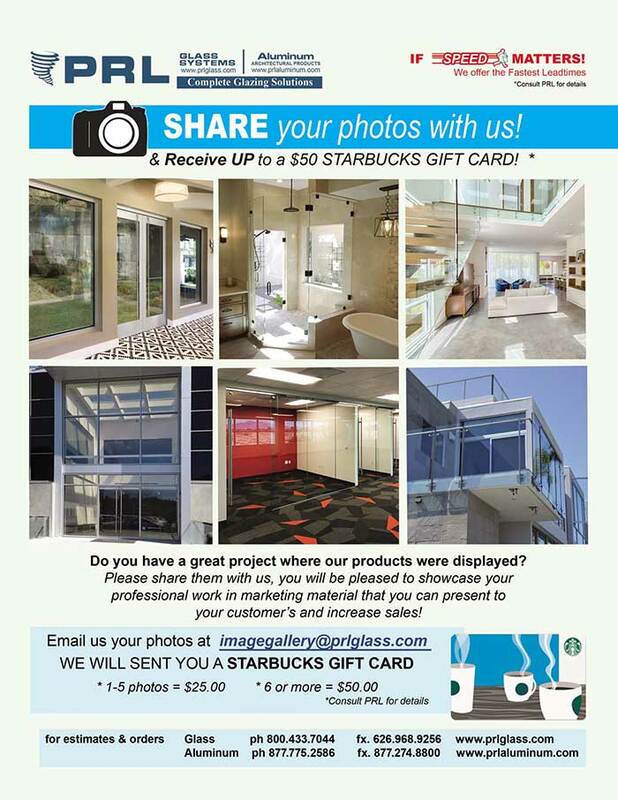 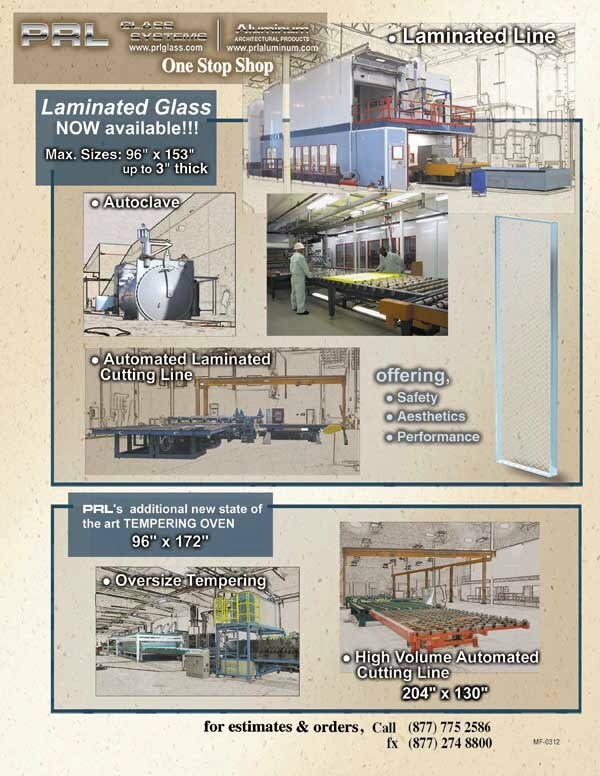 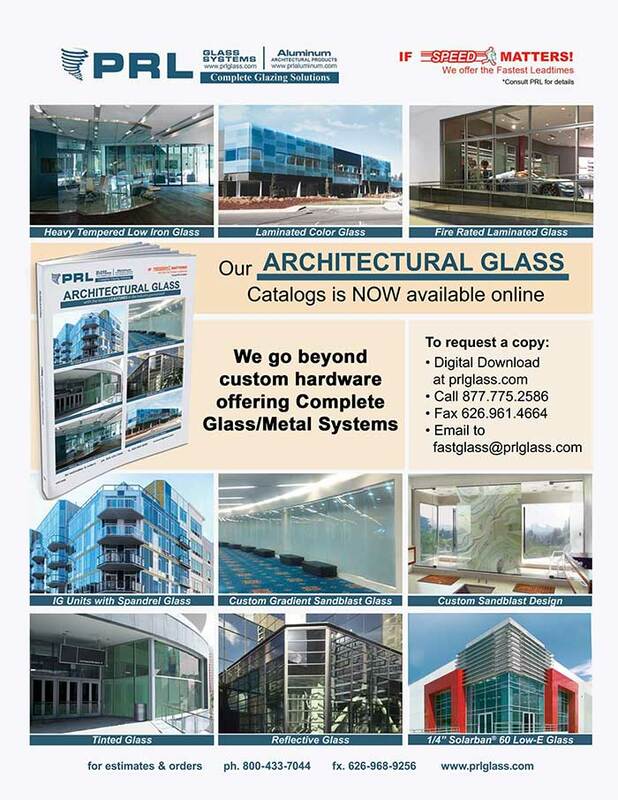 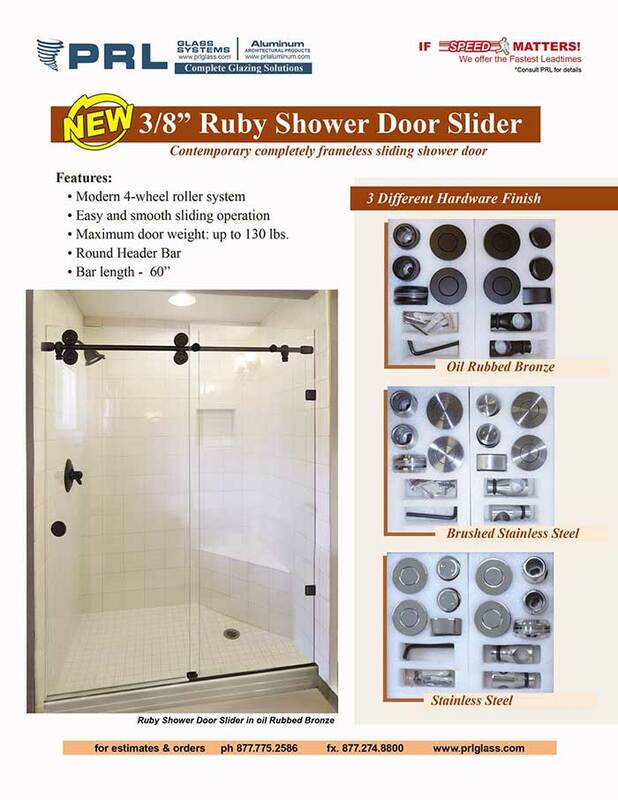 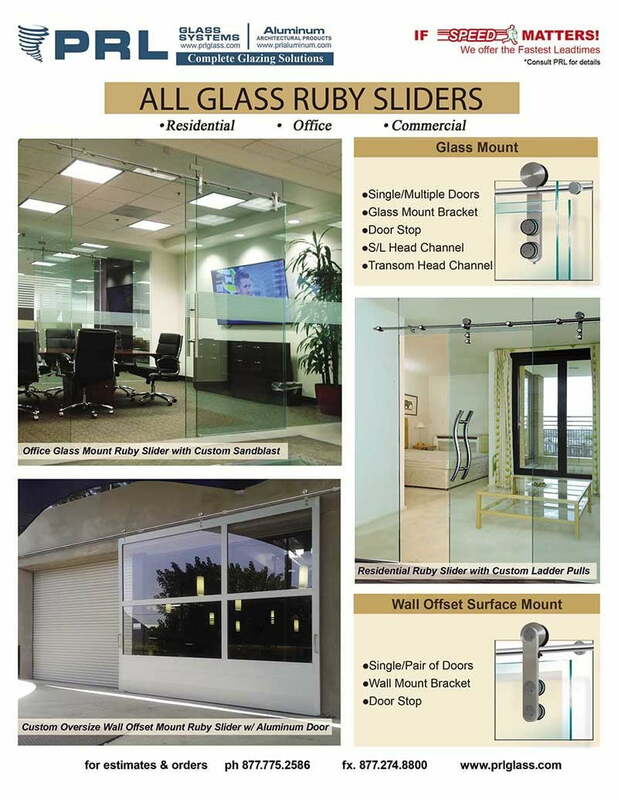 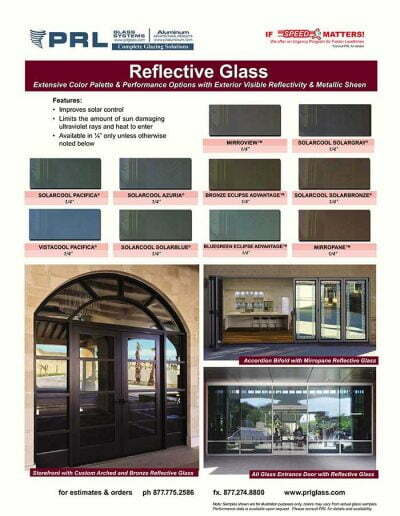 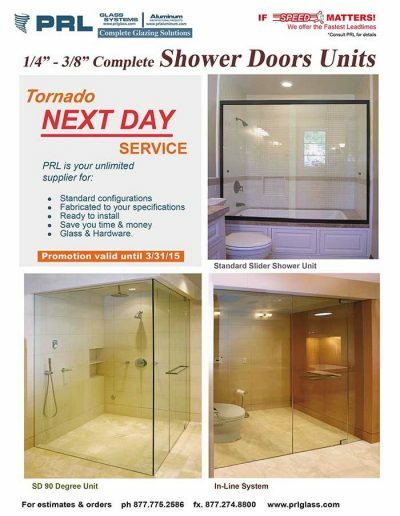 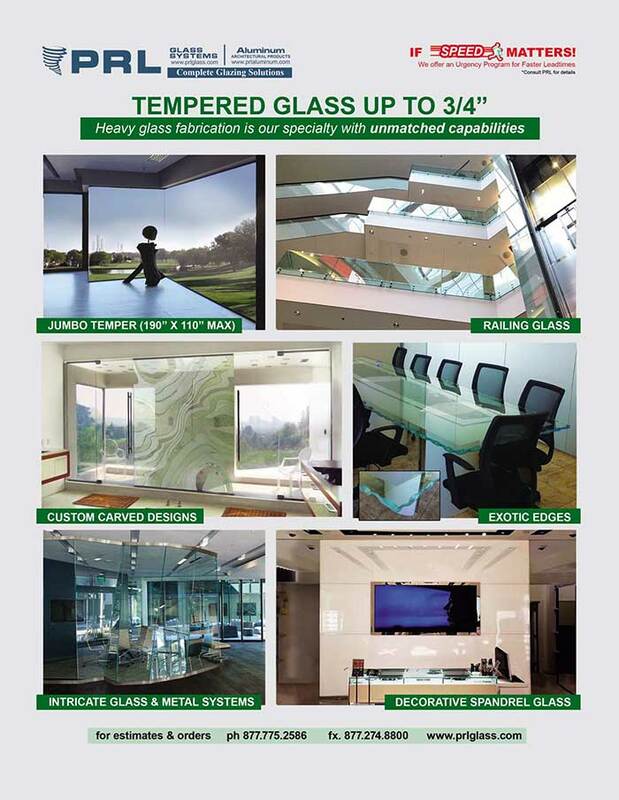 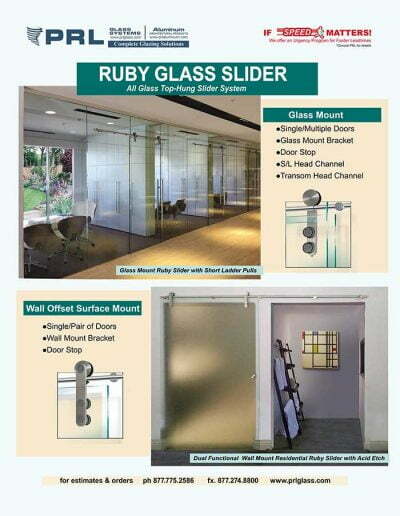 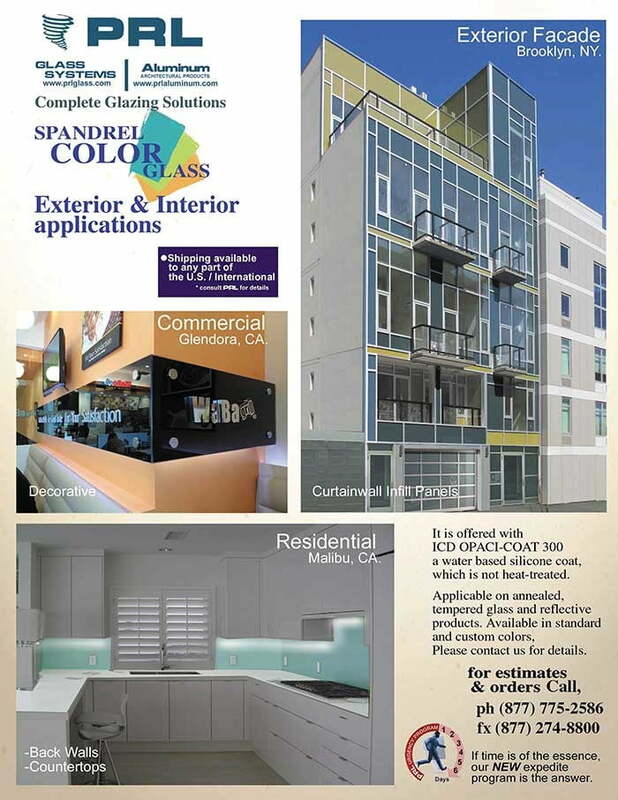 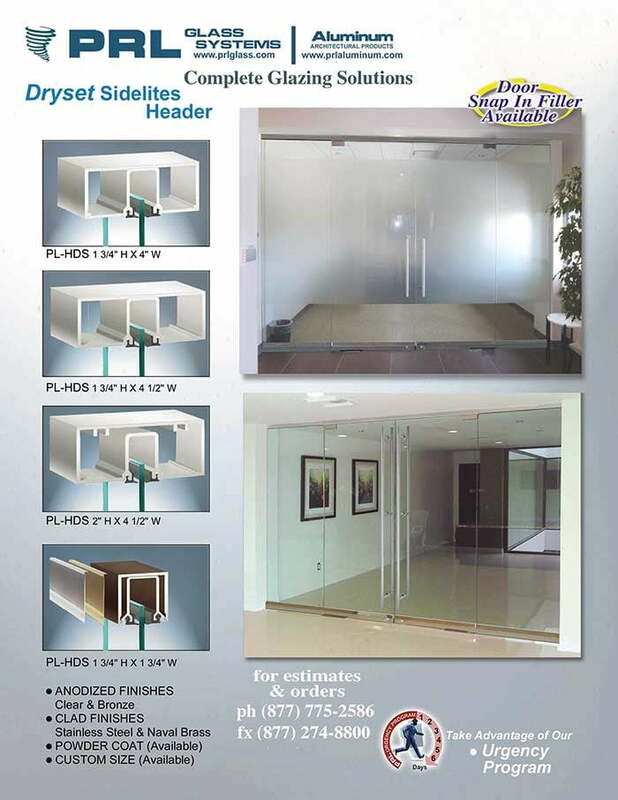 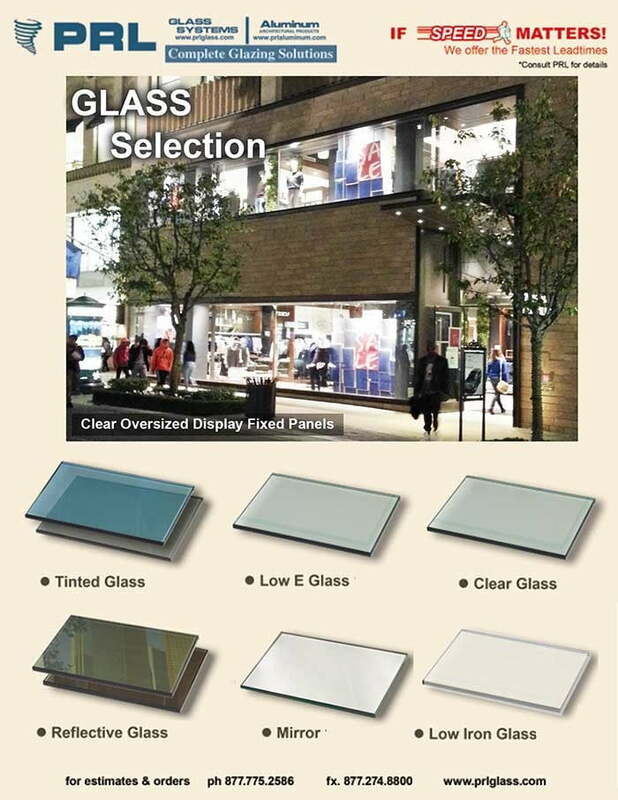 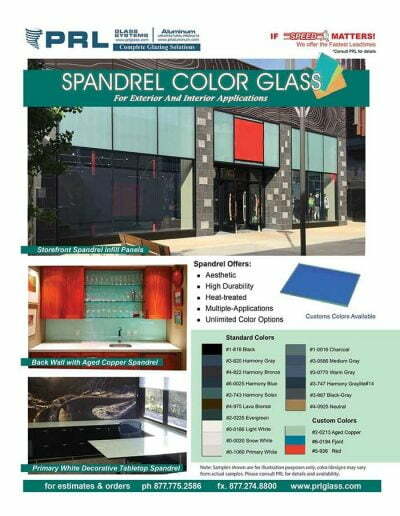 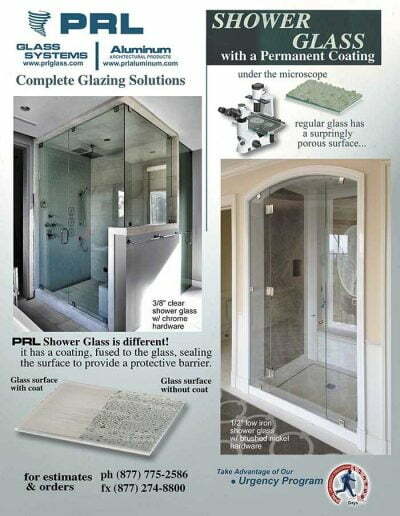 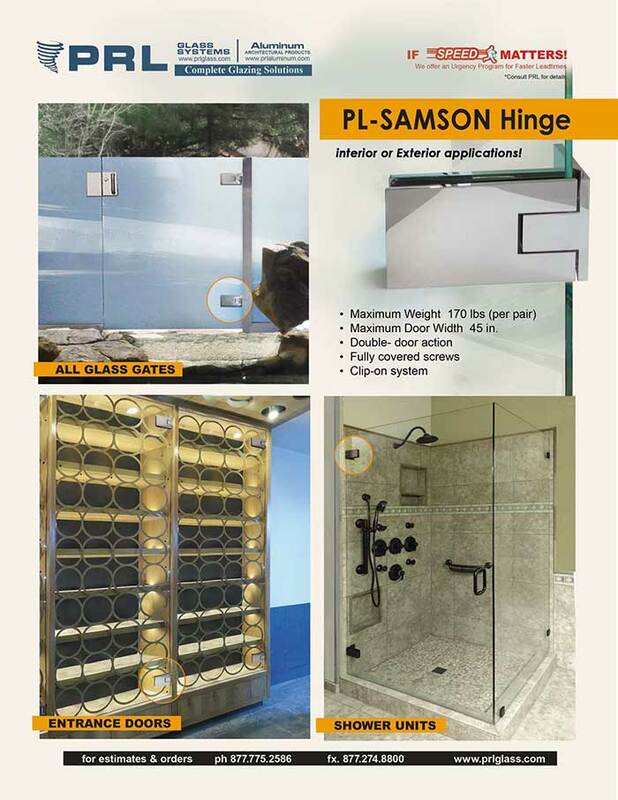 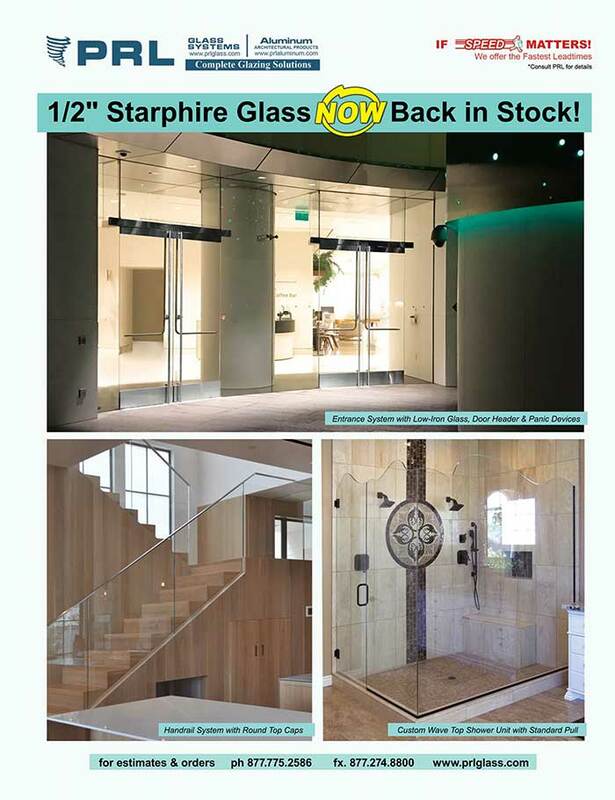 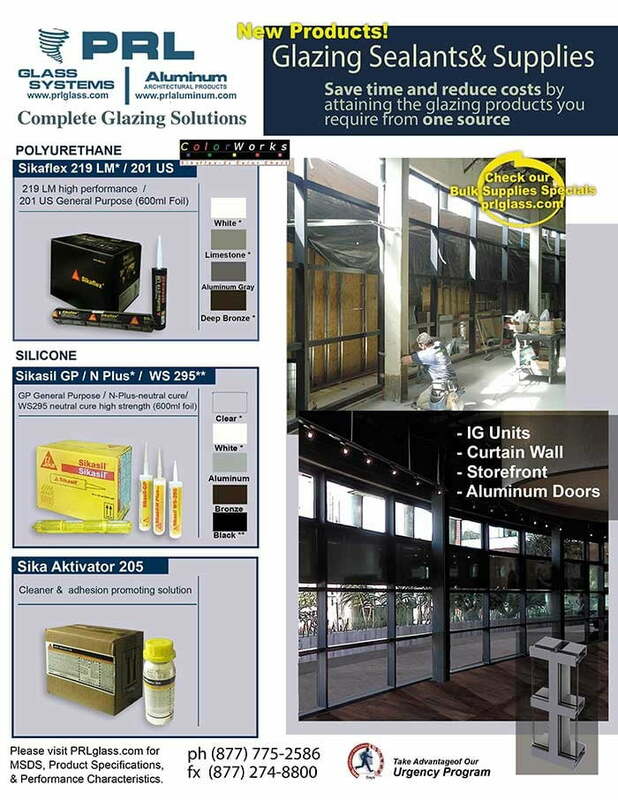 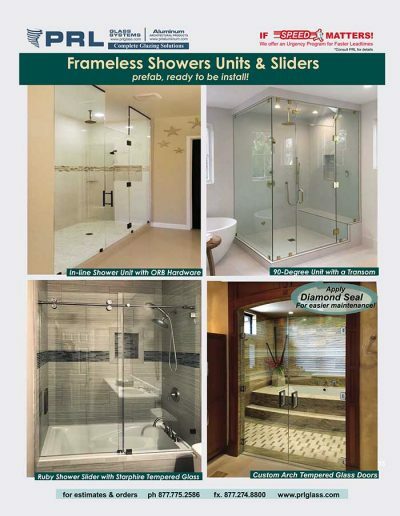 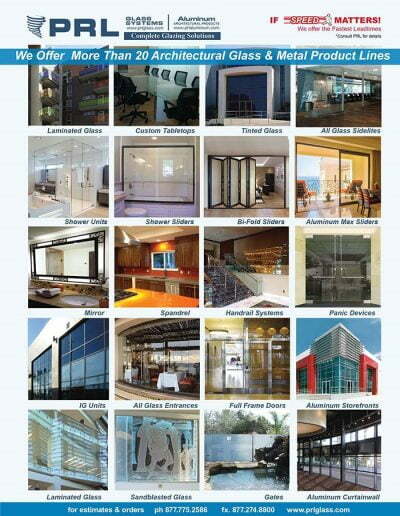 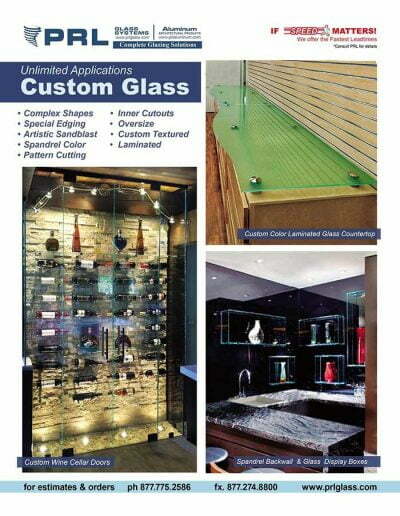 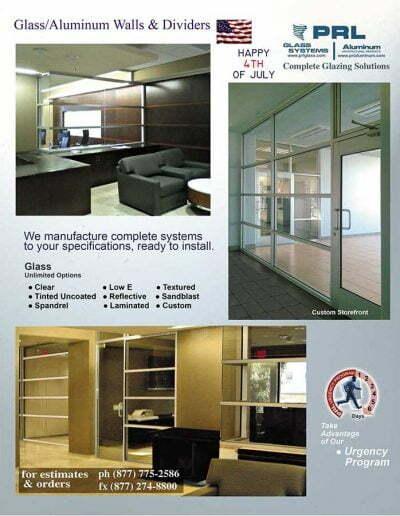 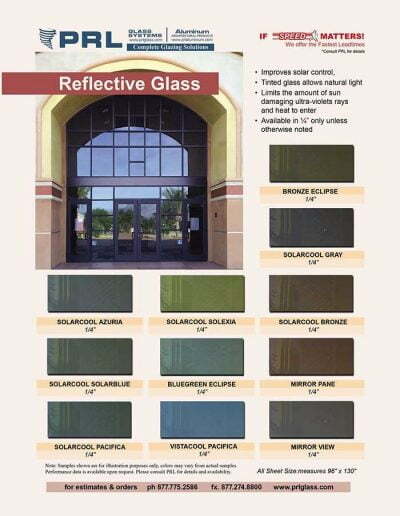 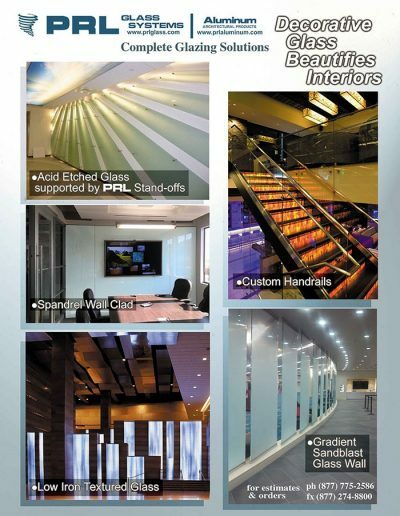 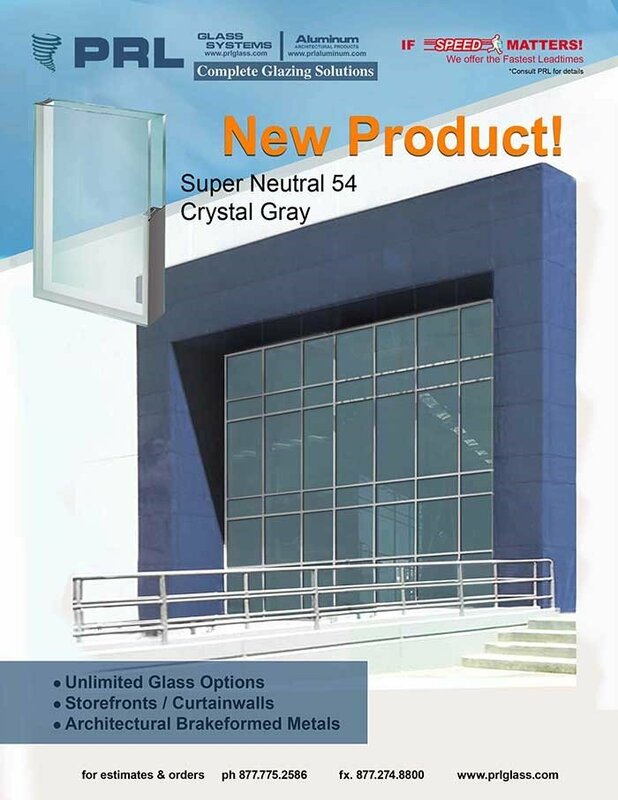 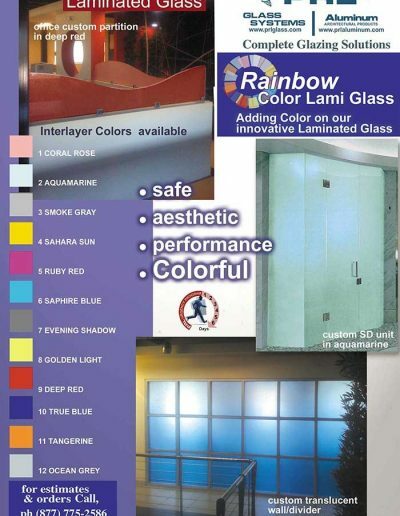 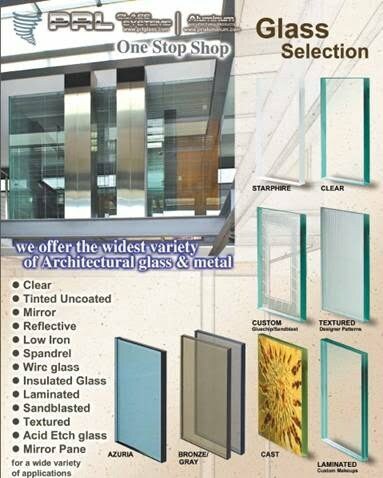 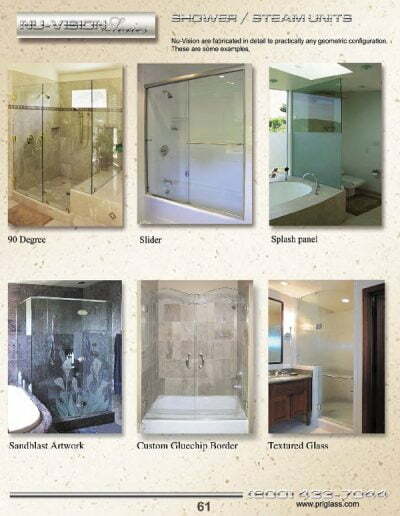 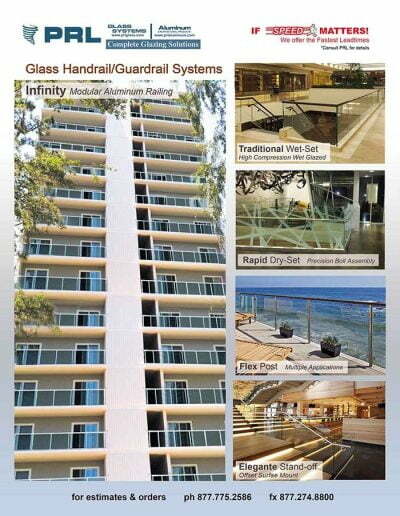 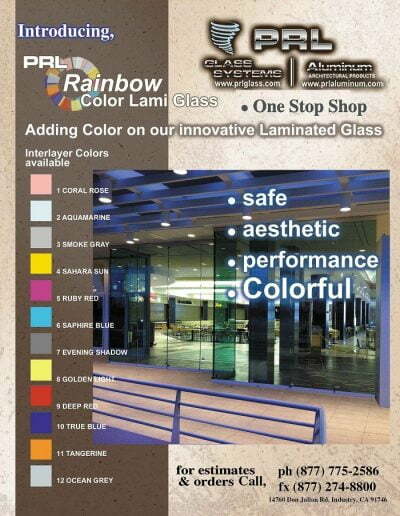 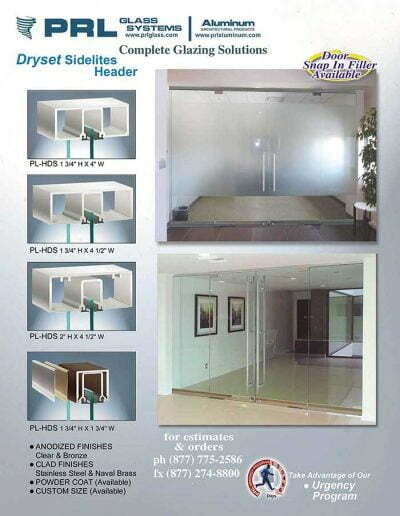 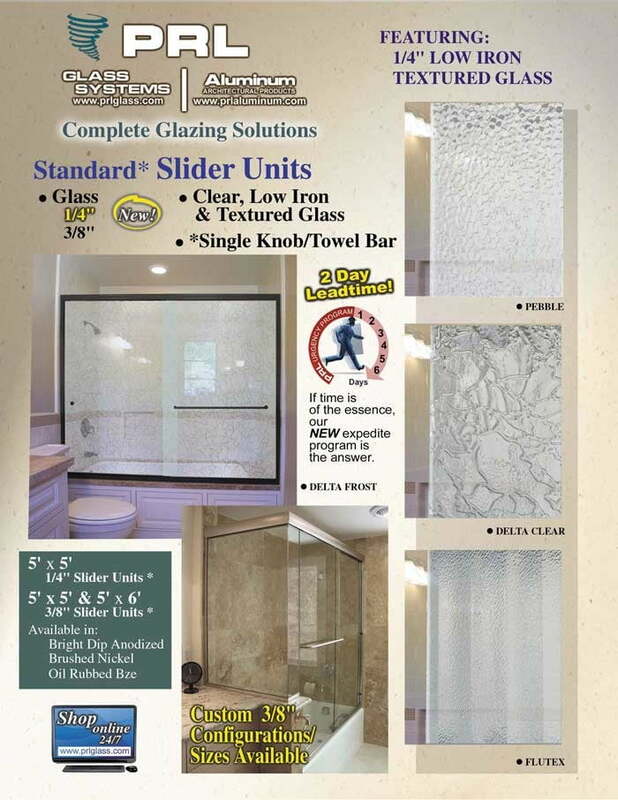 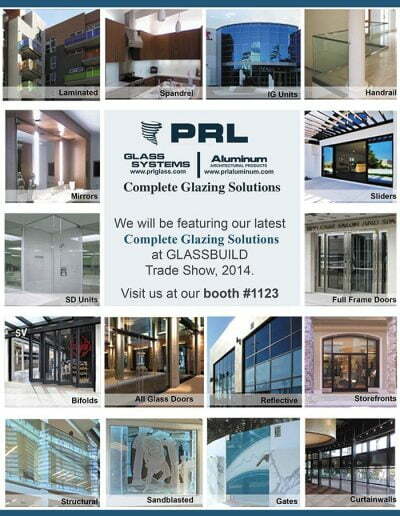 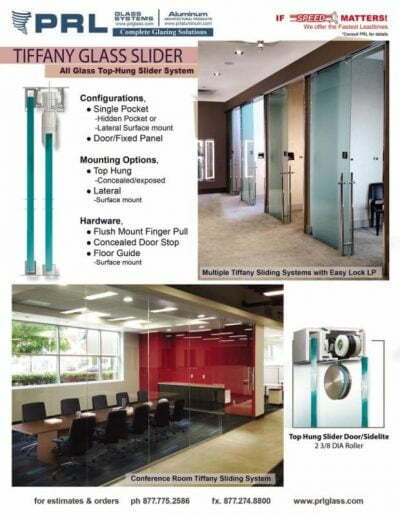 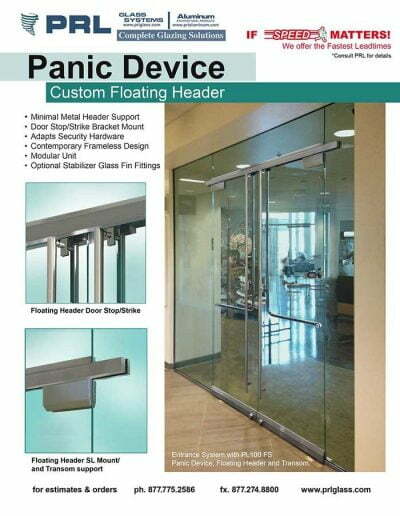 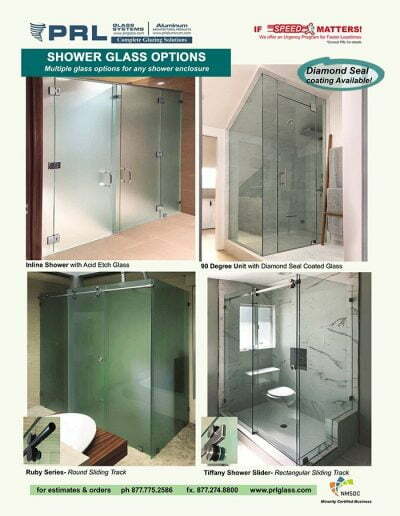 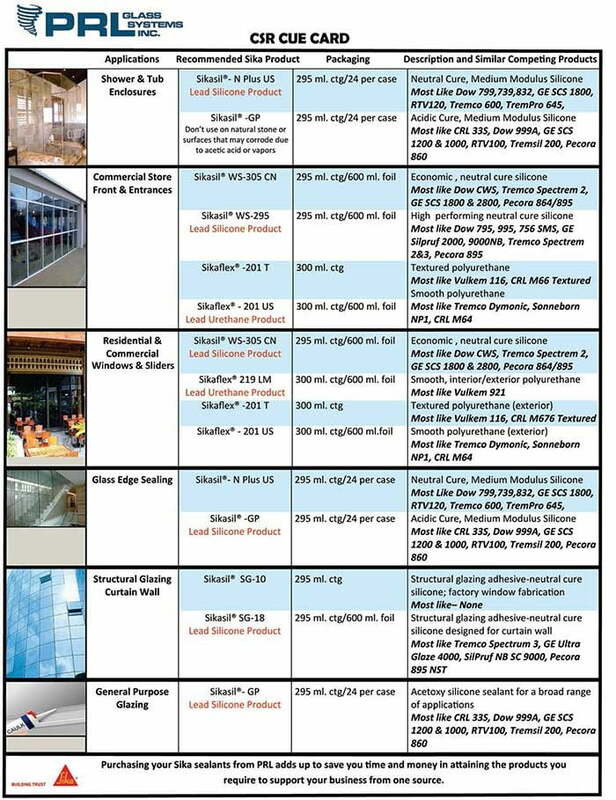 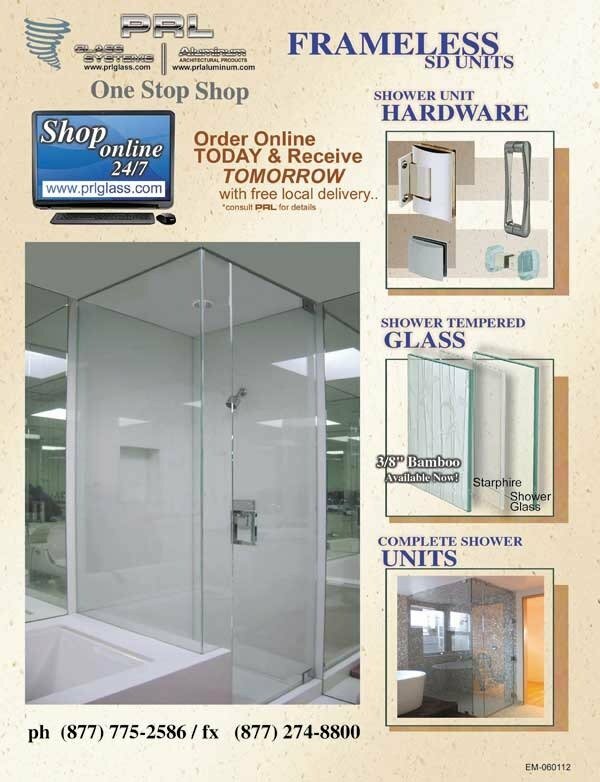 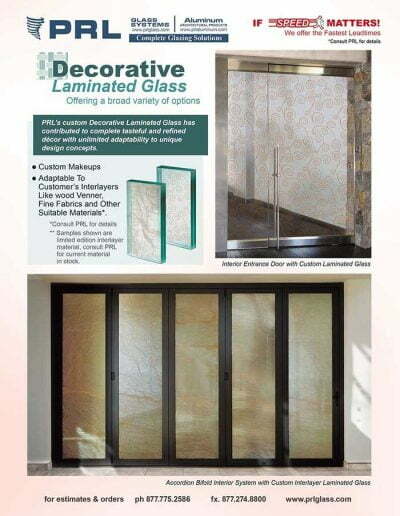 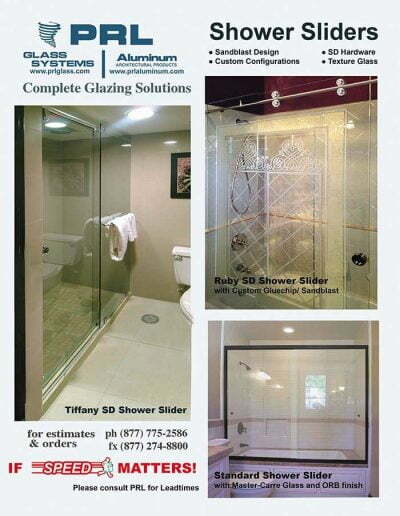 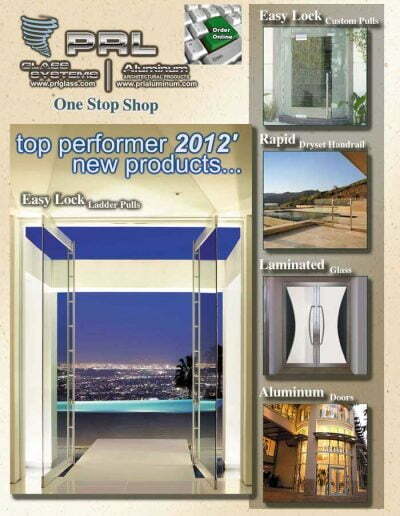 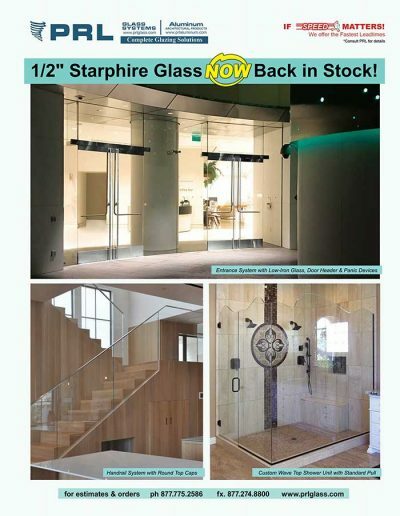 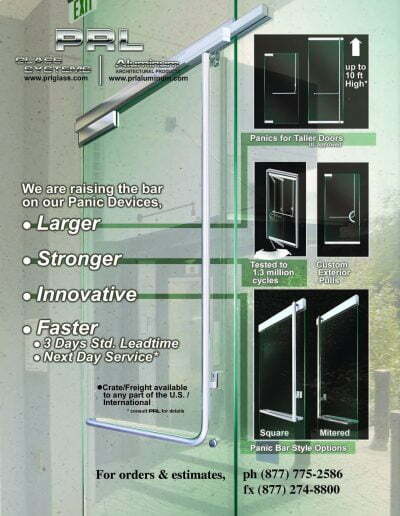 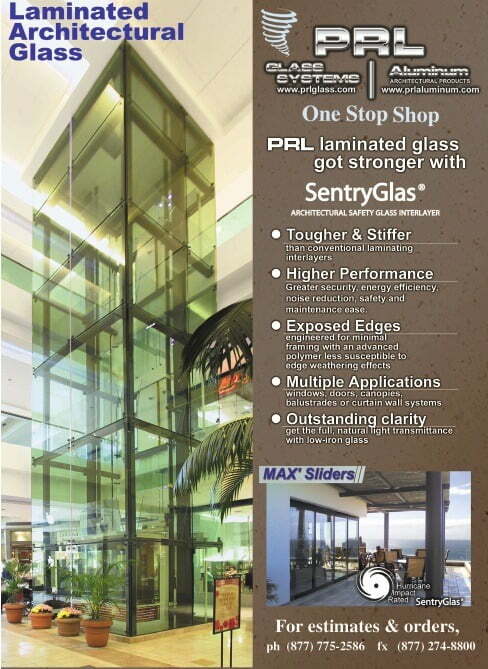 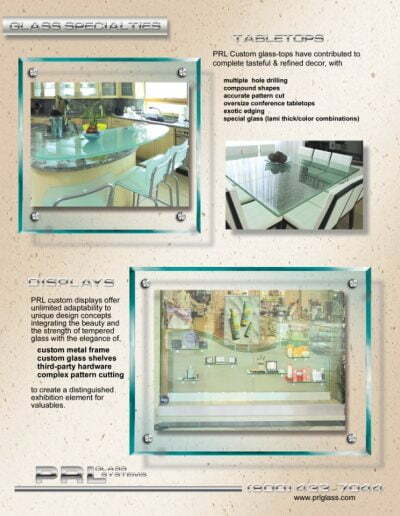 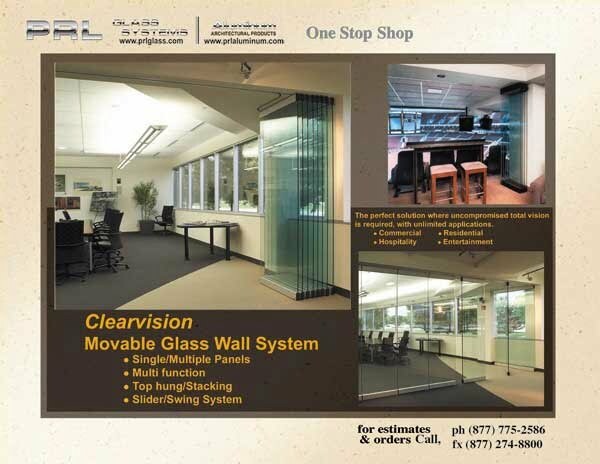 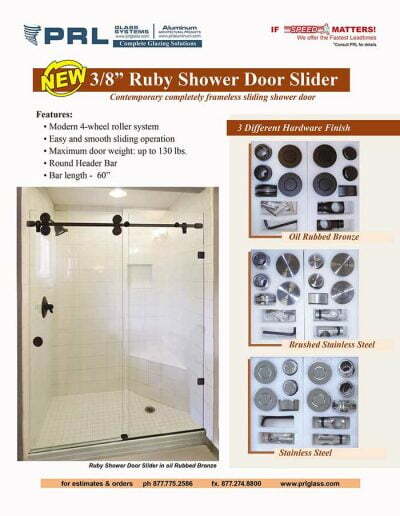 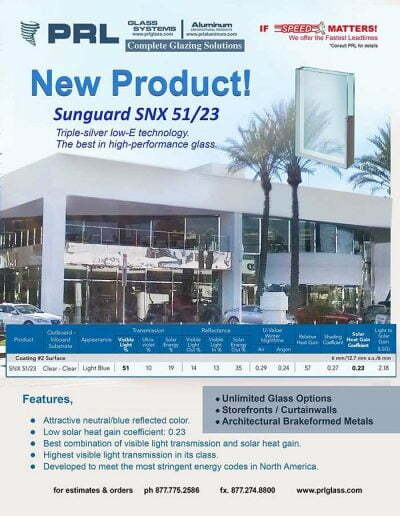 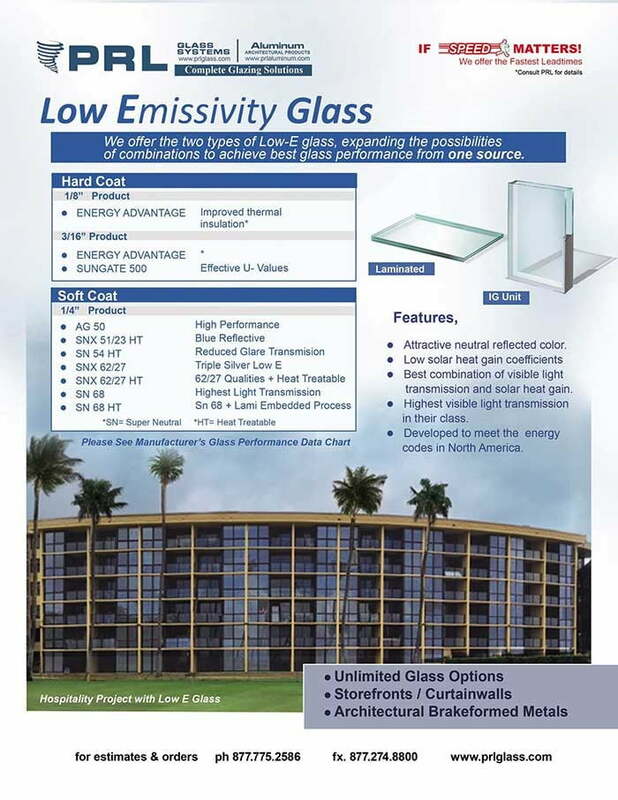 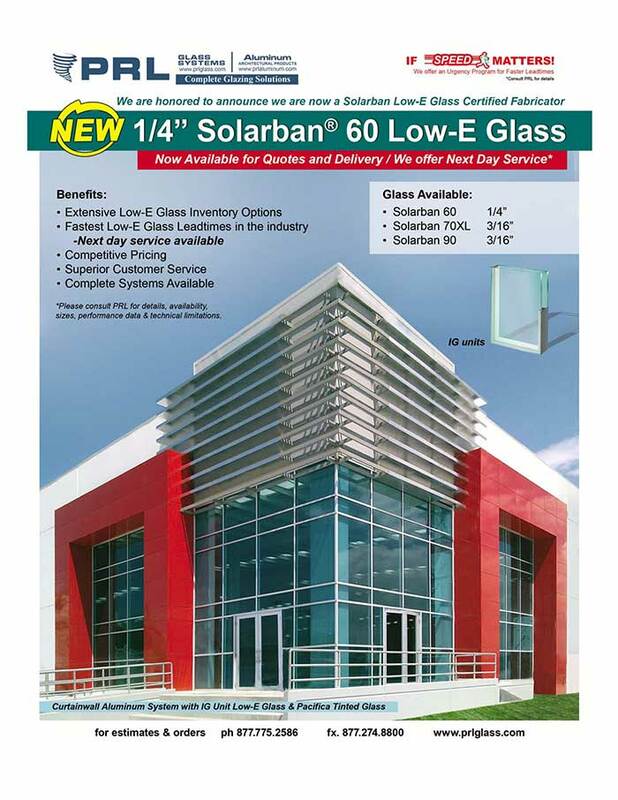 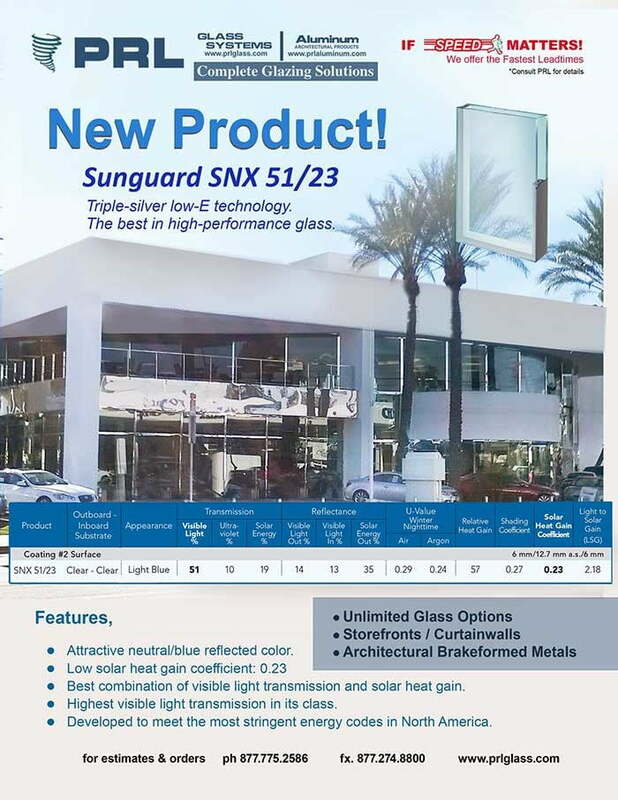 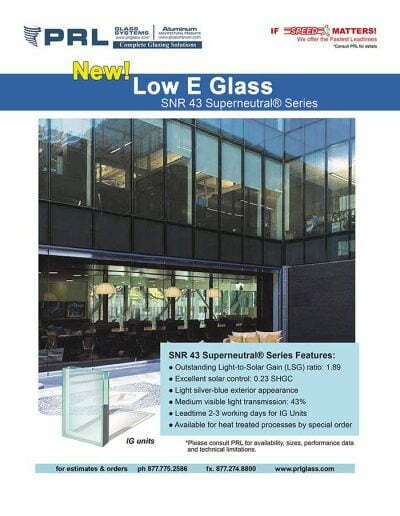 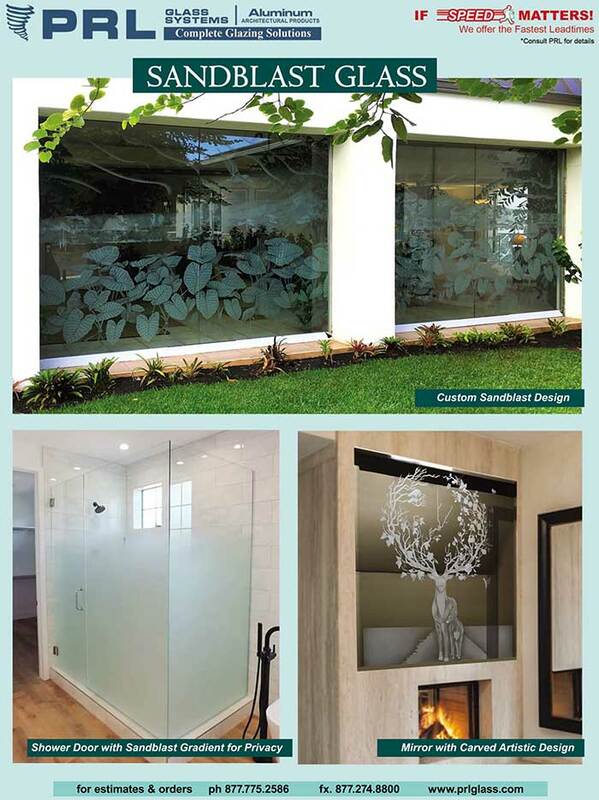 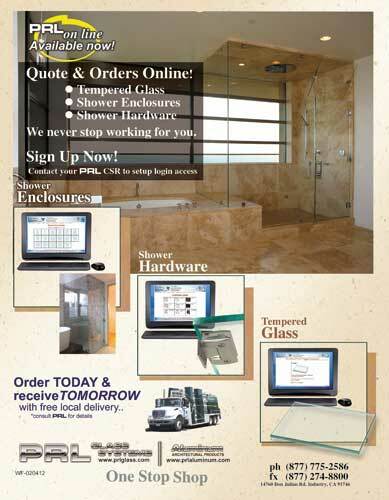 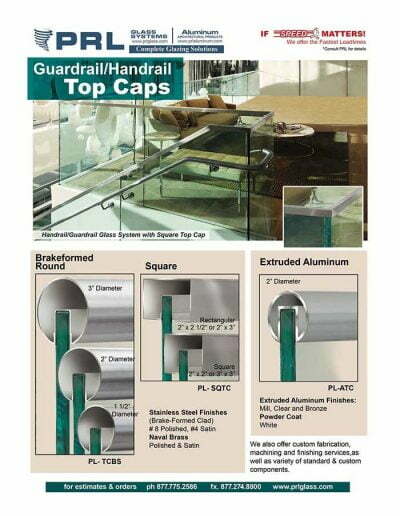 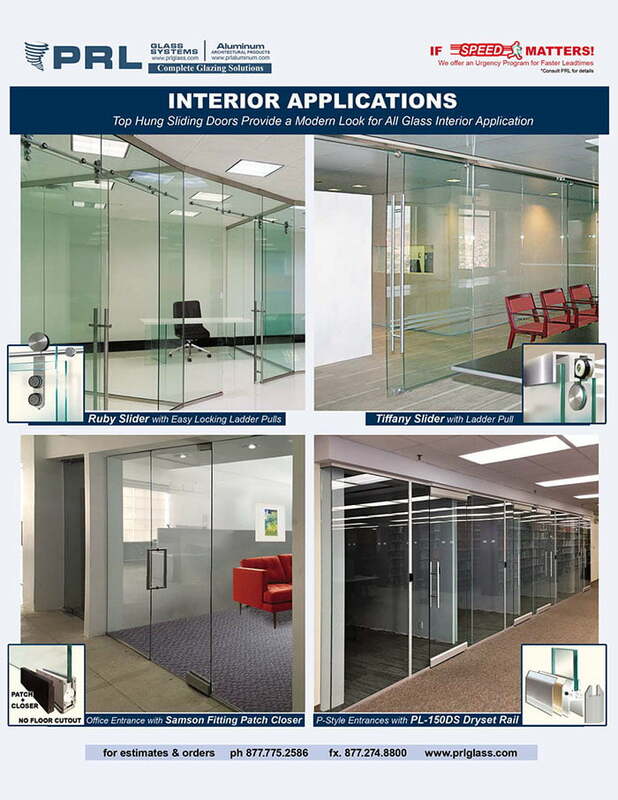 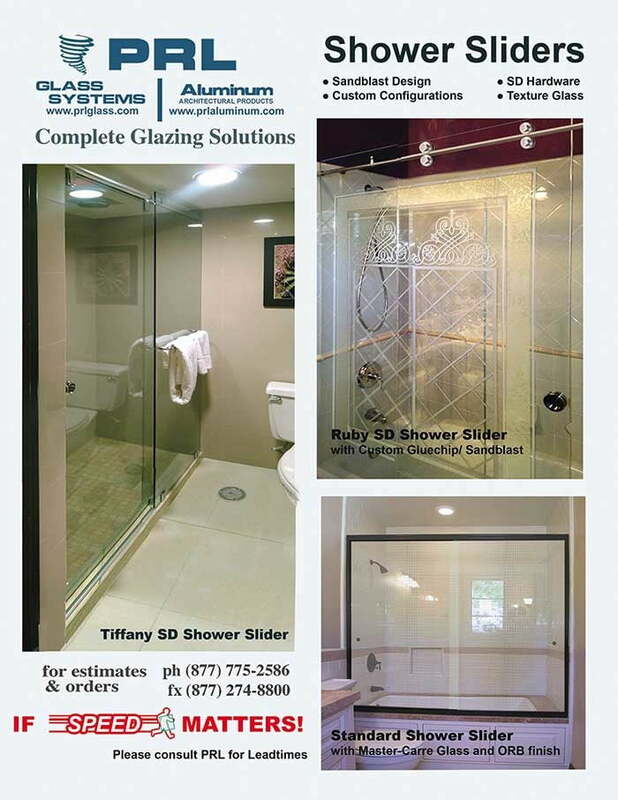 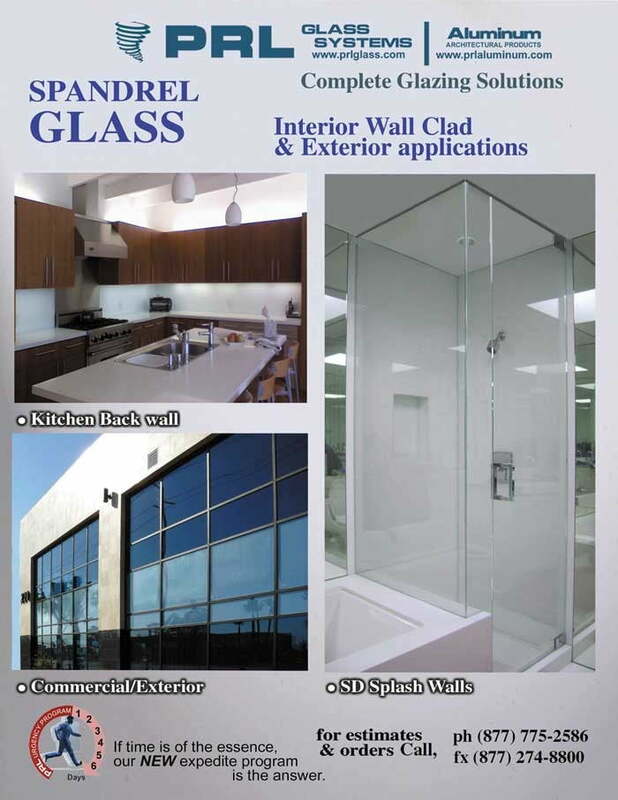 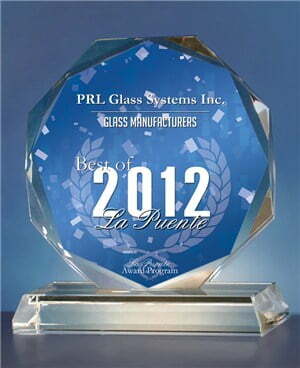 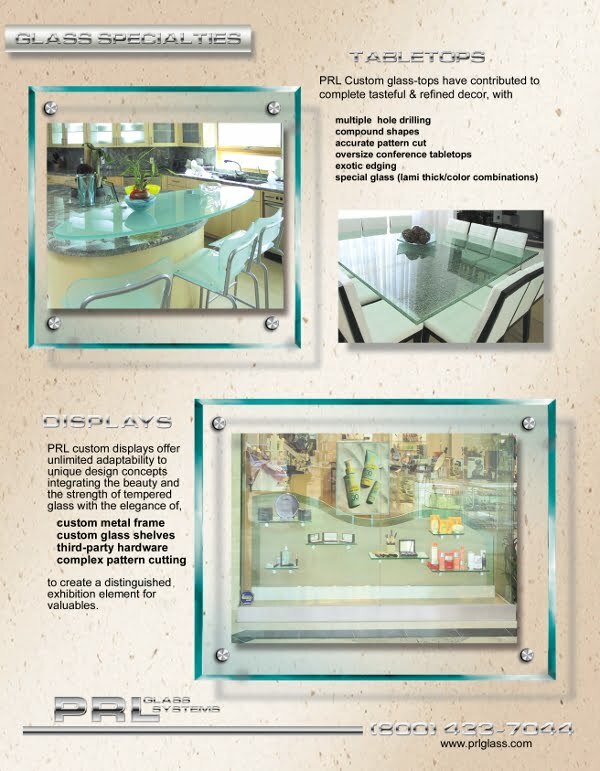 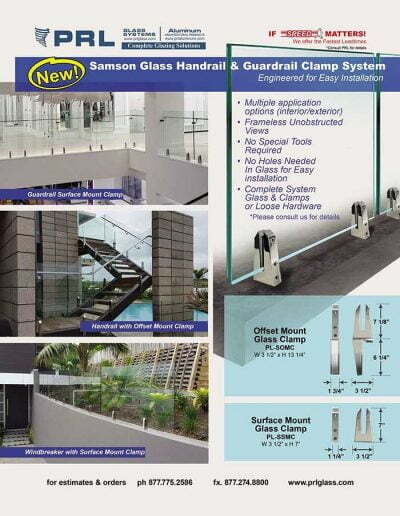 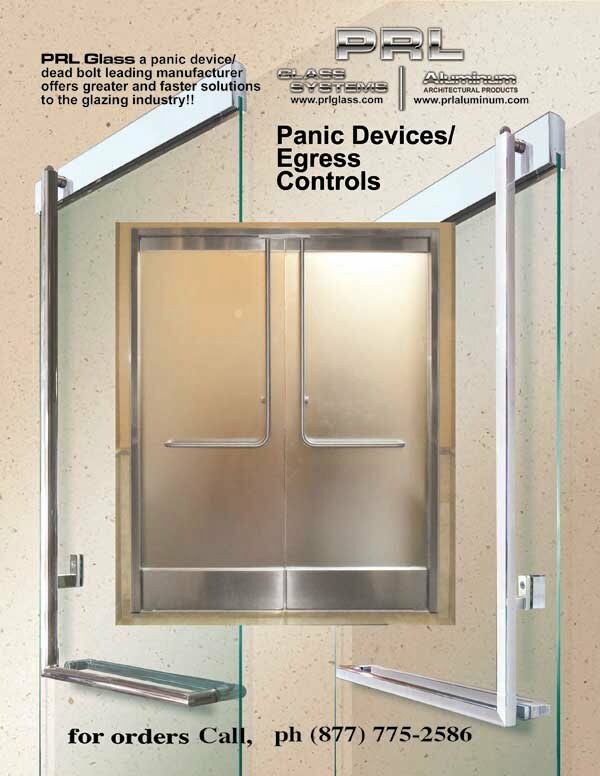 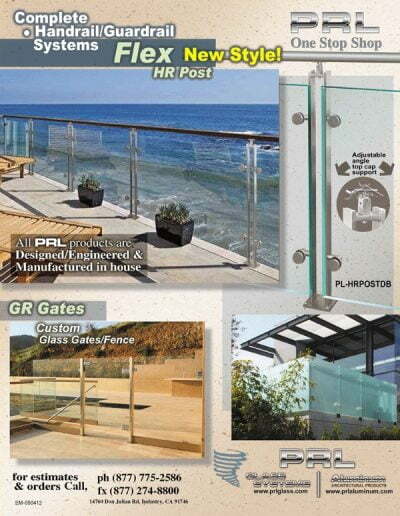 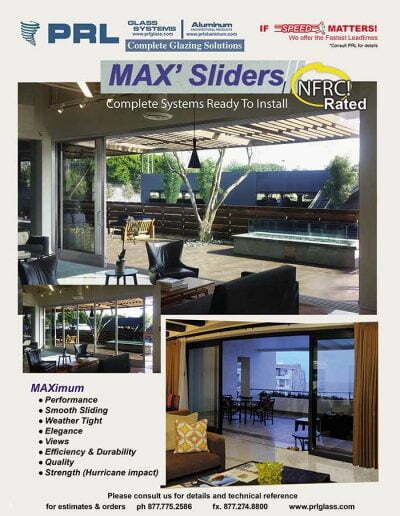 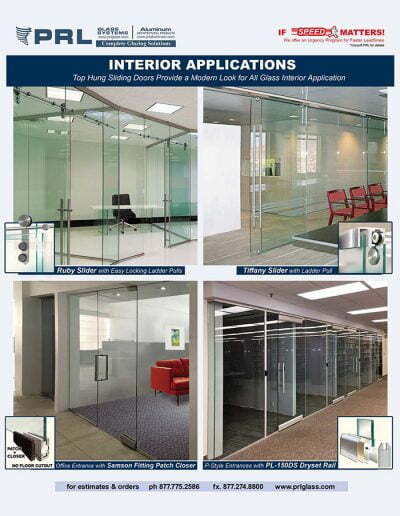 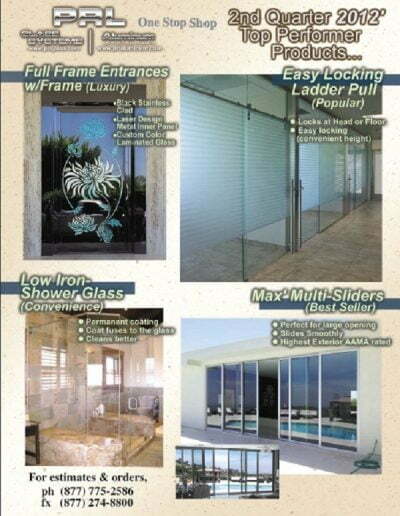 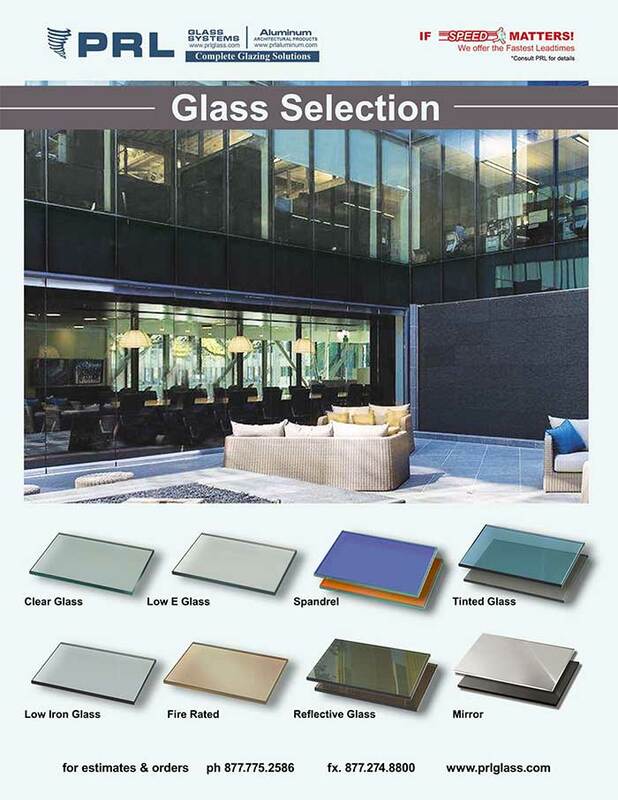 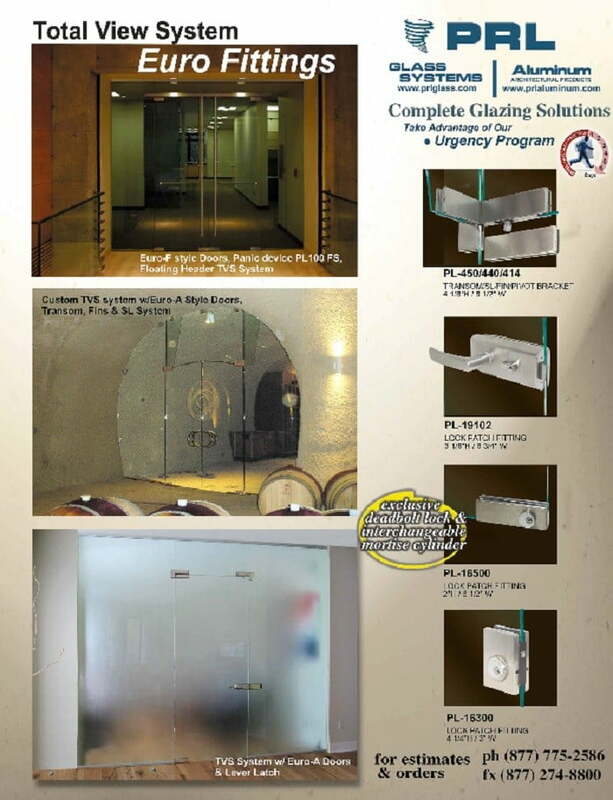 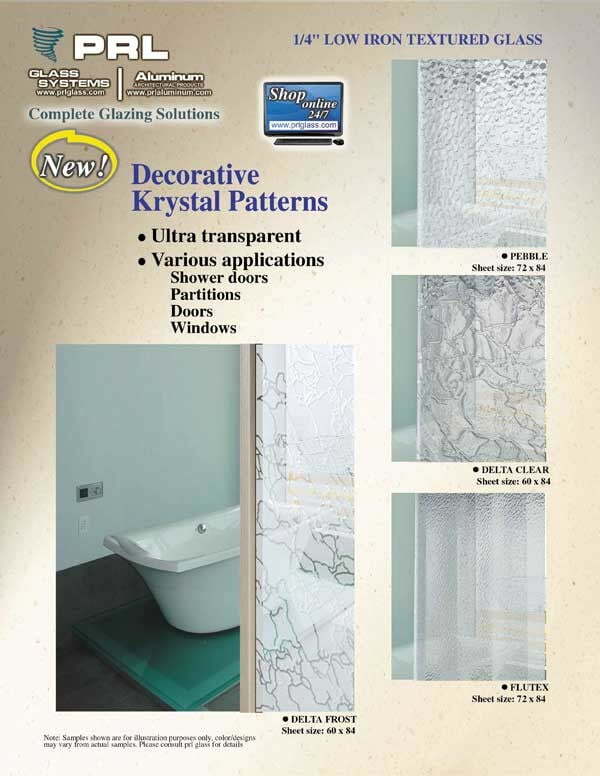 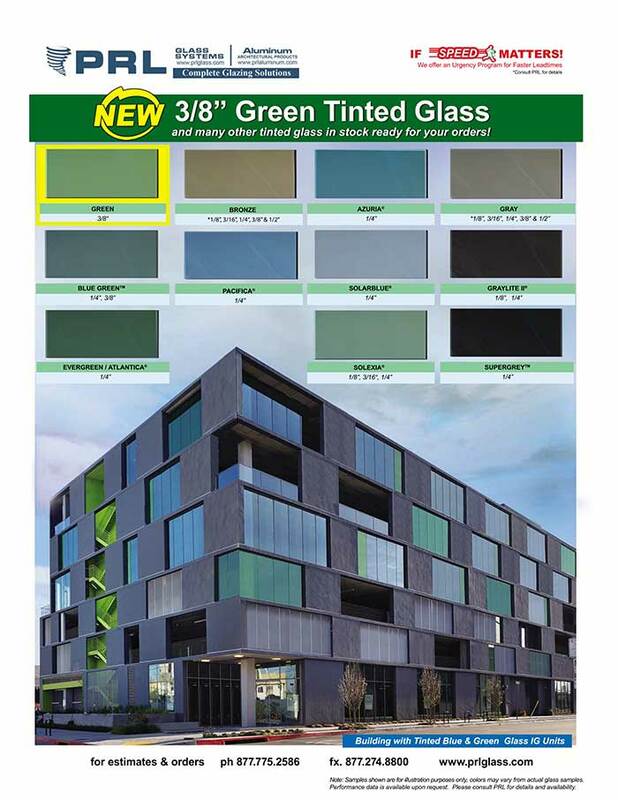 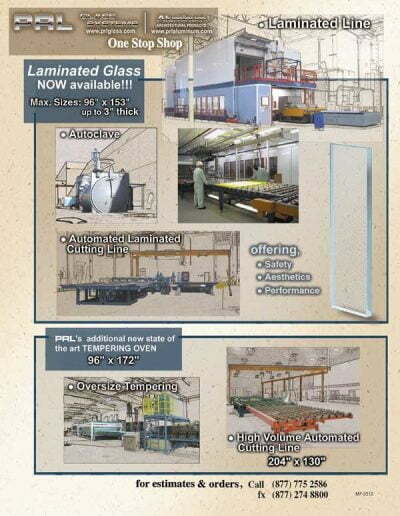 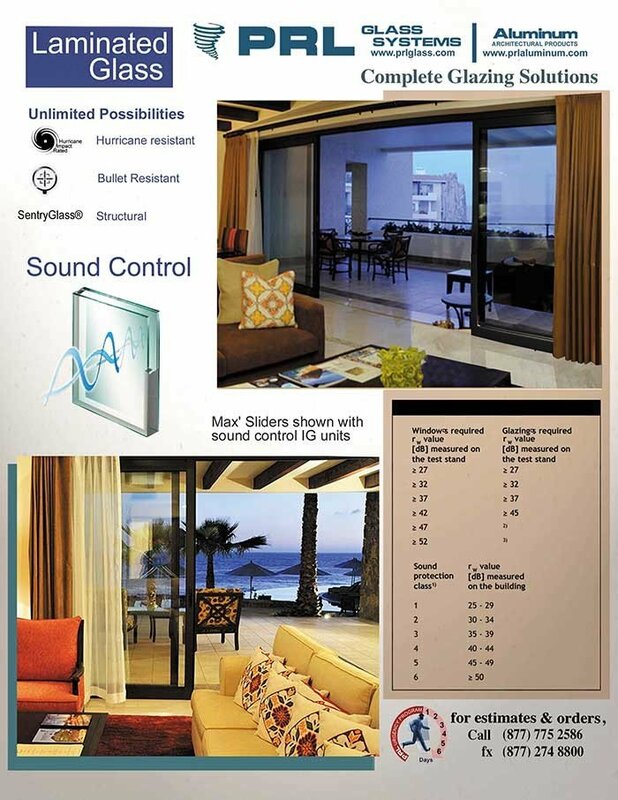 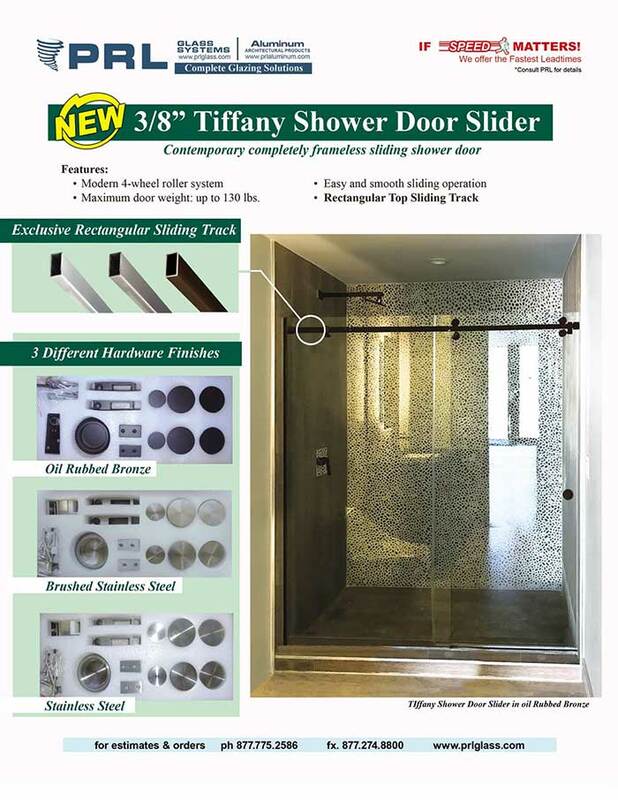 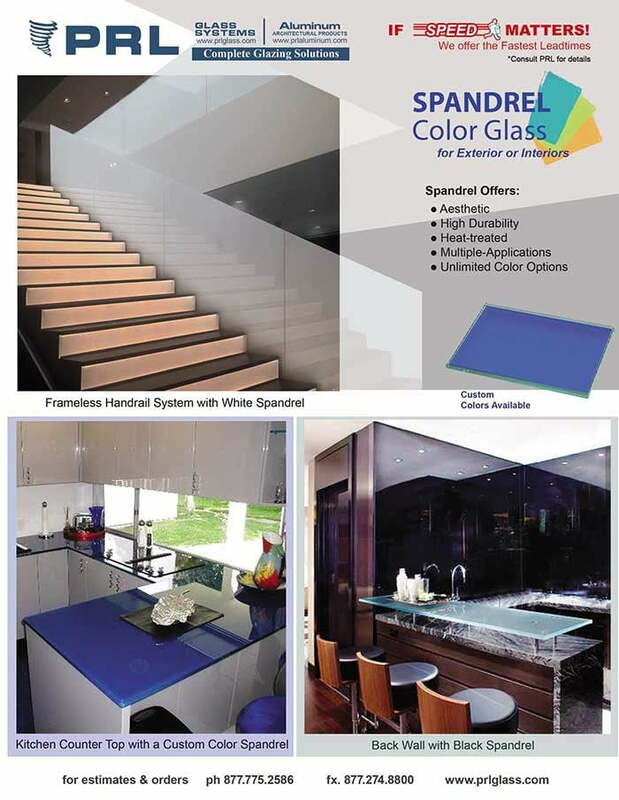 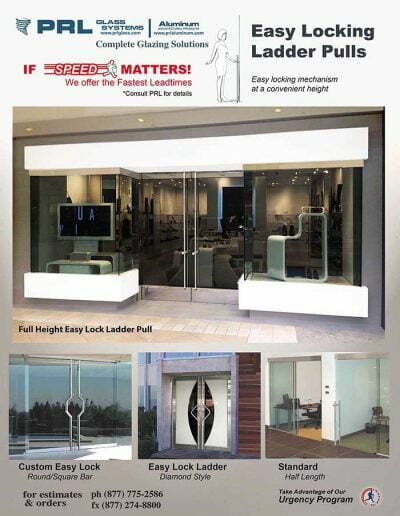 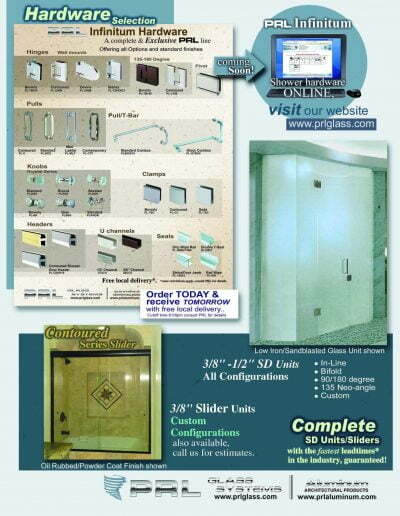 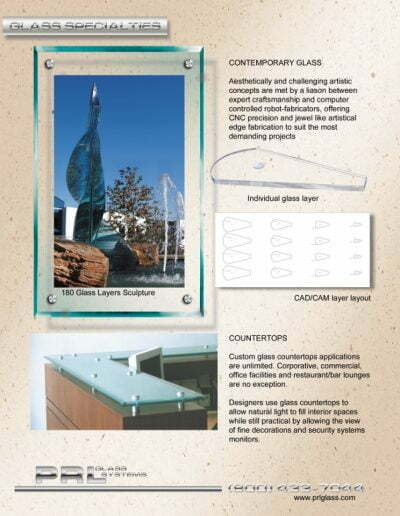 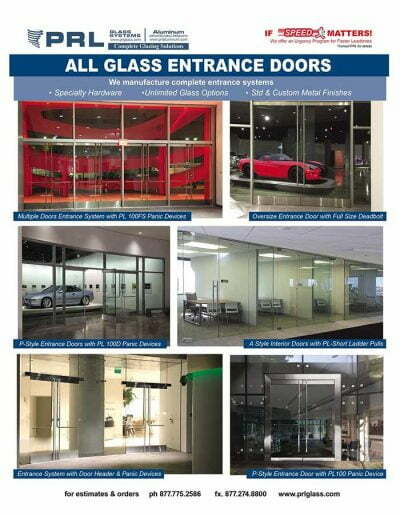 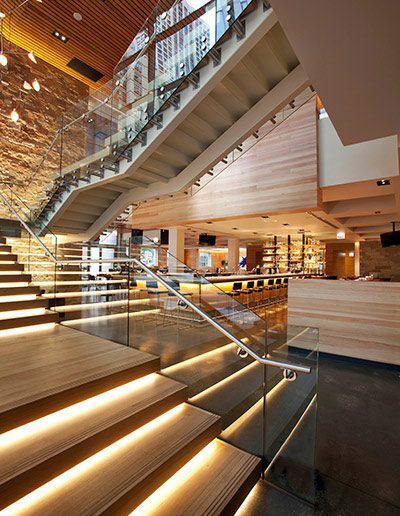 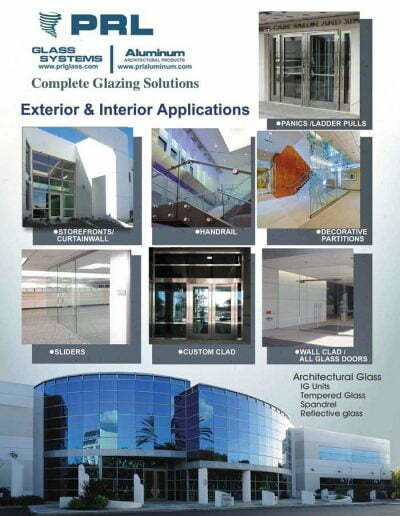 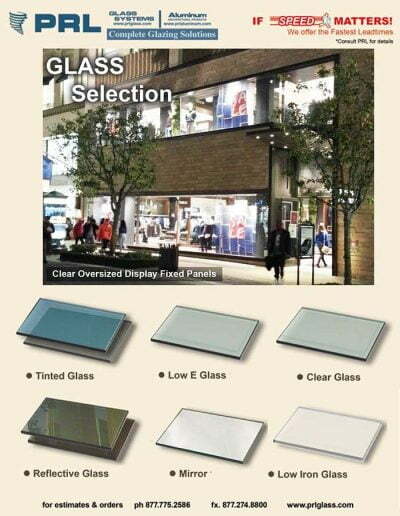 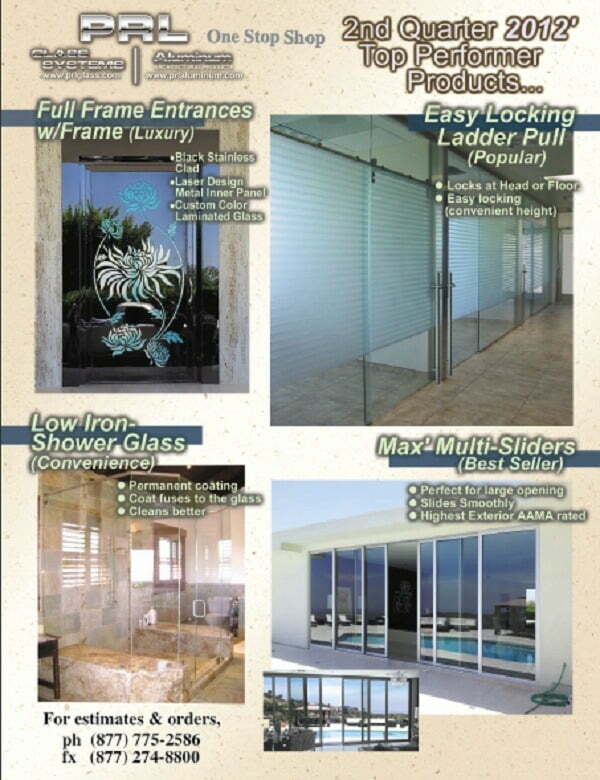 PRL has a wide variation of architectural glass in stock. 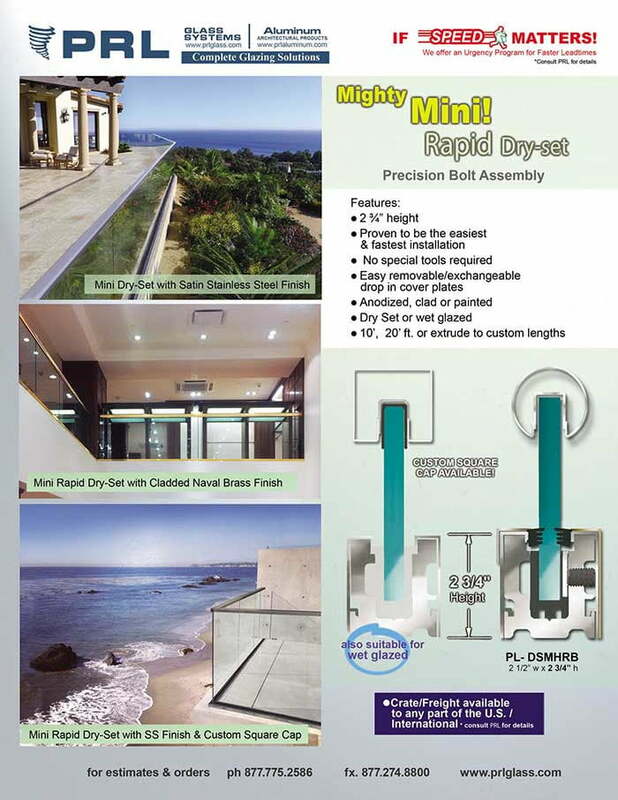 The systems performance is excellent for air infiltration, water infiltration, structural wind loads, seismic design and hurricane impact resistance. 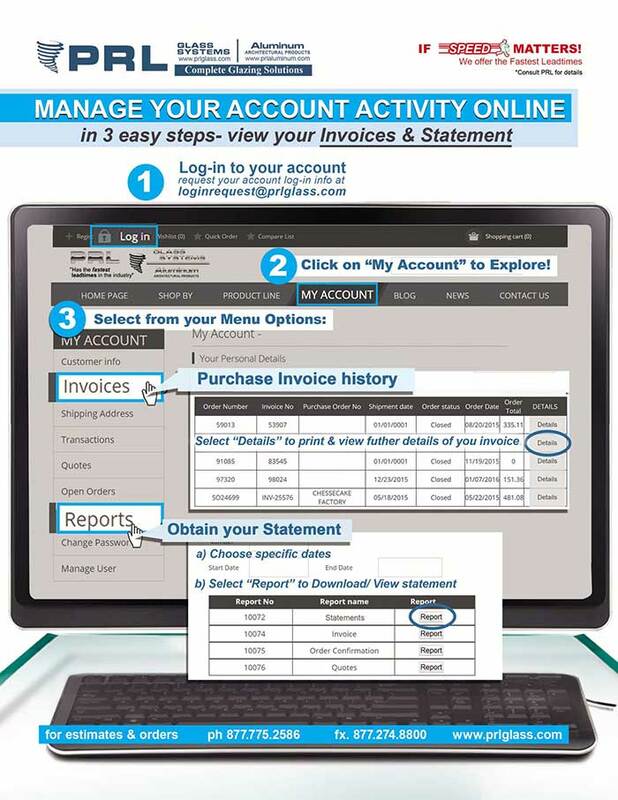 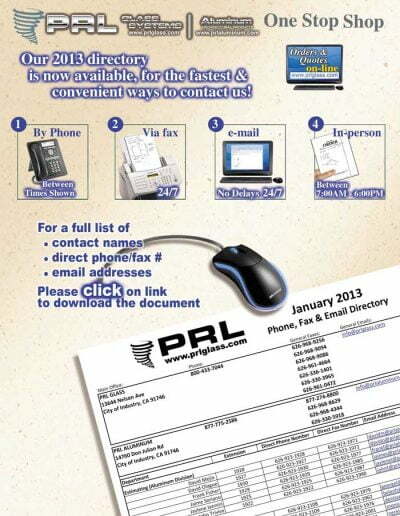 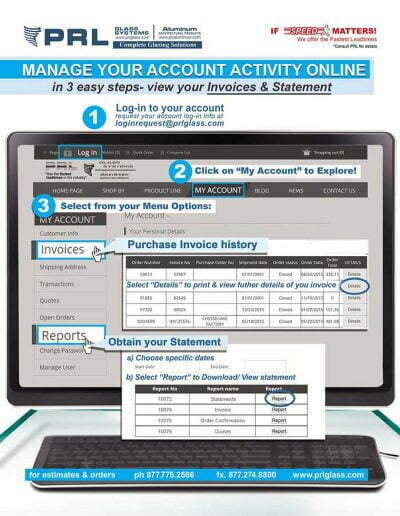 Systems provide the finest quality at an affordable cost. 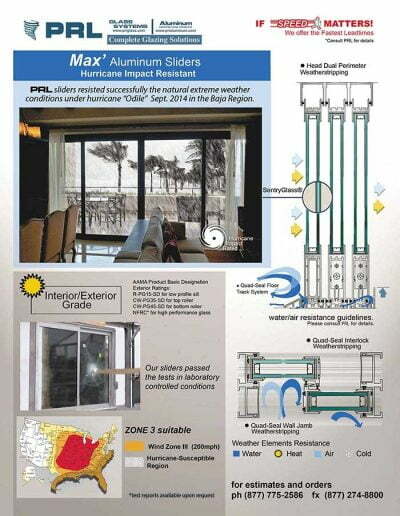 This thermally broken curtain wall when combined with high performance glass will give excellent energy efficiency and can be NFRC certified. 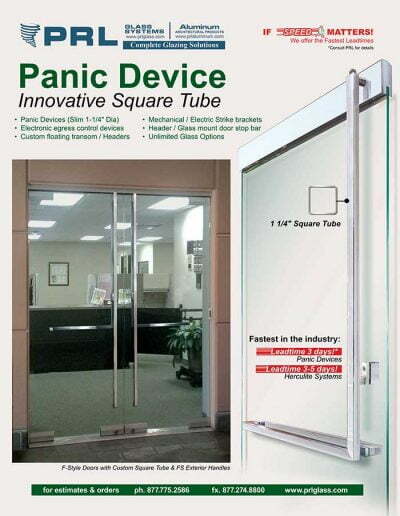 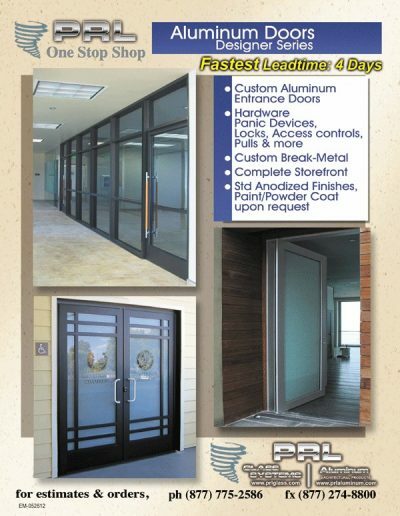 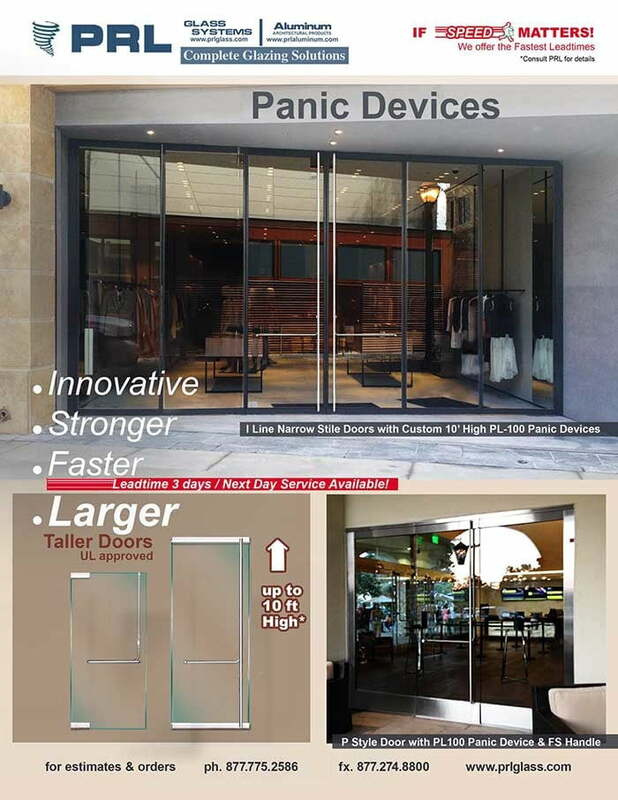 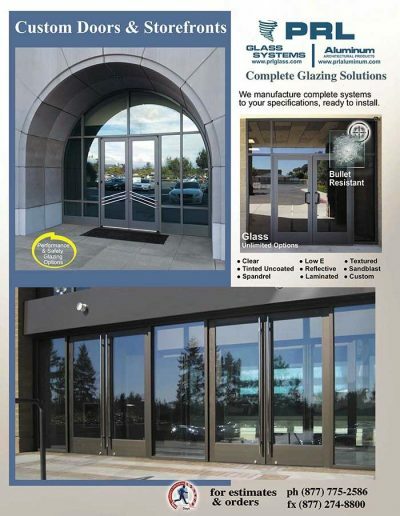 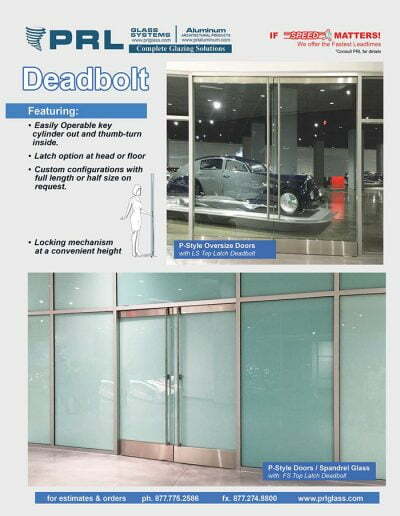 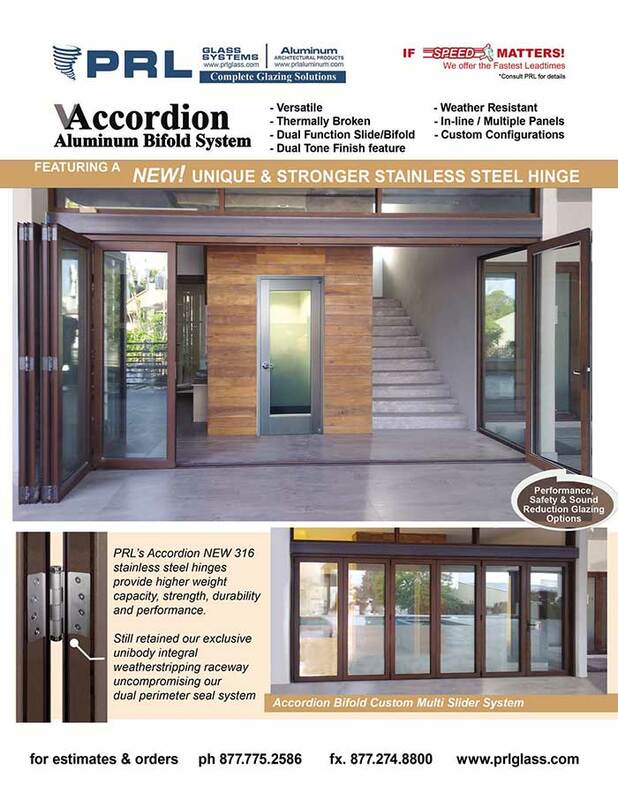 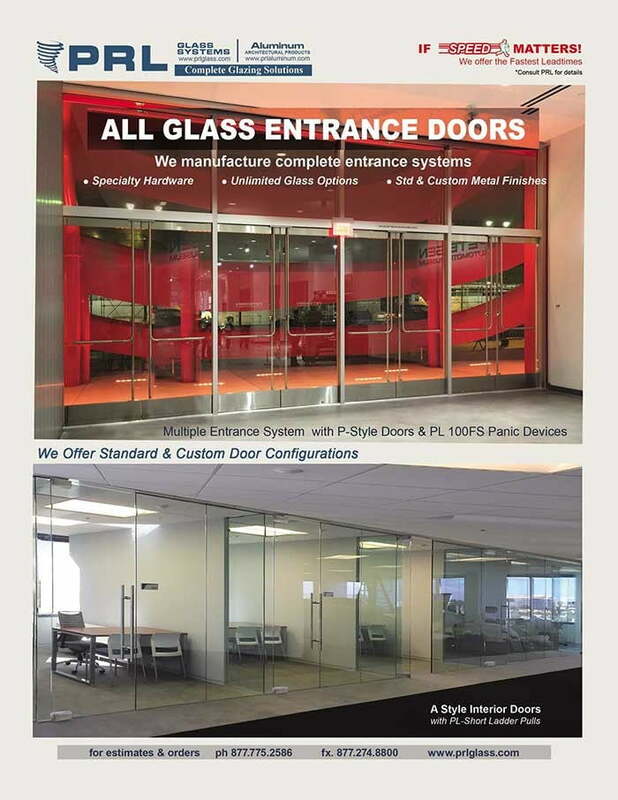 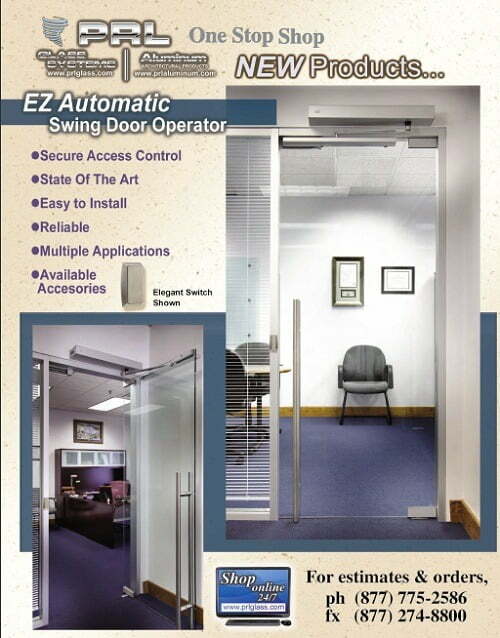 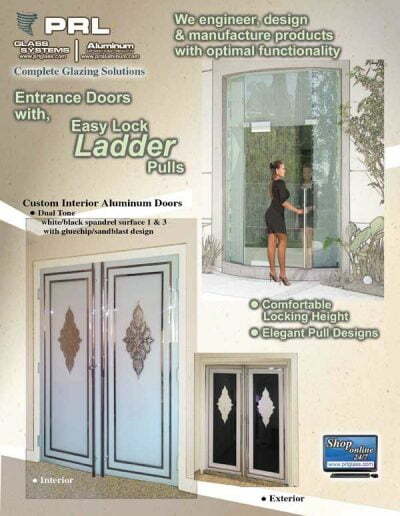 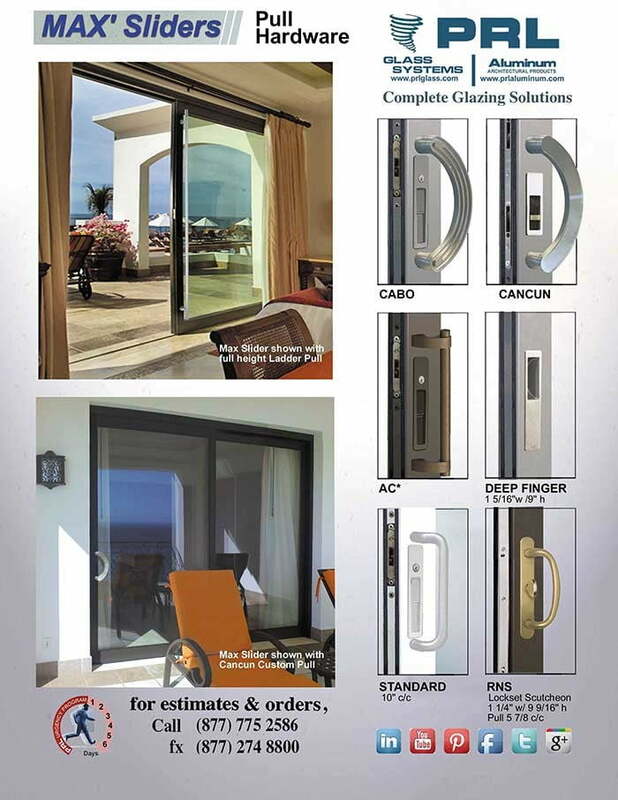 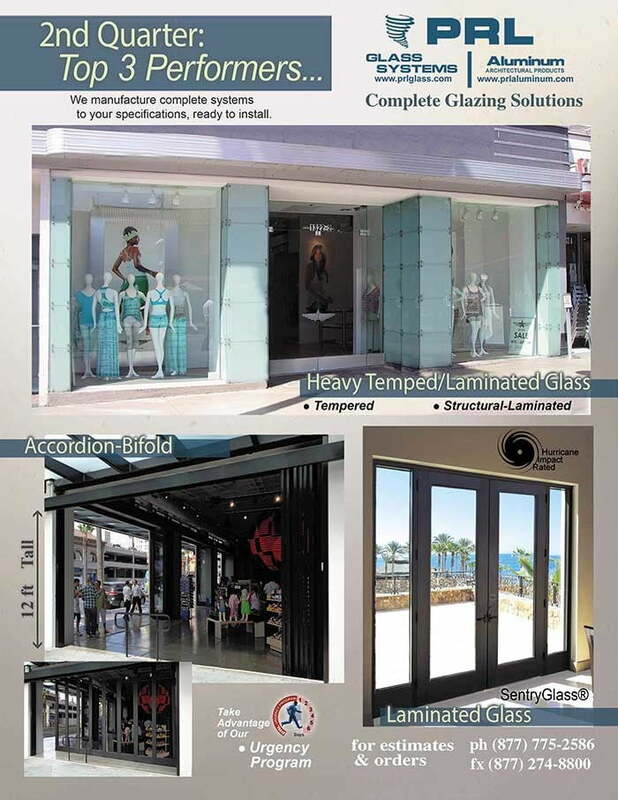 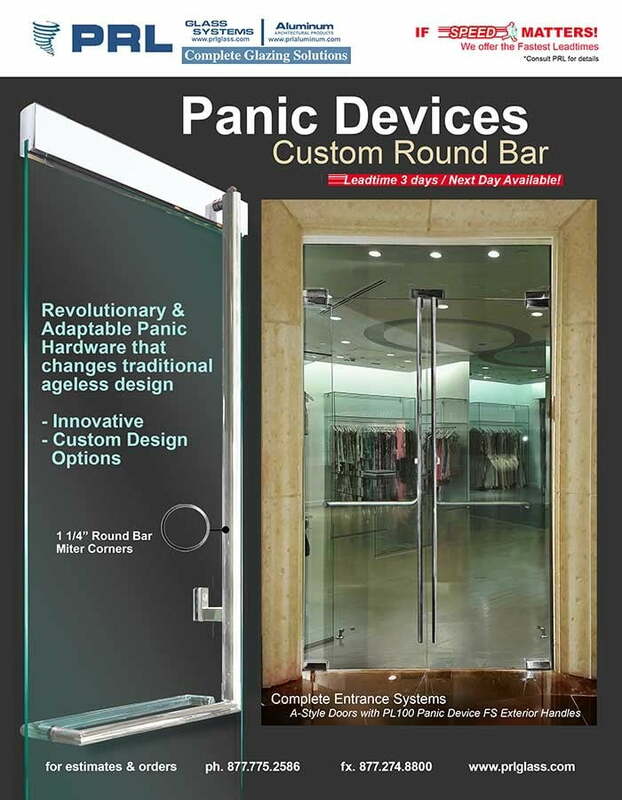 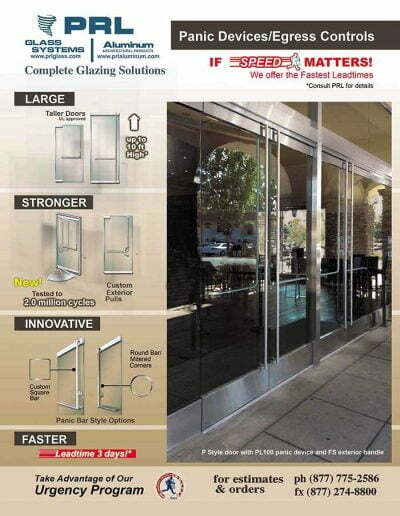 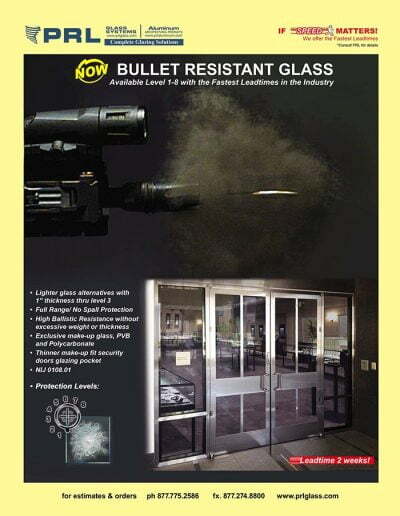 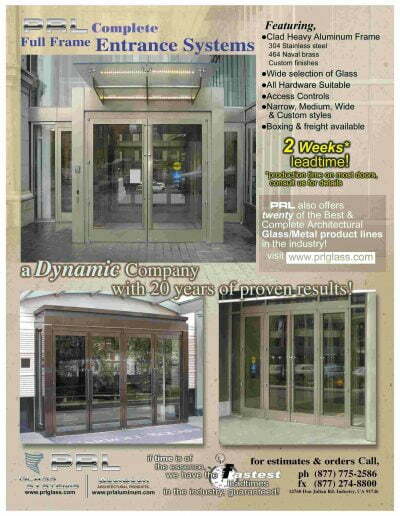 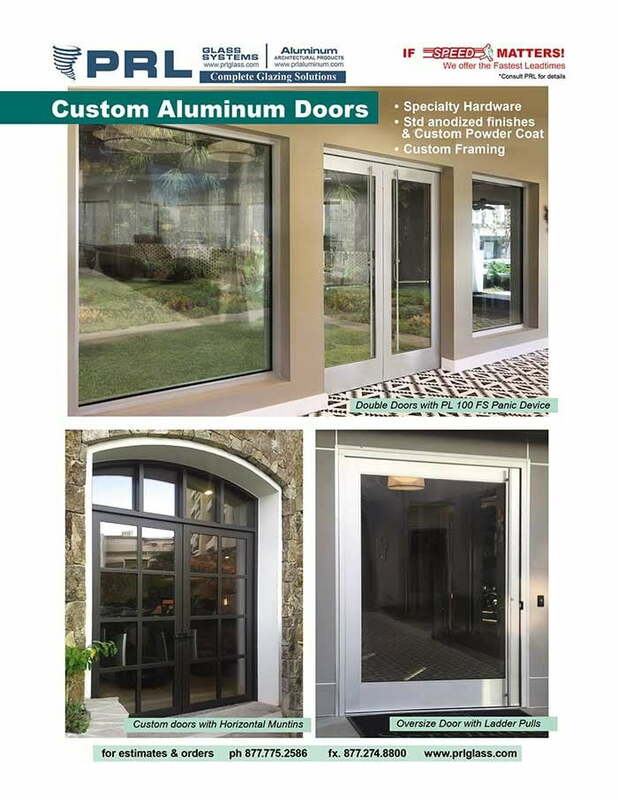 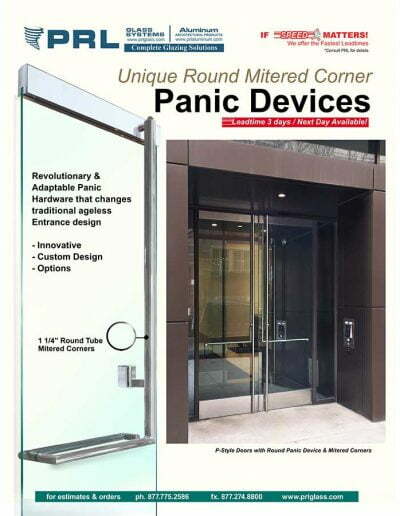 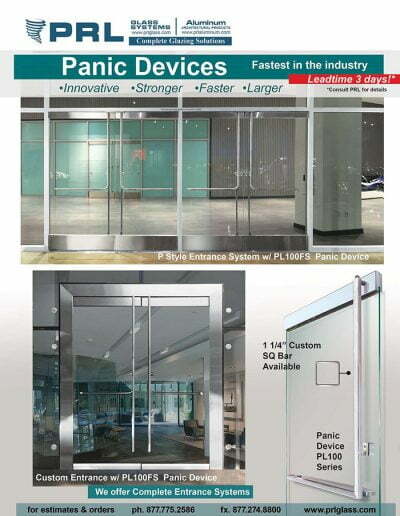 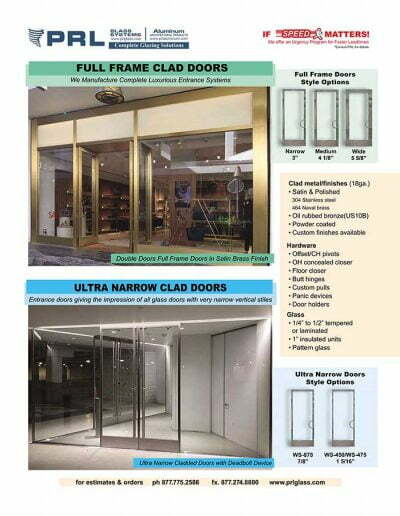 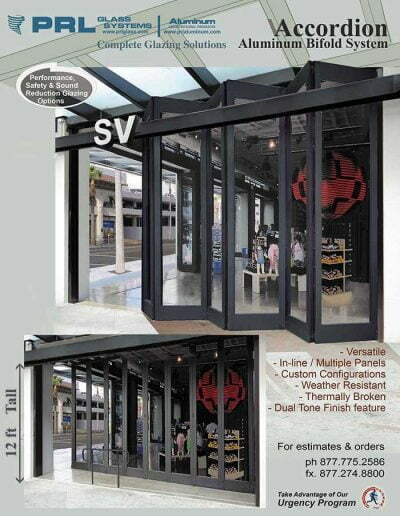 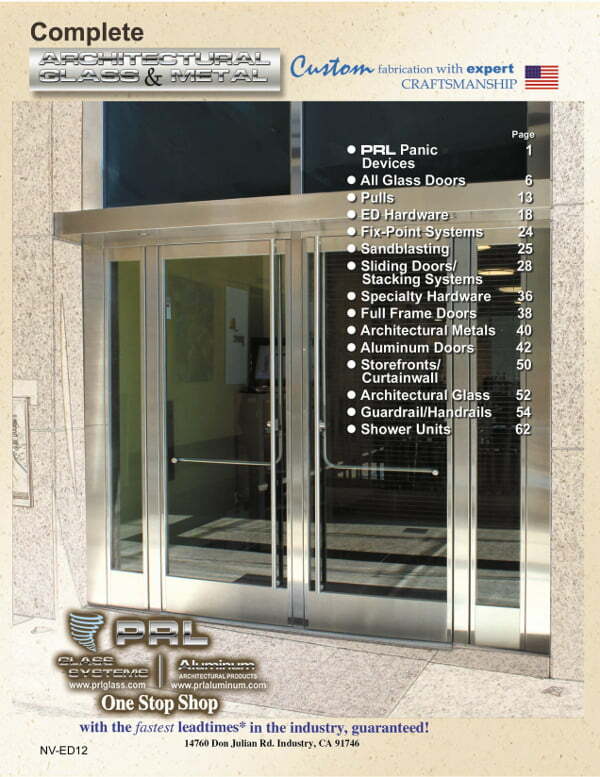 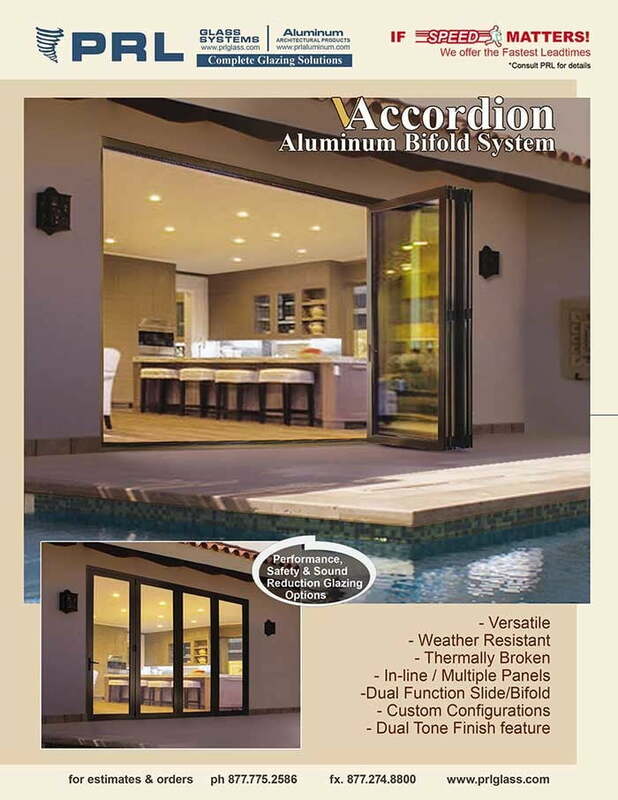 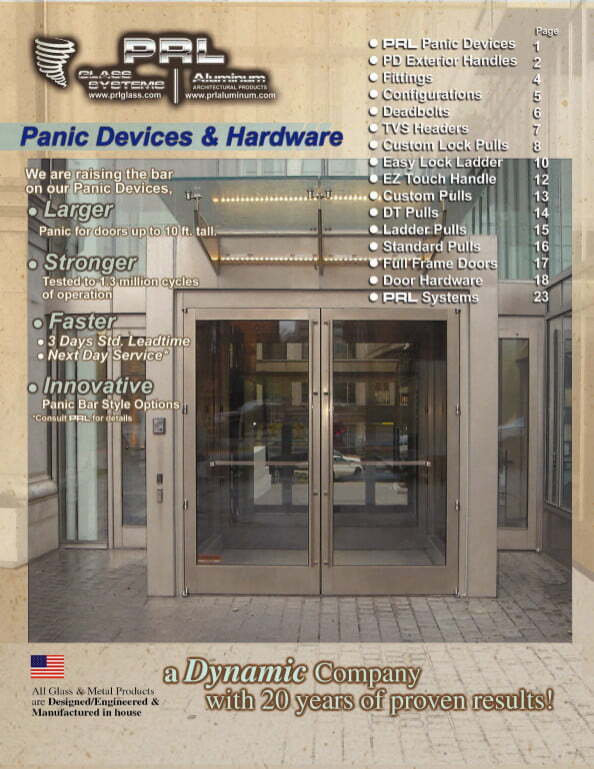 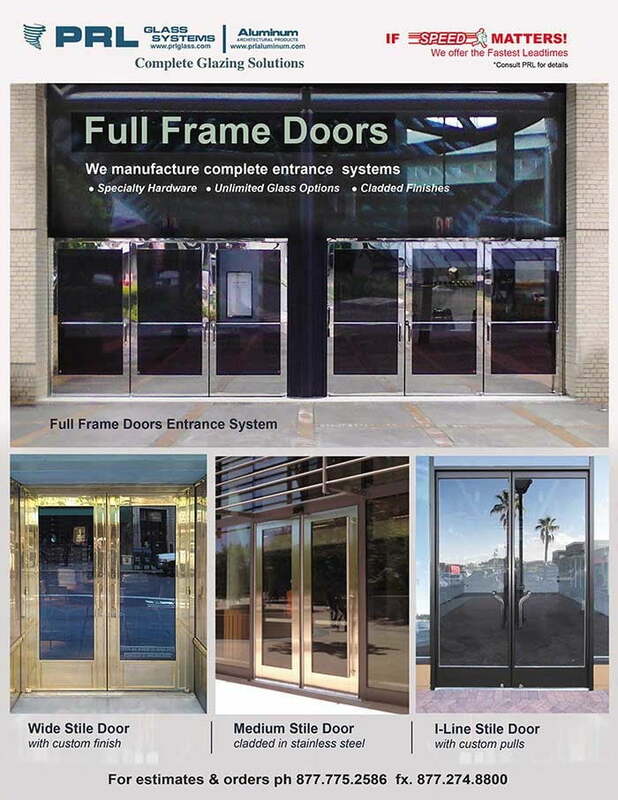 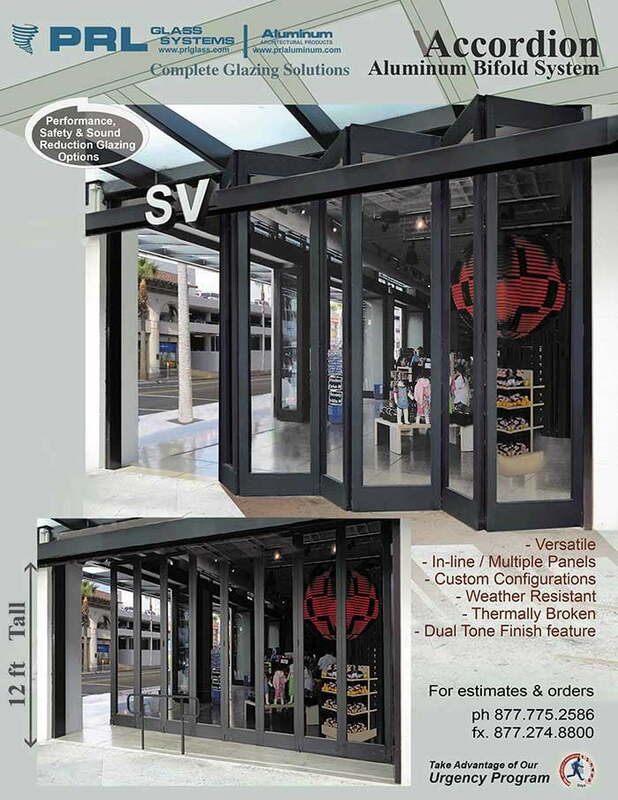 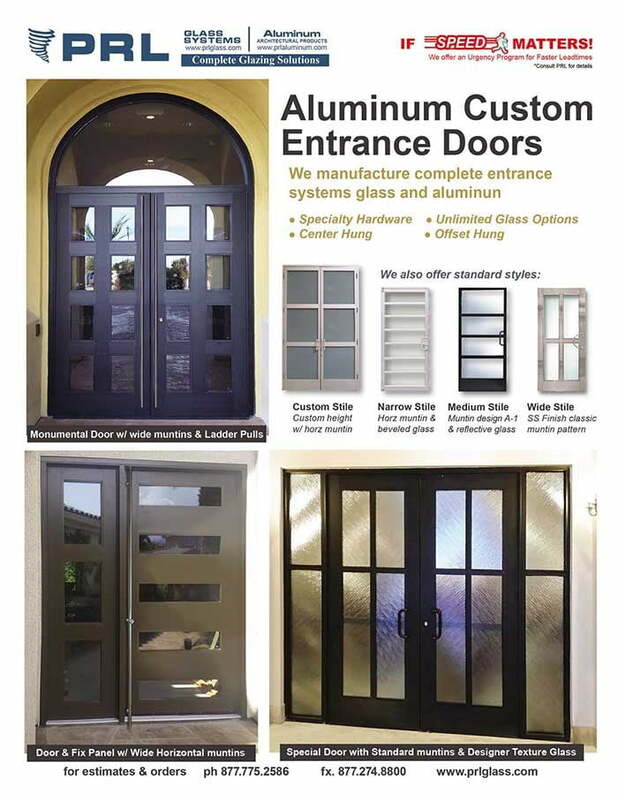 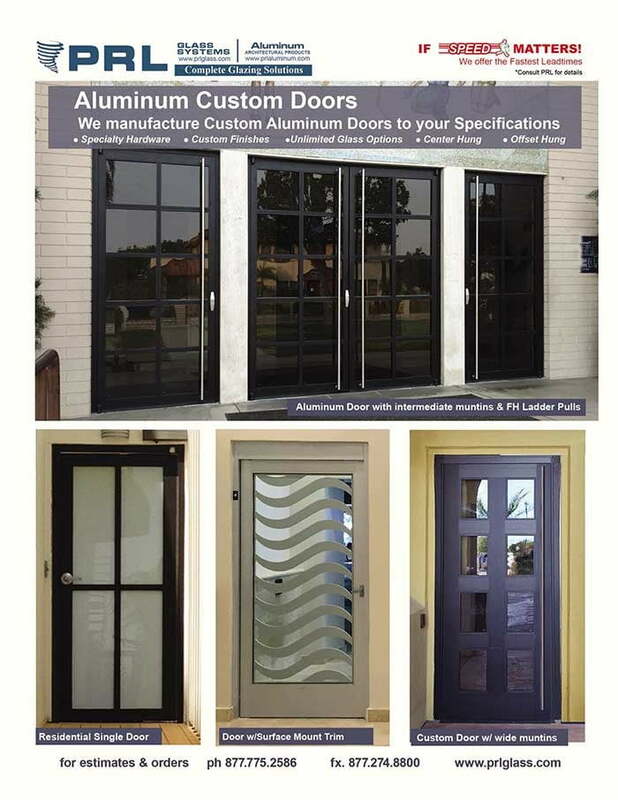 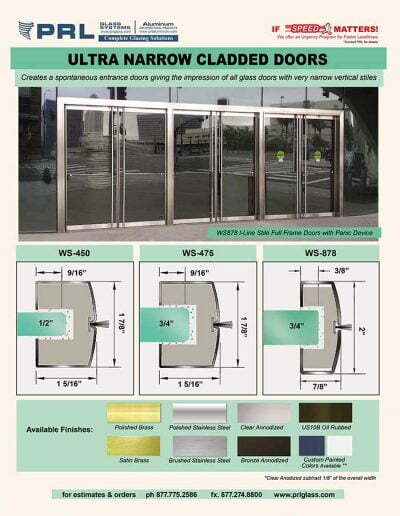 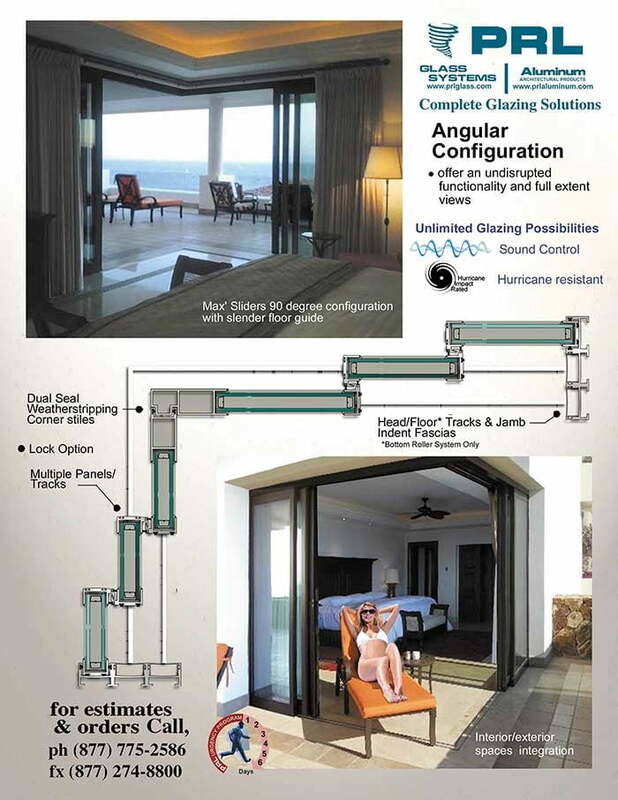 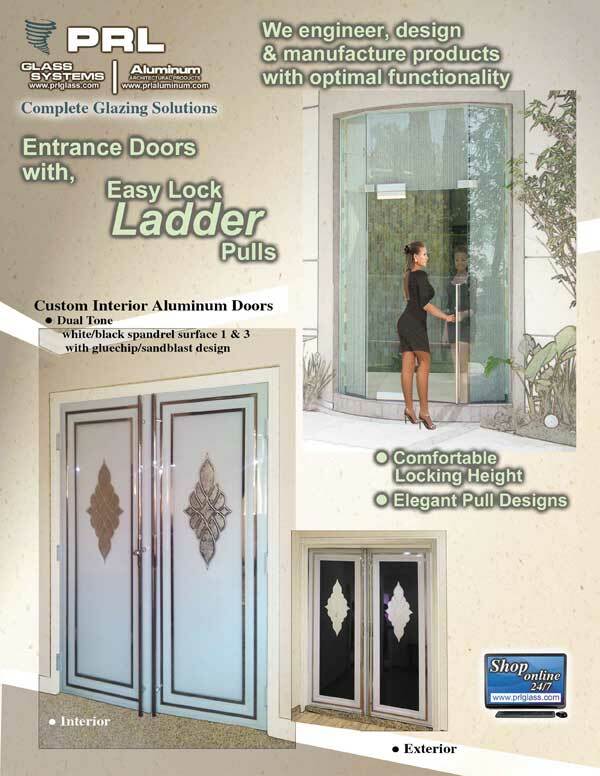 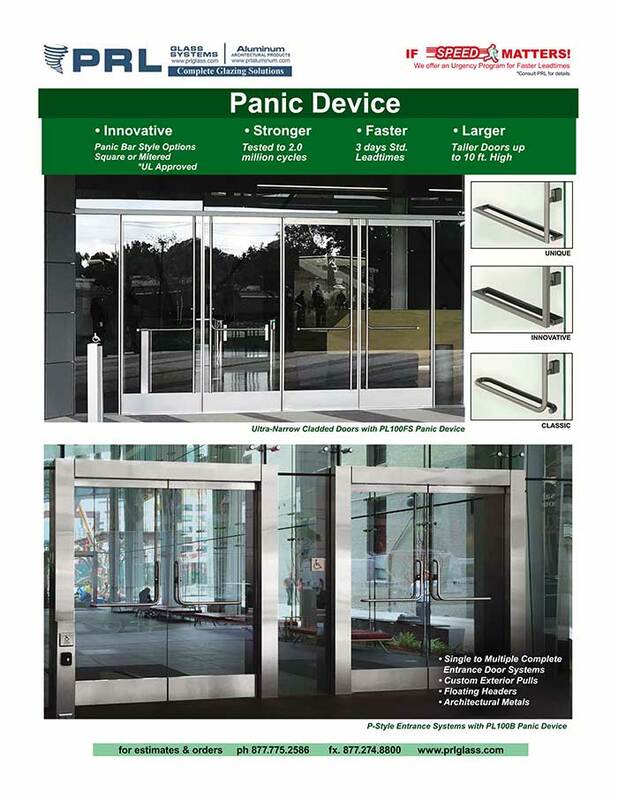 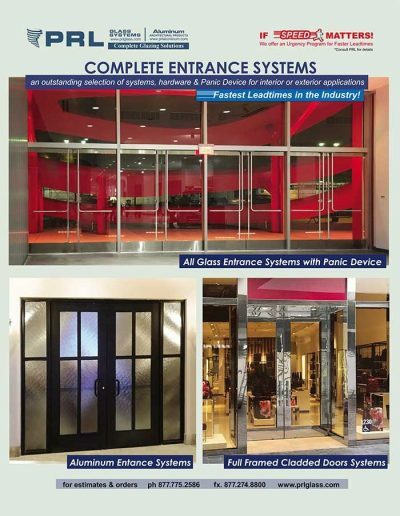 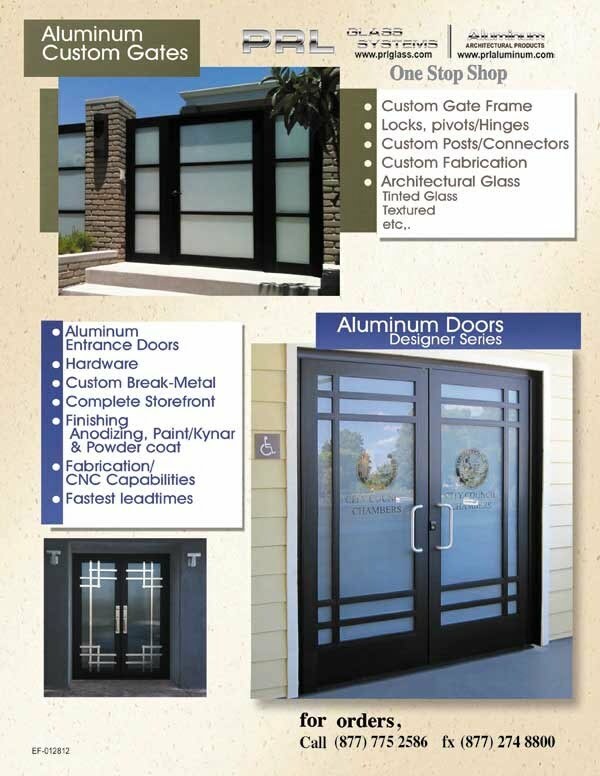 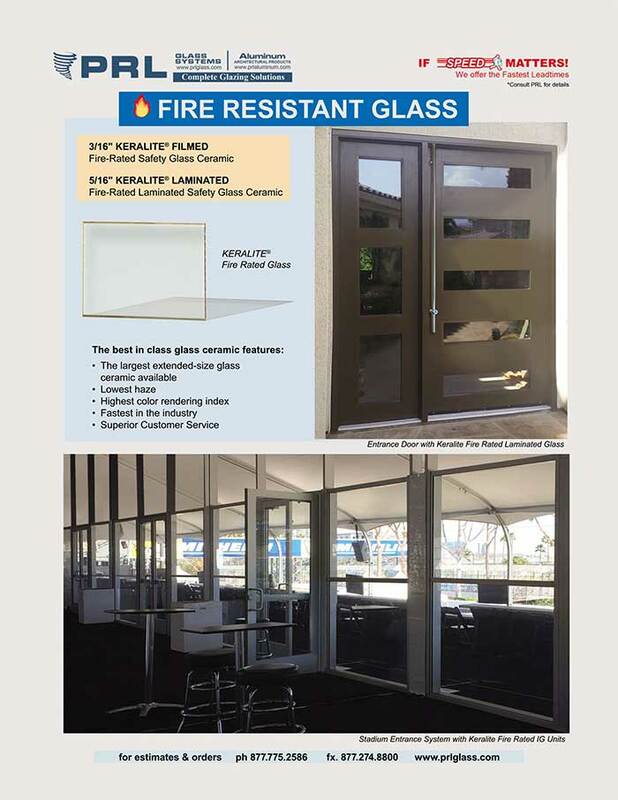 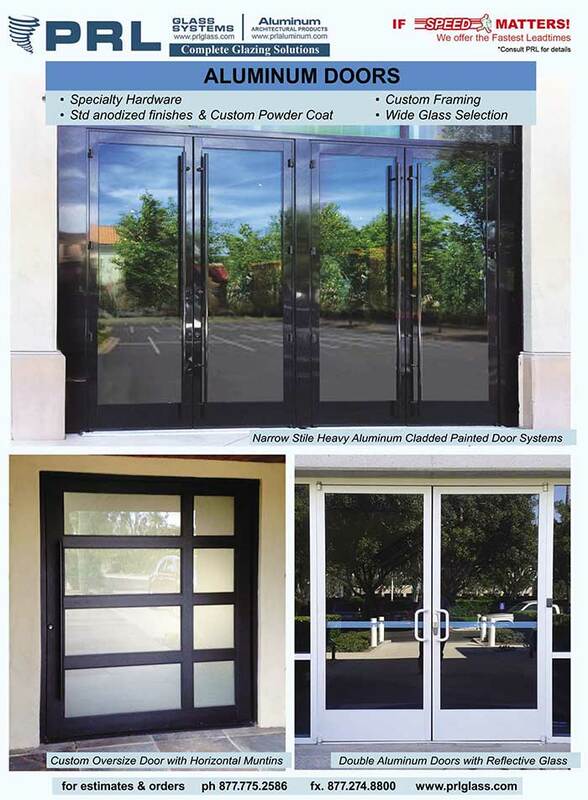 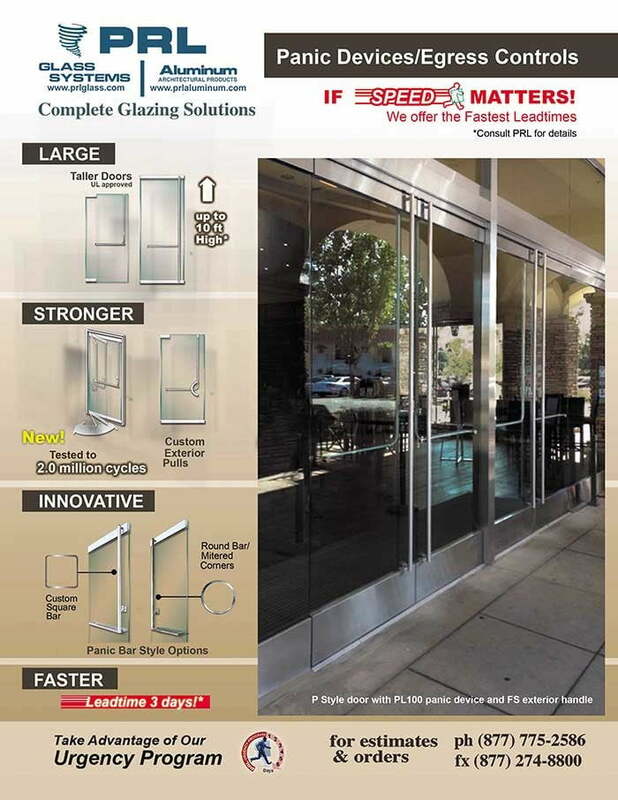 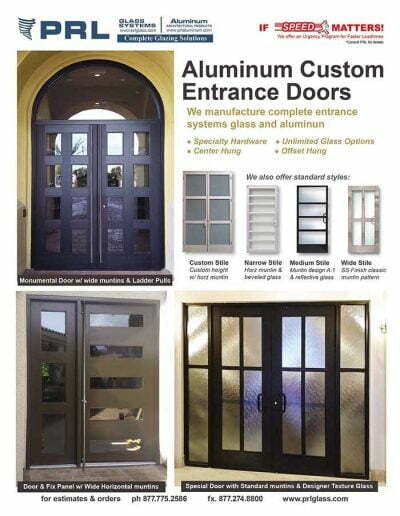 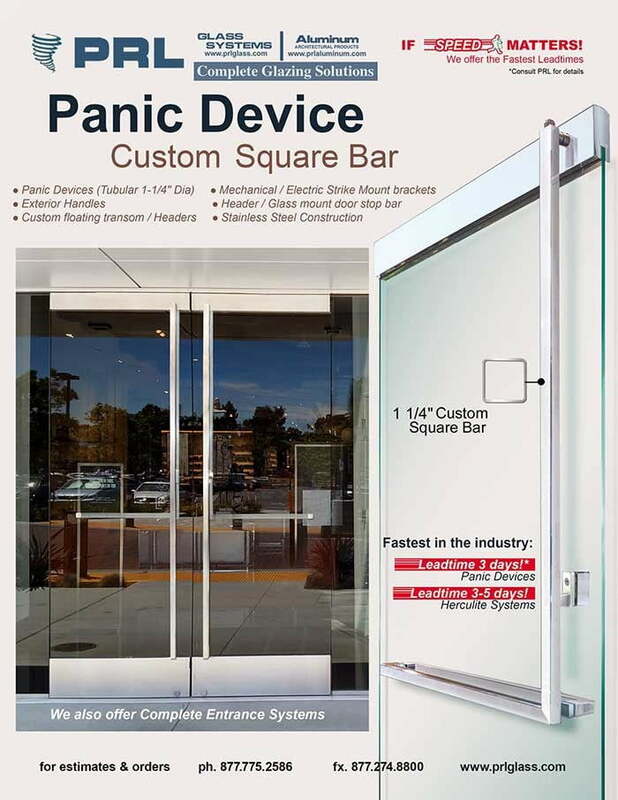 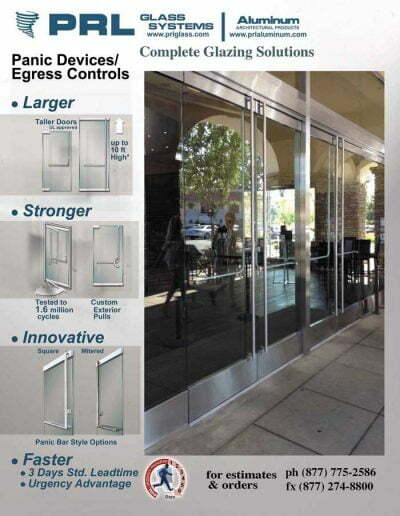 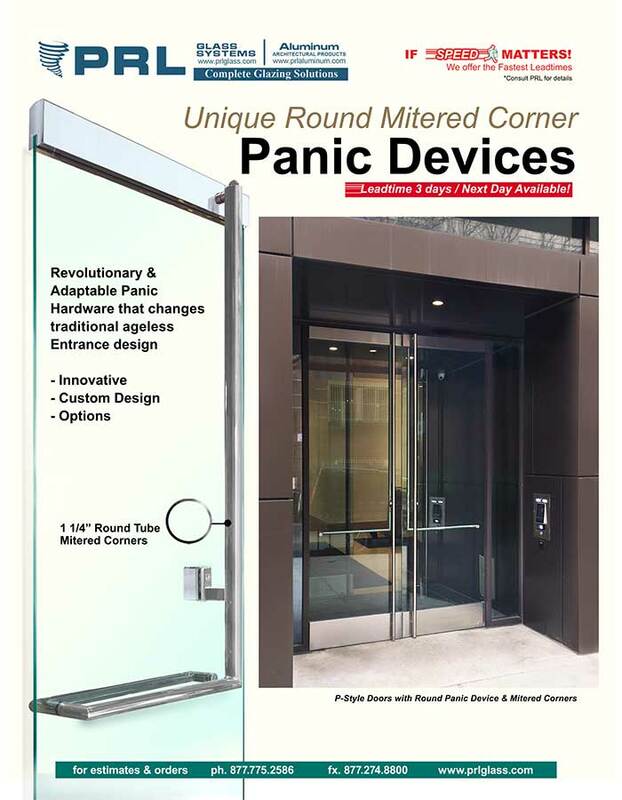 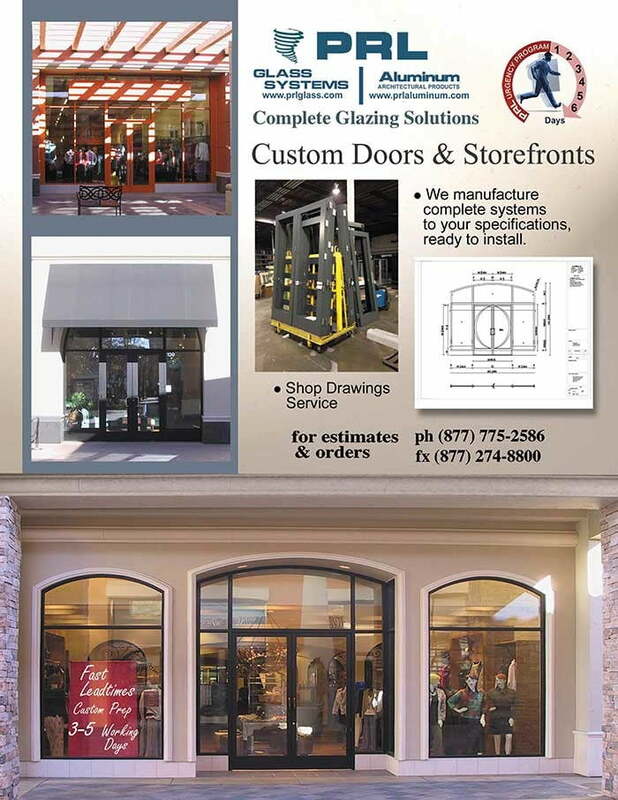 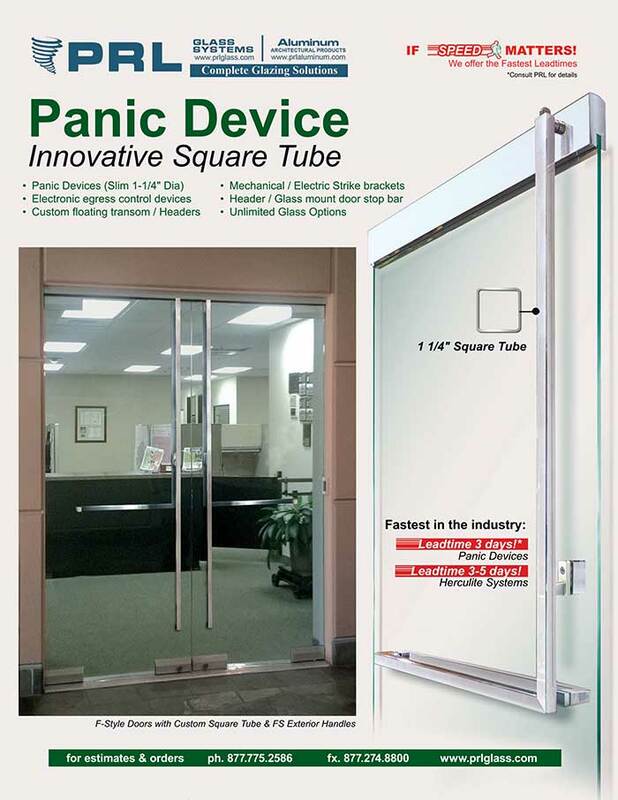 The systems are compatible with PRL’s aluminum entrance doors, frameless all glass entrance doors and our extensive line of aluminum storefront systems. 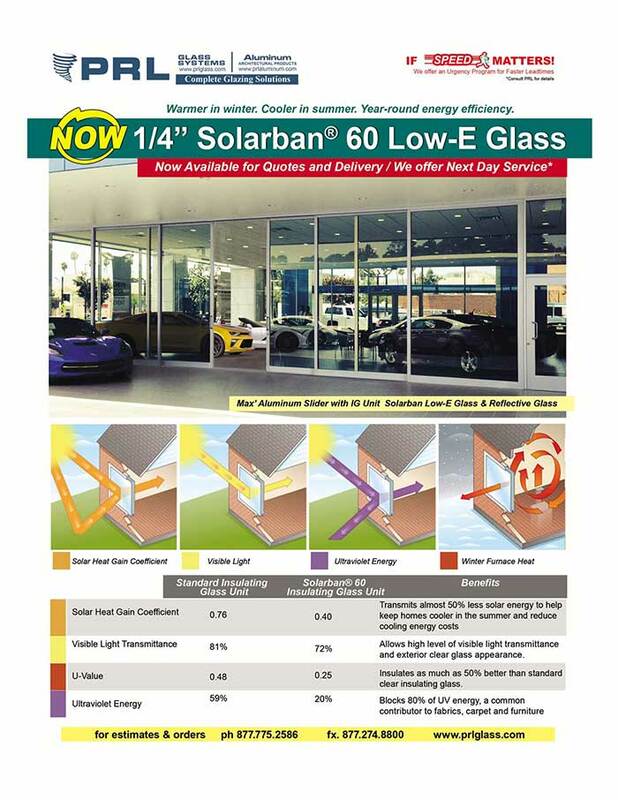 The finishes available are clear, bronze anodized, power coat and Kynar paint. 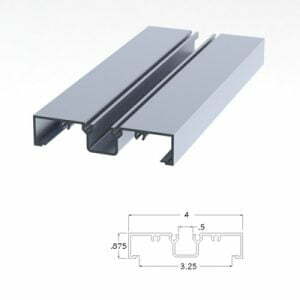 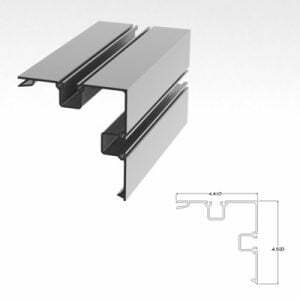 PRL can design and engineered your custom aluminum extrusions for your special/custom curtain wall or storefront projects. 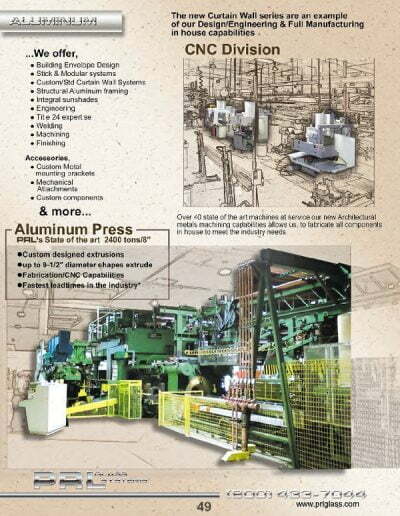 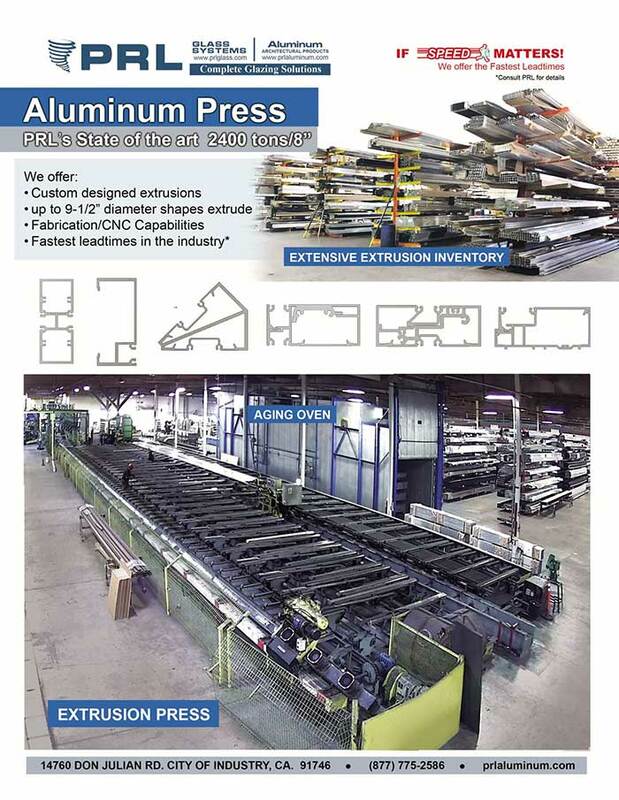 Our aluminum press can run up to 9-1/2″ diameter shapes. 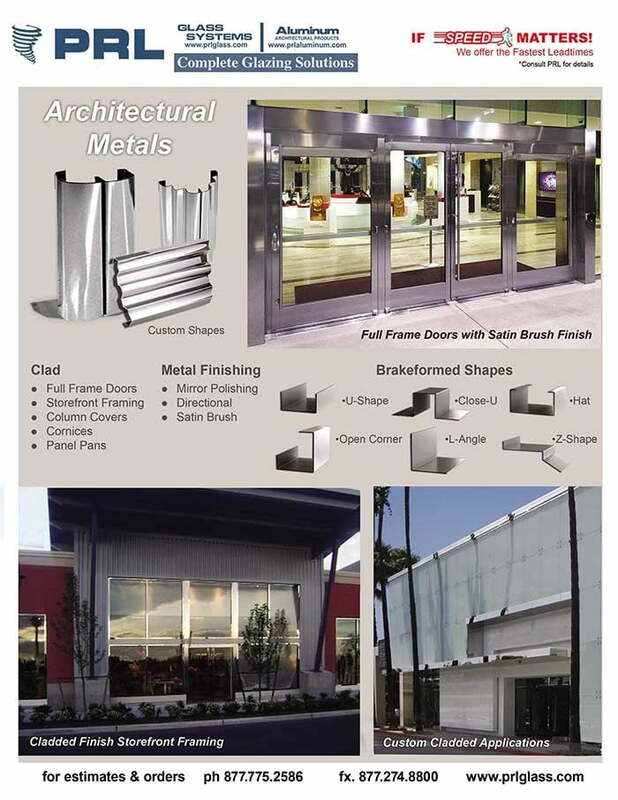 The Architectural Metals department can supply you with all of your break metal requirements. 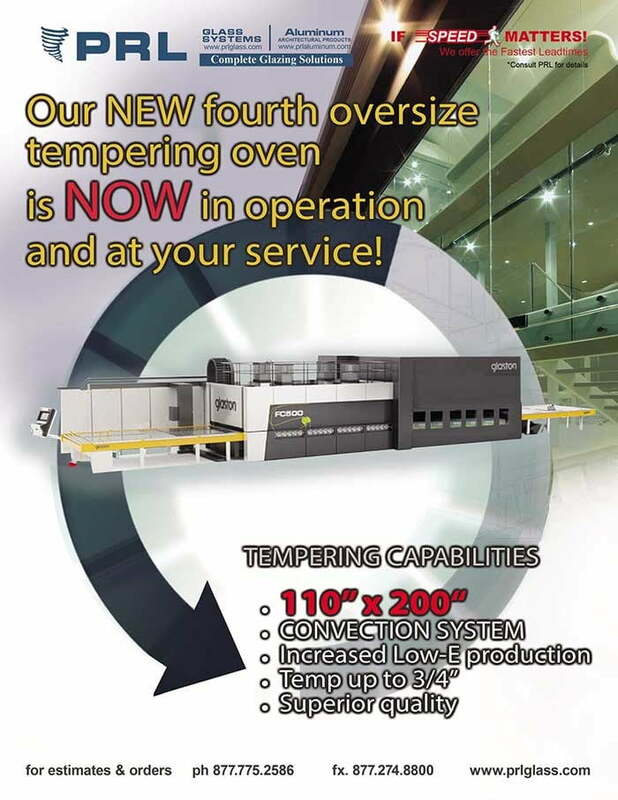 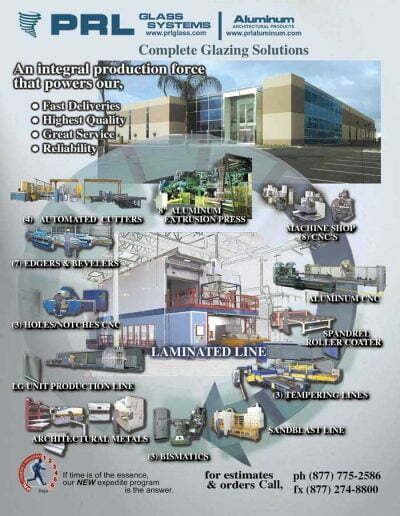 These are some of the capabilities that allow us to have the fastest lead-times in the industry.